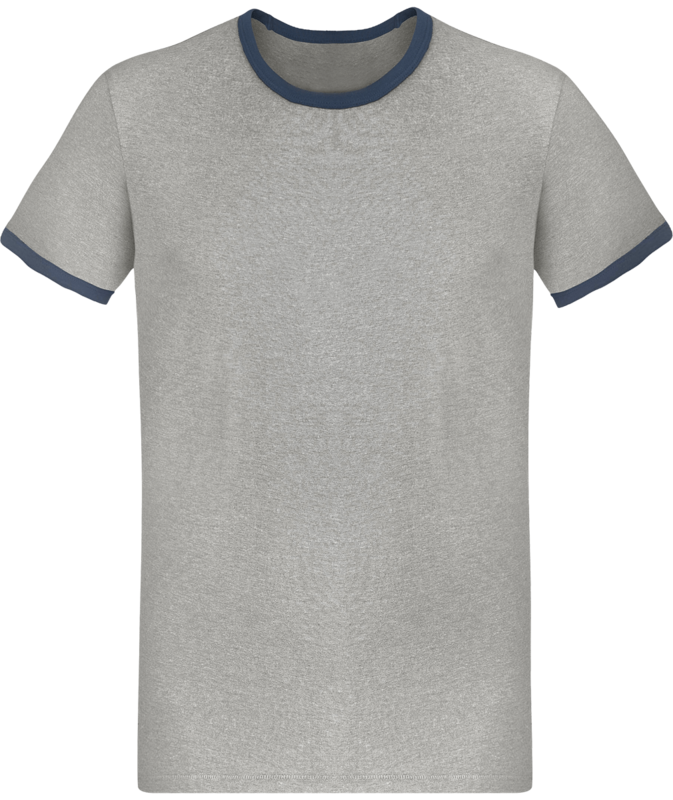 Custom men's T-shirt 100% cotton pre-shrunk ring-spun continuous warp thread (except colors Ash: 99% pre-shrunk cotton with continuous warp thread / 1% viscose and Sport Gray: 85% cotton pre-shrunk to continuous warp yarn / 15% viscose). Band of cleanliness at the neck. Ribbed finishes for a modern look. Tubular construction. Contemporary classic cut. 150 gms. 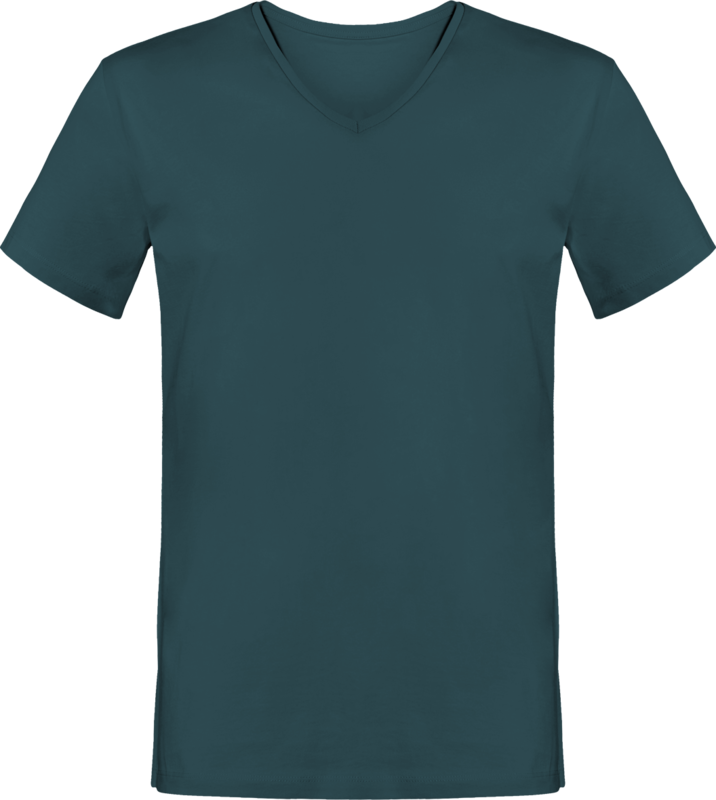 Classic round neckline short sleeve Tee-shirt. 100% cotton in 180gr/m2. Perfect finishing touches with contrasting cleanliness. Effective to highlight your embroidered or printed logos. The little extra? 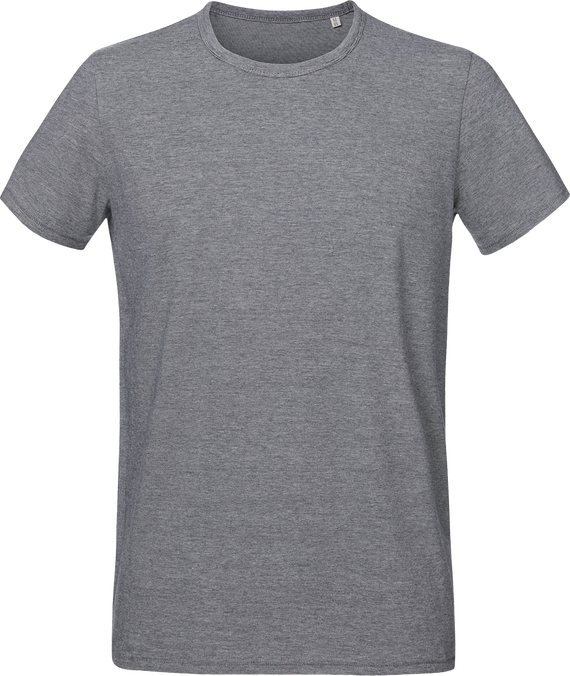 The tee-shirt is made of 100% cotton washed with enzymes to ensure a perfect touch and without excess fibre. Perfect for any type of embroidery and printing. Men's 100% cotton Belcoro® T-Shirt. Band of cleanliness from shoulder to shoulder. Double stitch at the collar, sleeves and bottom of the t-shirt. Weight of 160/165 g / m². Tee-Shirt 100% cotton 180g/m; With enzyme wash ensuring comfort and perfect hold over time. 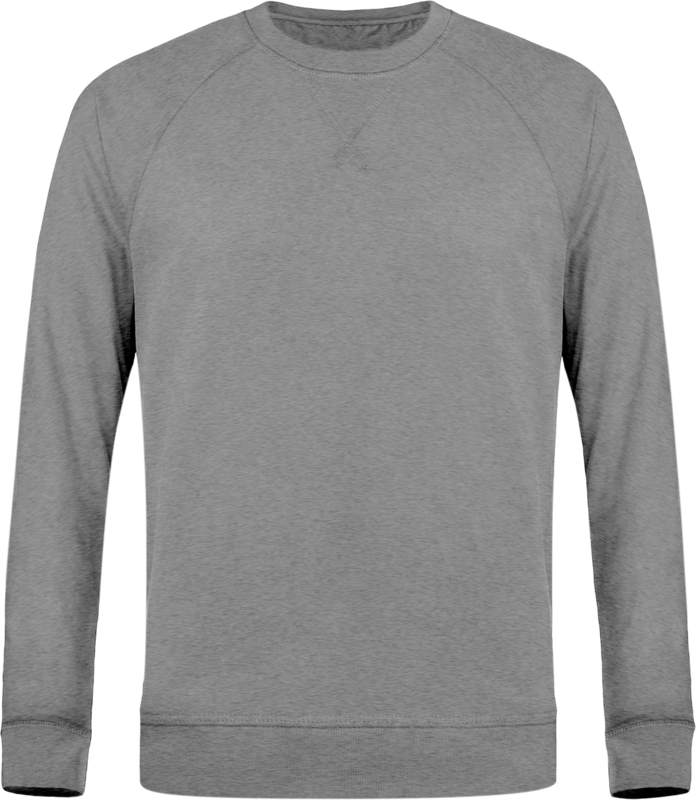 Fitted cut; Heather grey cleanliness band on white and white on color; Double needle finishing touch sleeve bottom and garment bottom. 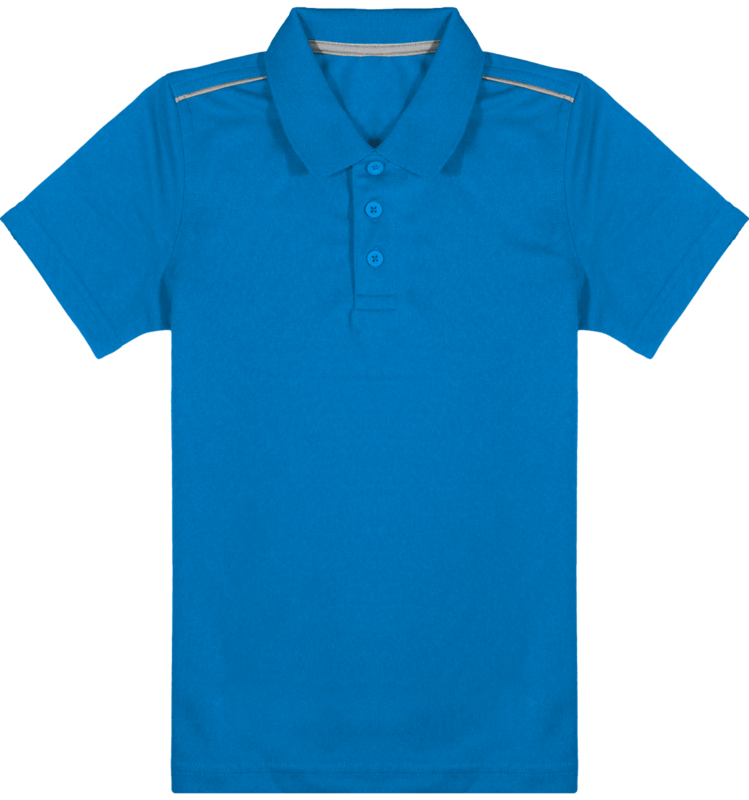 Stanley Stella men's t-shirt with round neck and quilted material. 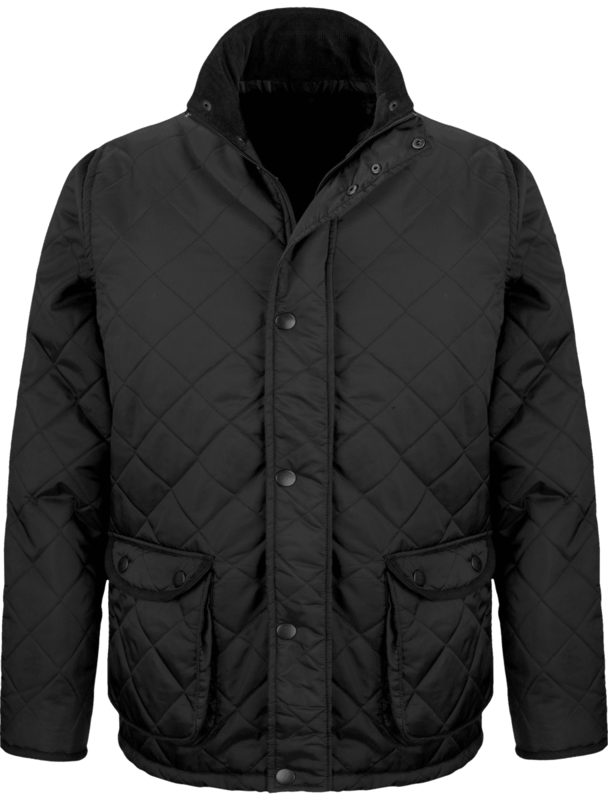 Quilted material that gives a slight relief to the touch of the t-shirt and a lot of originality. 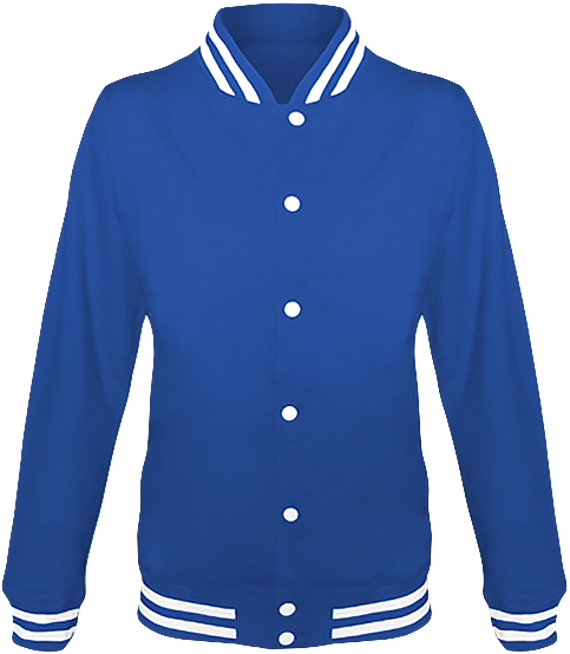 The sleeves are mounted, ribbed at the collar and at the bottom of the sleeve. Tape inside collar in jersey and slit on seams. 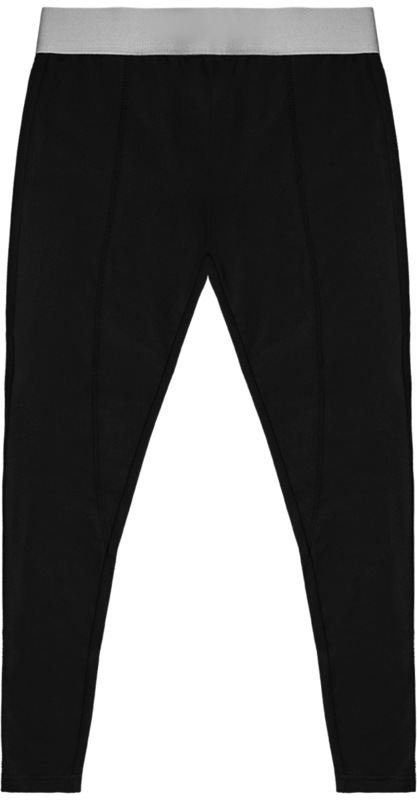 Double bottom hem with double stitching. T-shirt to personalise 100% organic cotton spun and combed. Weight of 180 gsm. 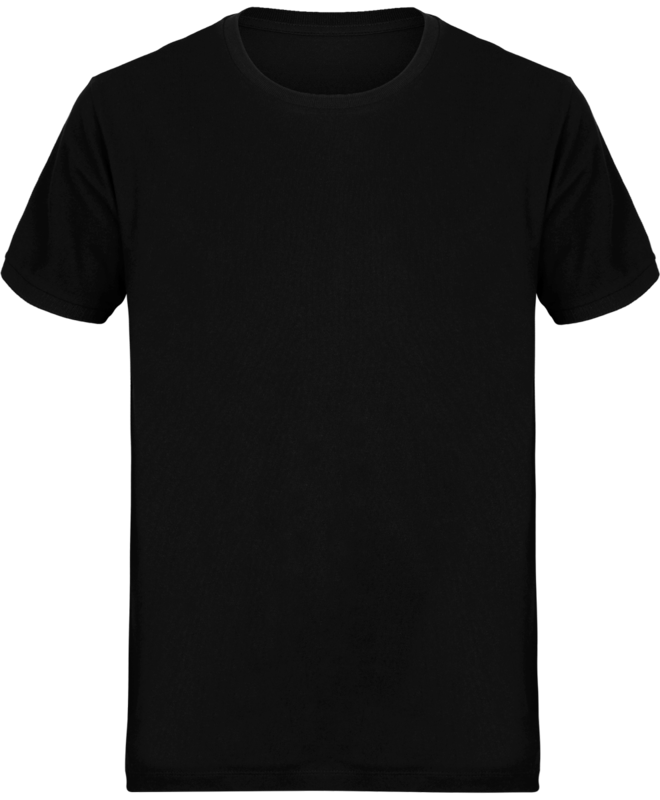 Men high neck T-shirt to personalise. 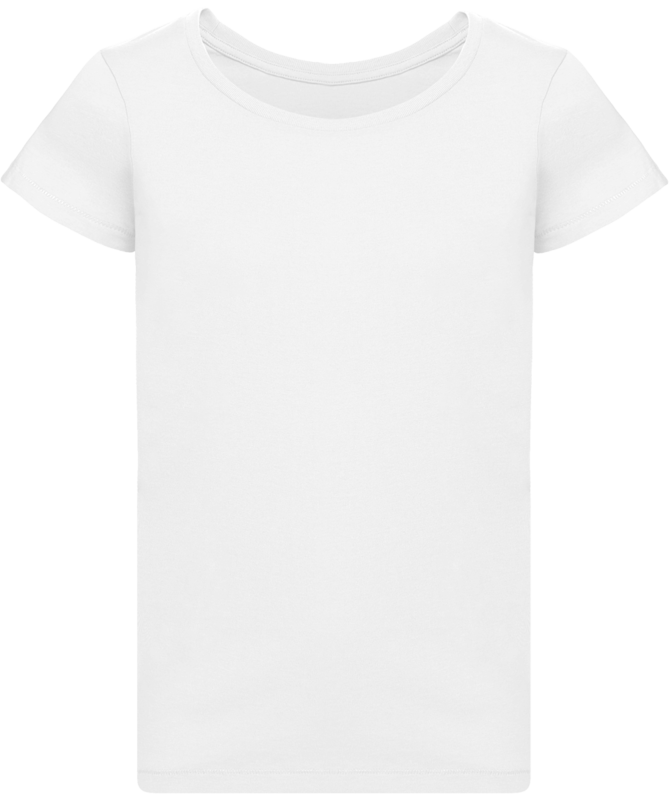 Organic cotton t-shirt with fitted sleeves, dropped sleeves, 1 x 1 high collar. Tape inside the collar in the main material. Hem bottom and bottom hem with simple stitching. The detail that makes this t-shirt unique and original is the wide flush collar. 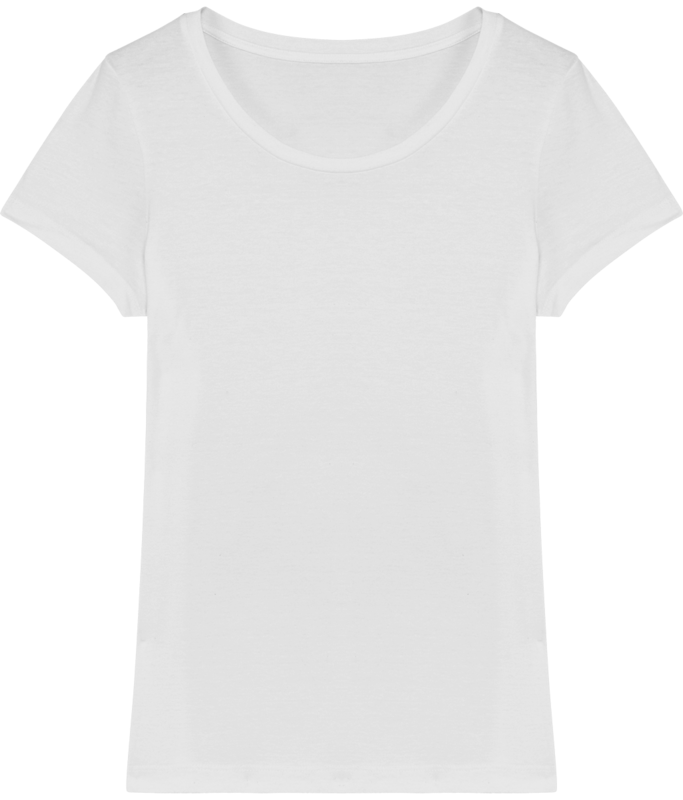 All organic cotton, it's a soft t-shirt and very comfortable to wear. 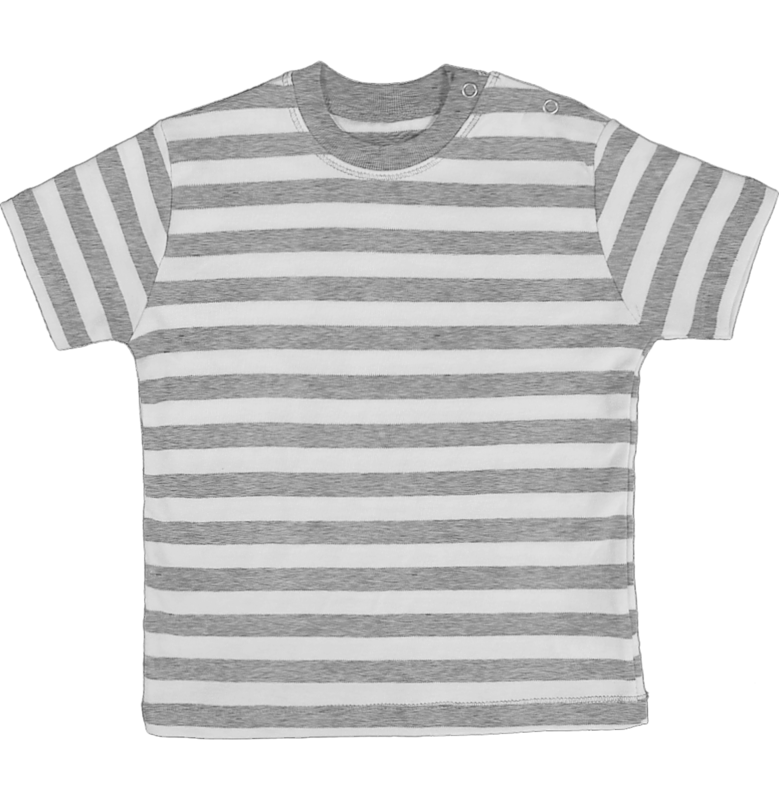 Stanley T-shirt 100% organic cotton spun and combed. Weight of 155 gsm. 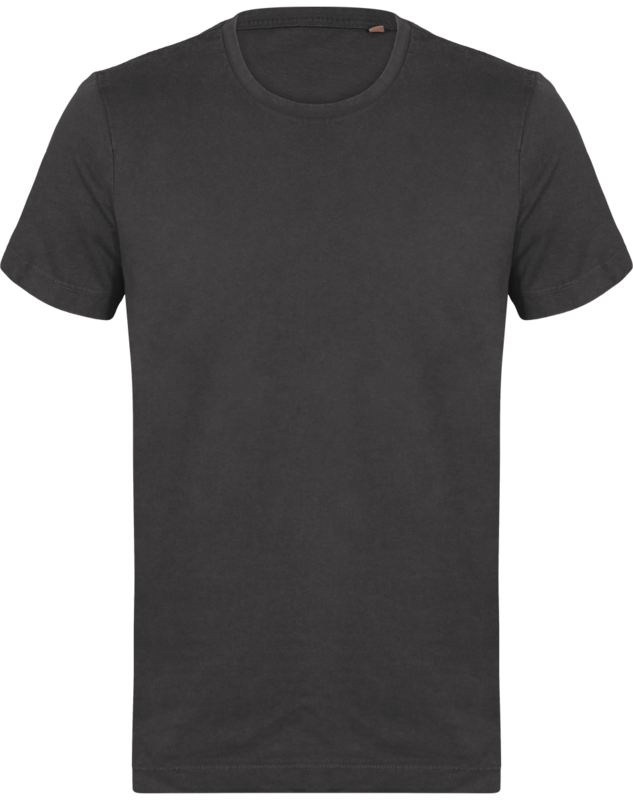 Classic round neck t-shirts for men to personalise. Basic t-shirt, essential of the wardrobe that can be worn with a large number of looks. 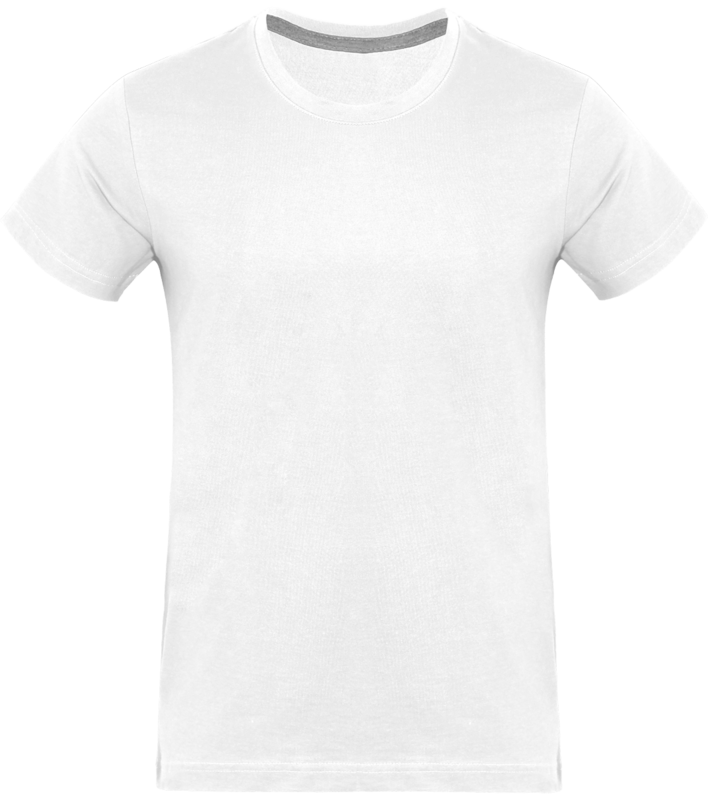 Premium organic cotton t-shirt with embroidery and print. Mounted sleeves, 1 x 1 rib collar and interior yoke of the same fabric on the back of the collar. Sleeve hem and bottom hem with double topstitching. Composition: Single Jersey 100% Organic Cotton Spun And Combed. Weight of 140 gsm. 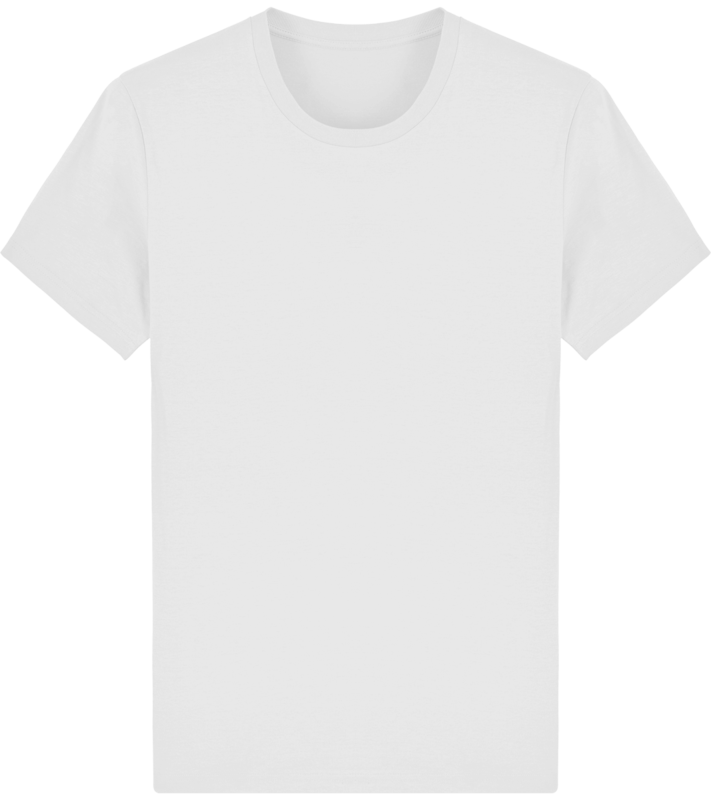 Men's short sleeve t-shirt with a cut close to the body. Qualitative weight of 190gr/m2. 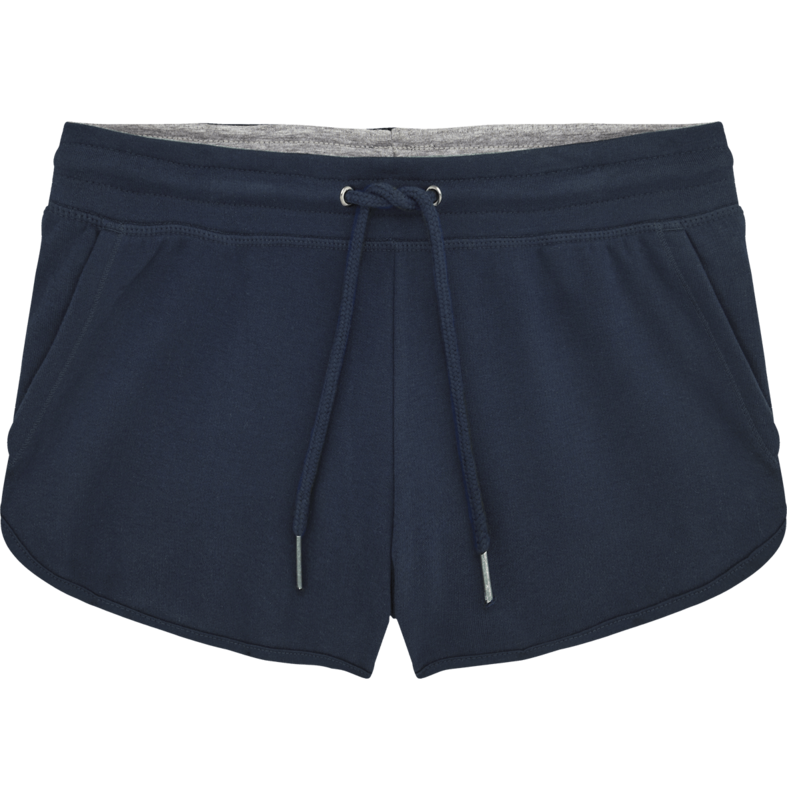 95% Cotton / 5% Elastane composition. 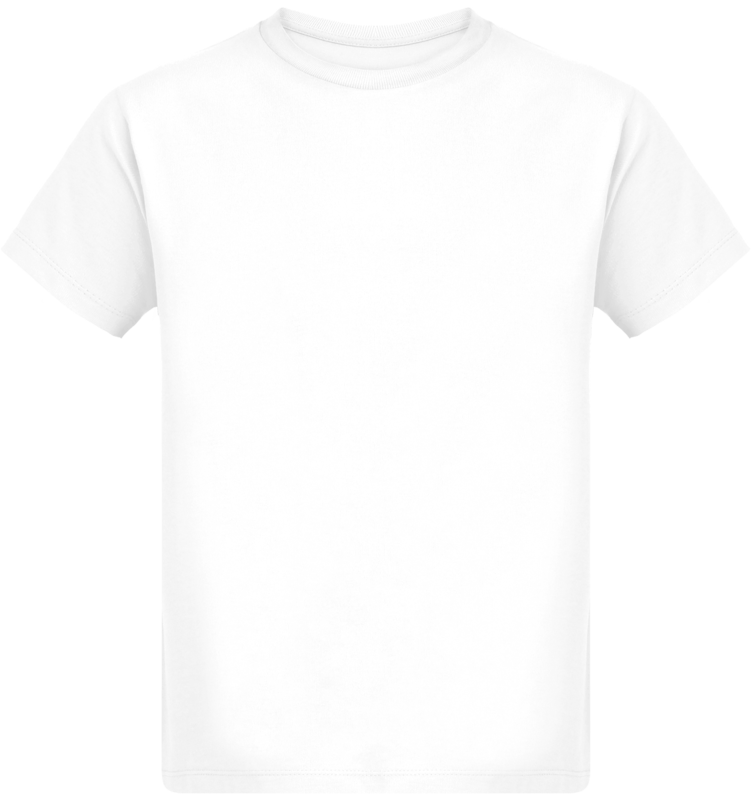 Customisable organic cotton T-shirt Ringer with collar and contrasting sleeves for men. 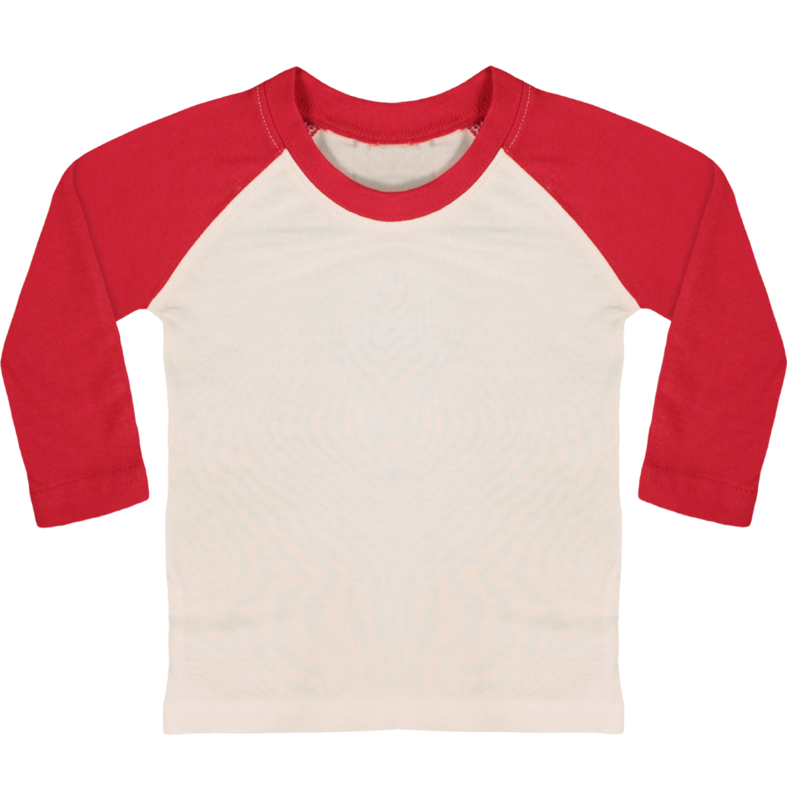 Original t-shirt with collar and contrasting color cuffs. 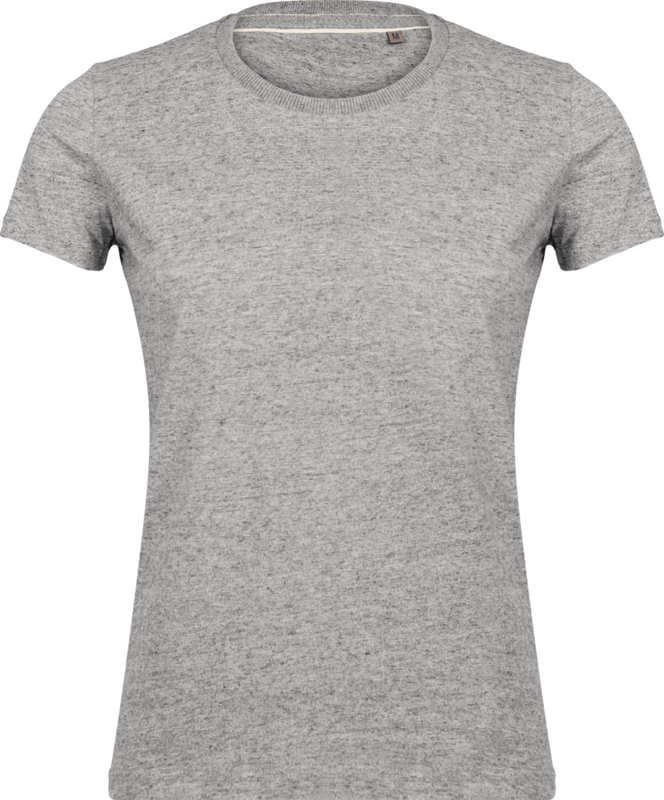 Soft T-shirt made of single Jersey, 100% organic cotton combed ring-spun. Weight of 155 g / m2. 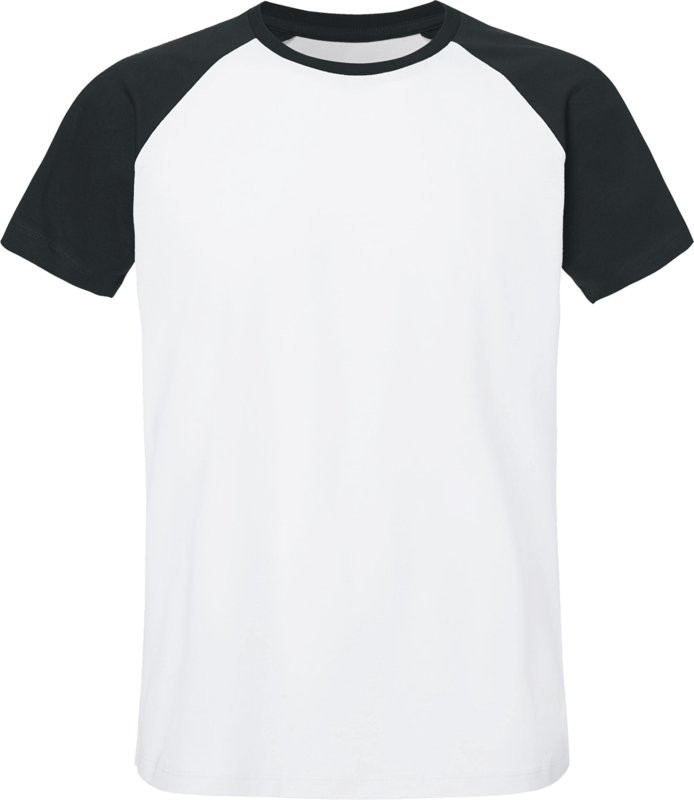 T-shirt with contrasting raglan short sleeves 100% organic combed ring-spun cotton 155 GSM. 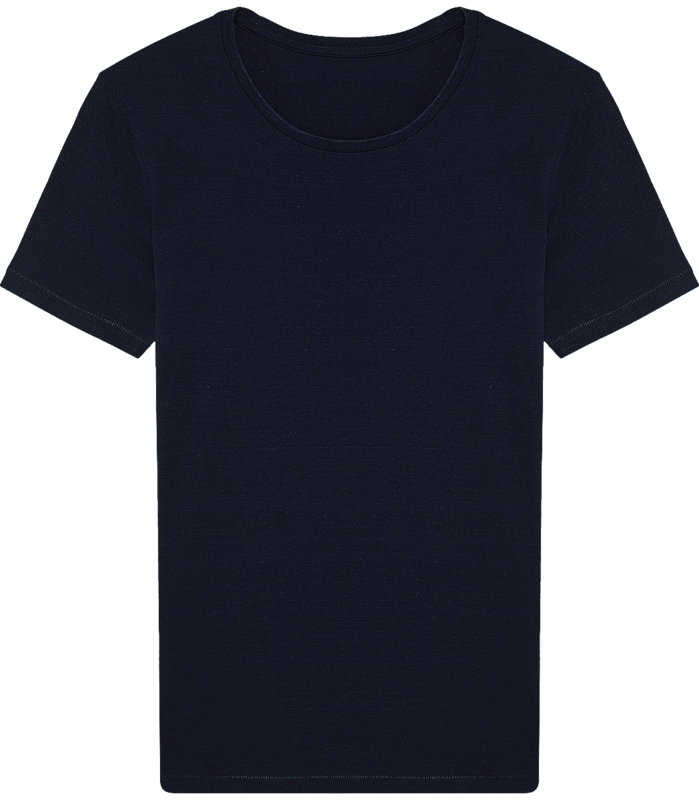 Blue jeans round neck t-shirt for men to personalise. 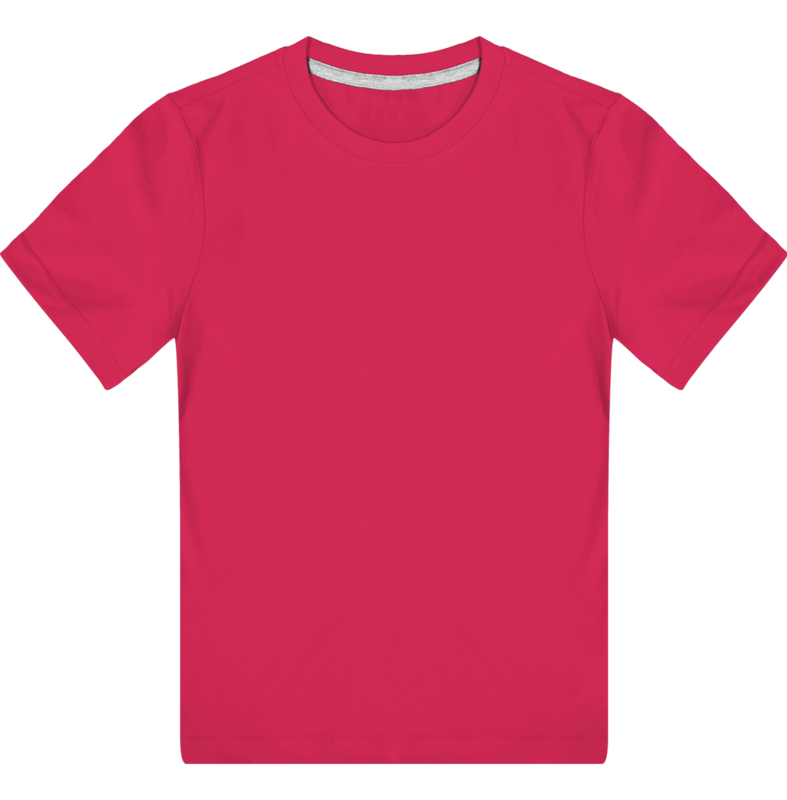 An embroidered or printed t-shirt that stands out for its trendy and original color. 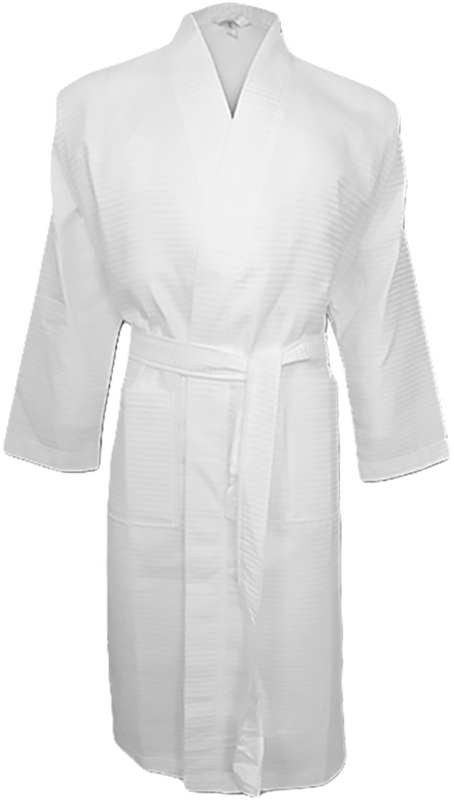 With its composition in organic cotton, it is very pleasant to the touch and against the skin. 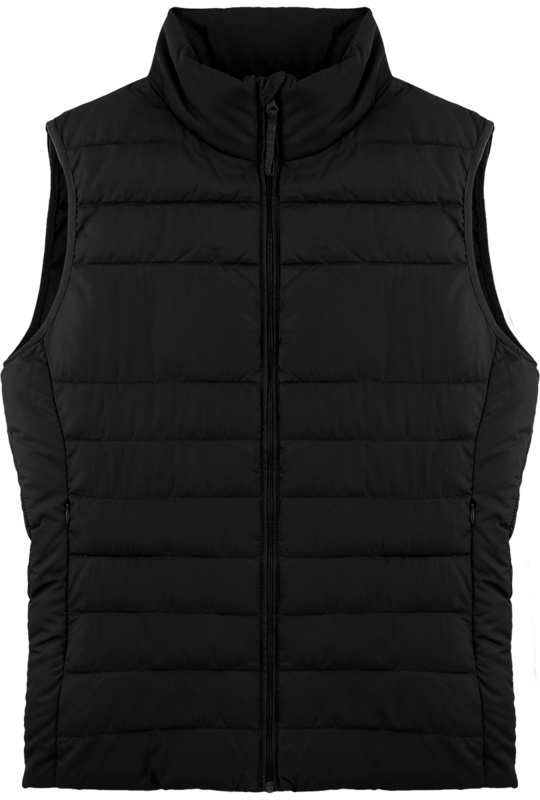 Features: Mounted sleeves, 1 x rib collar. Inside yoke of the same fabric on the back of the collar. 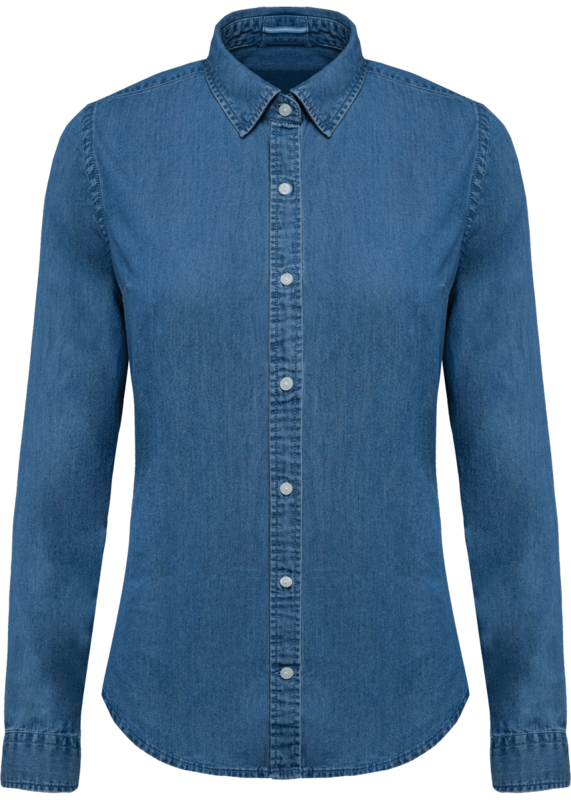 Sleeve hem and bottom hem with invisible stitching. Slight shades at the seams for a faded look. 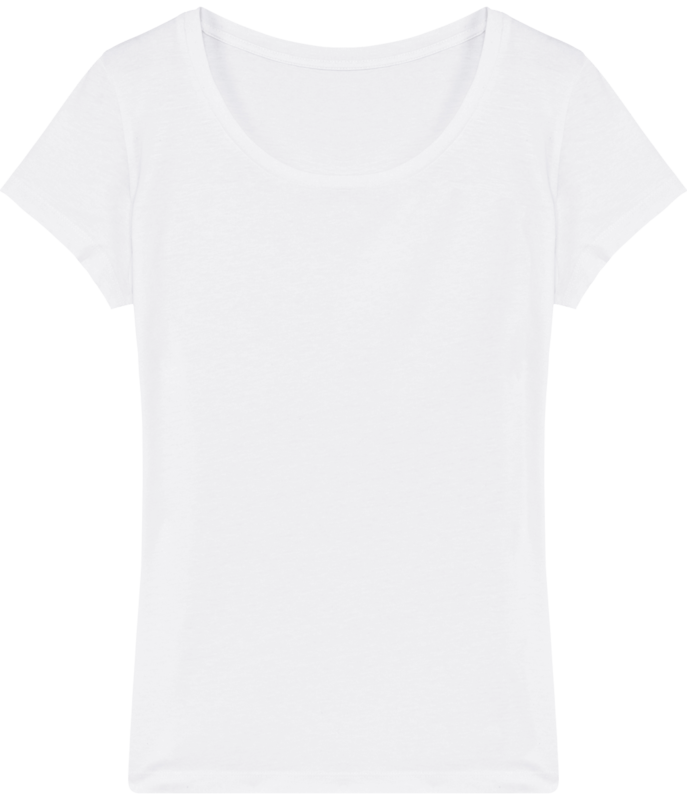 Simple jersey T-shirt 100% Organic Cotton. 155 gms. 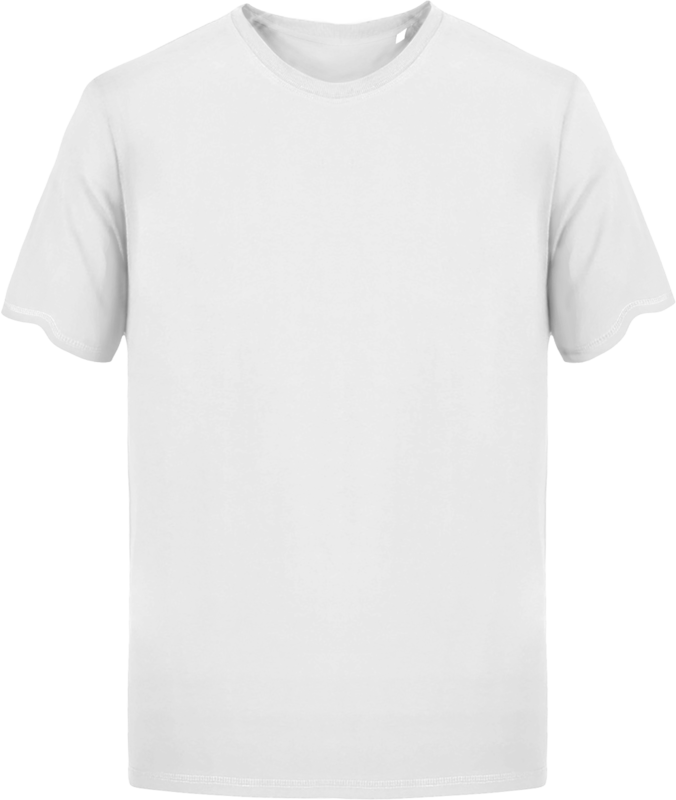 Custom men's t-shirt in 100% cotton (except Heather Gray: 97% cotton / 3% polyester). Basic t-shirt to personalize in embroidery and printing. Round neck with clean band. 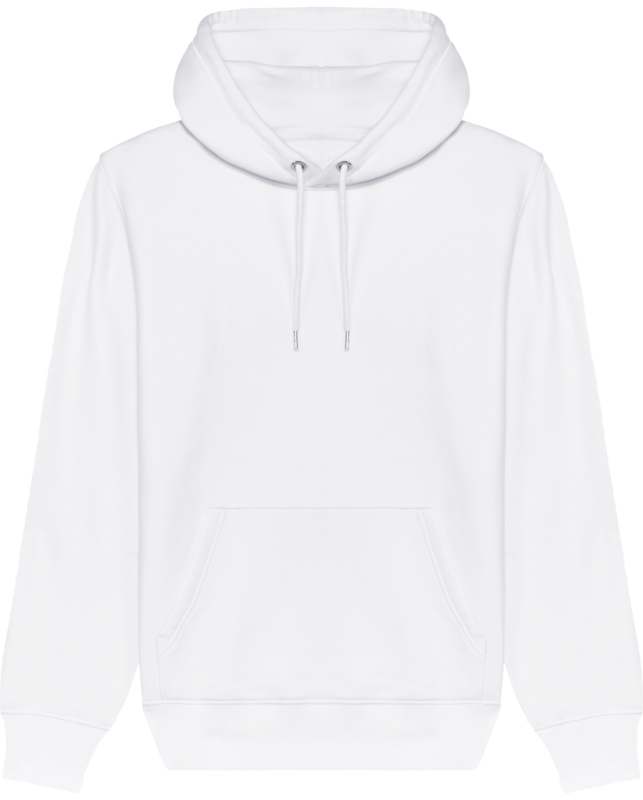 Simple cut available in several colors. 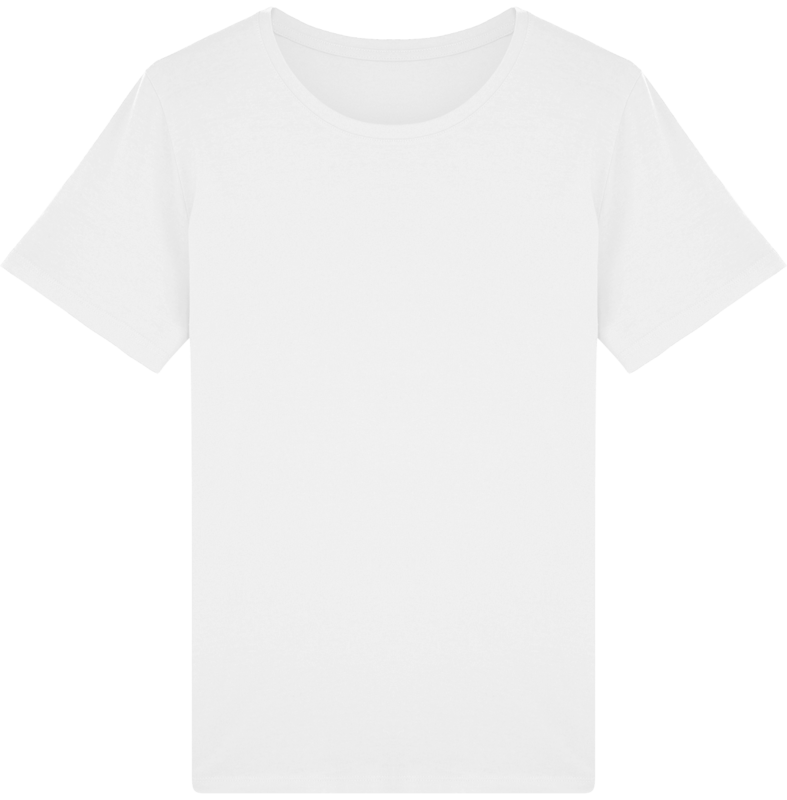 Weight of the t-shirt to be personalized from 135/145 g / m². Custom men's t-shirt in embroidery and print. 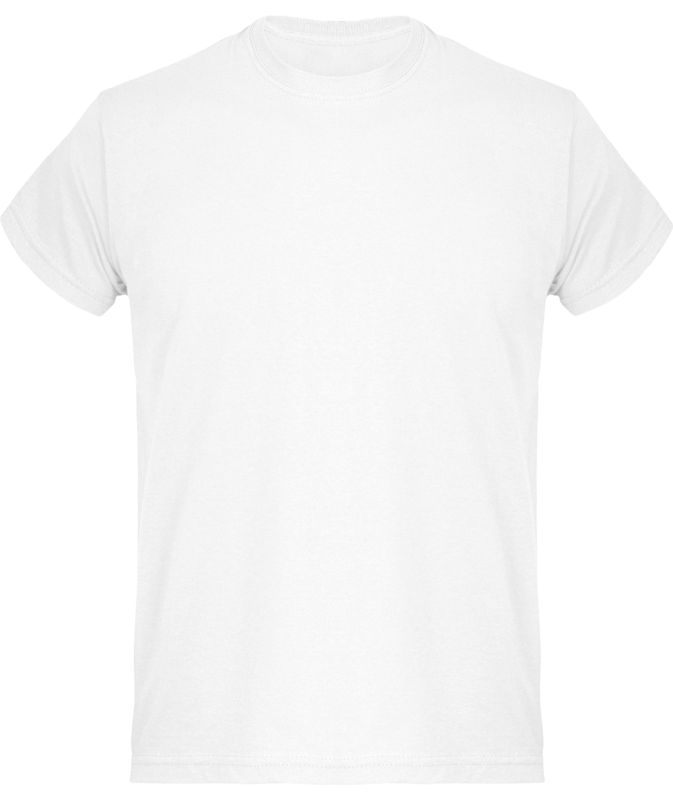 T-shirt with a body-hugging fit made entirely of organic cotton. Mounted sleeves, 1 x 1 rib collar and interior yoke of the same fabric on the back of the collar. Sleeve hem and bottom hem with double topstitching. 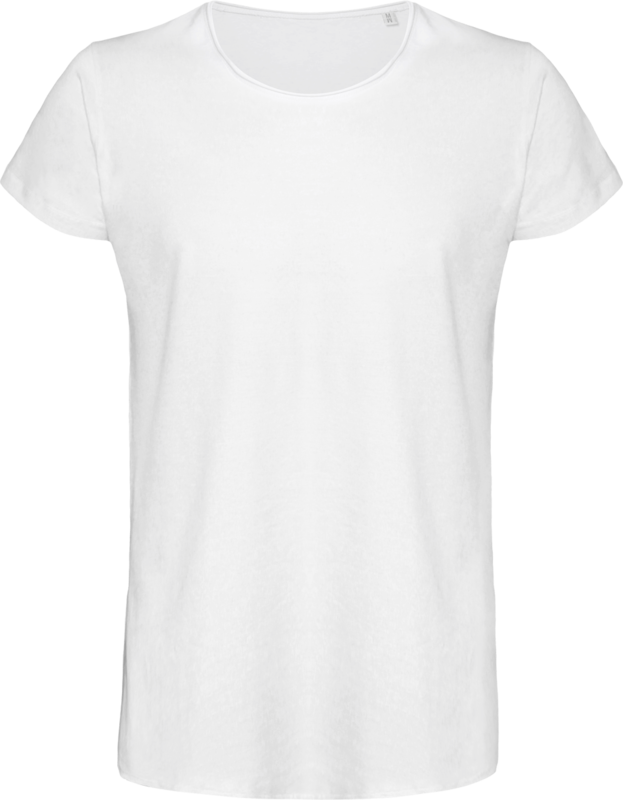 T-shirt made of 100% organic cotton jersey, spun and combed. Weight of 155 gms. 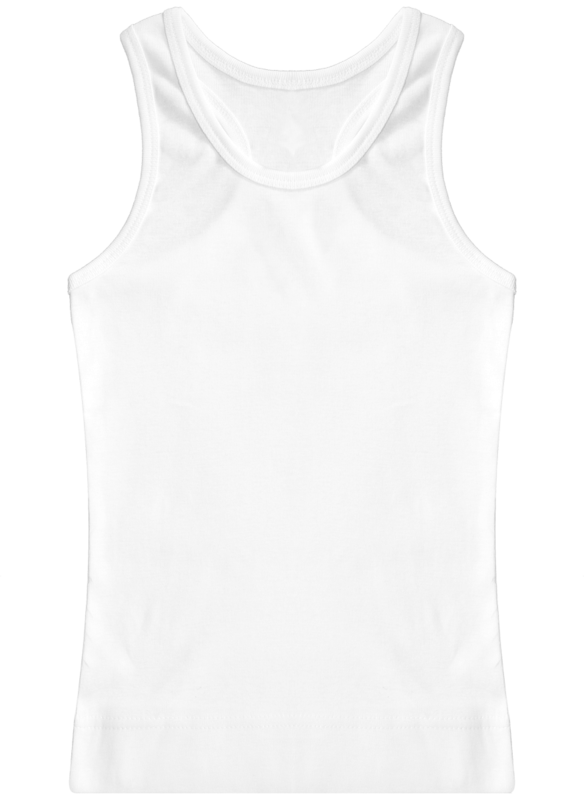 Personalised organic cotton tank top for men. 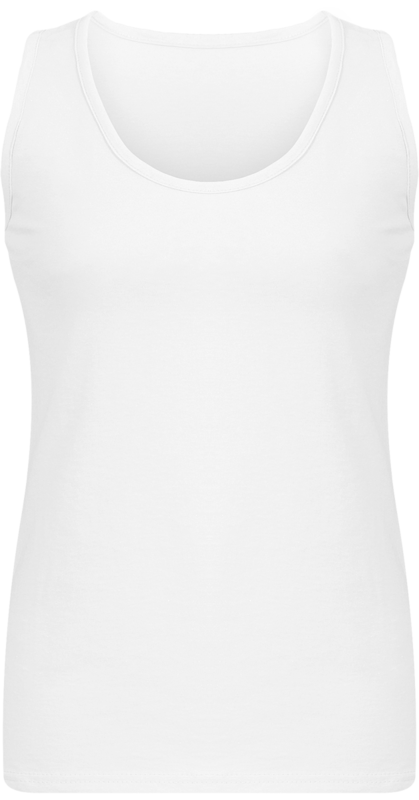 Tank top in single Jersey 100% organic cotton combed ring-spun. 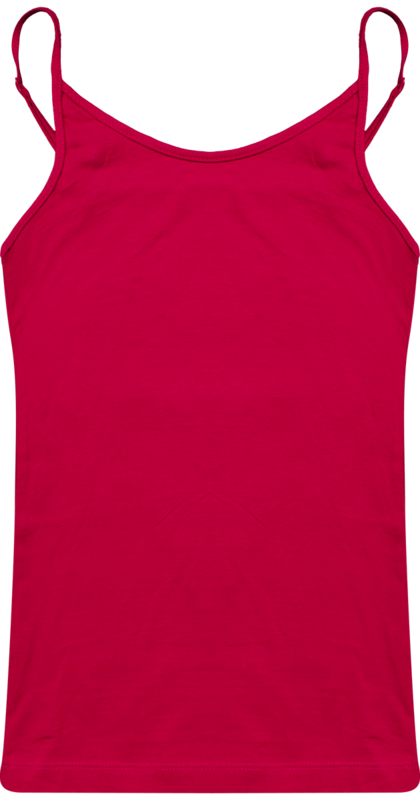 Flexible tank top, very comfortable to wear and soft against the skin. Weight of 155 gms. 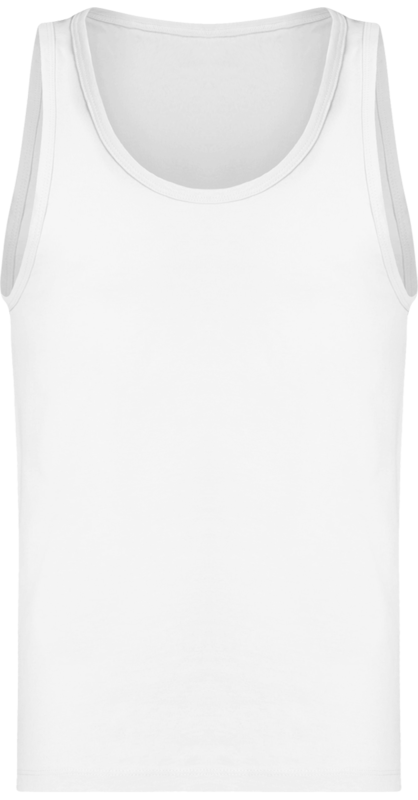 Men's sleeveless t-shirt to personalise. 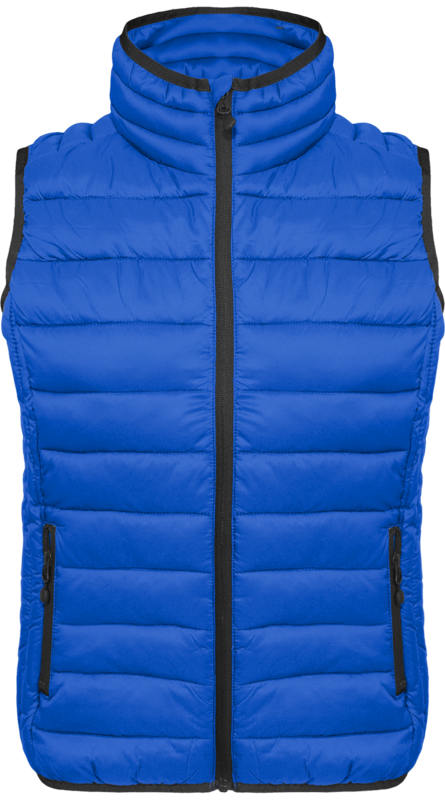 A very masculine tank top that enhances the middle part, the shoulders and the arms with its cut and wide straps. 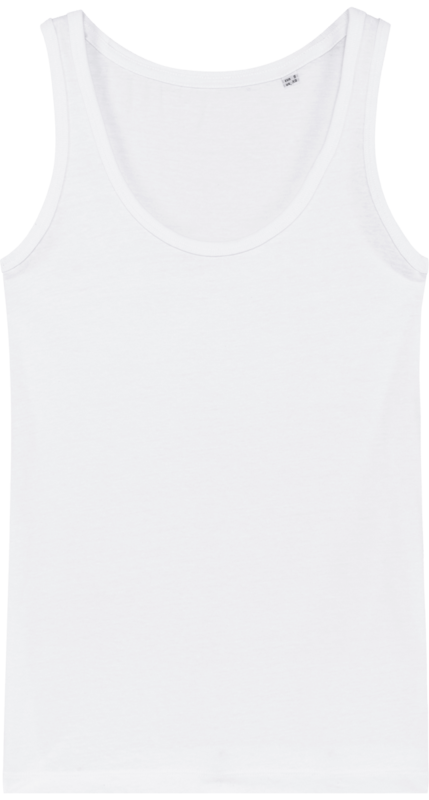 The original cup of the tank top will be perfect for personalisation. It will be the unique and trendy piece of your dressing room this summer. 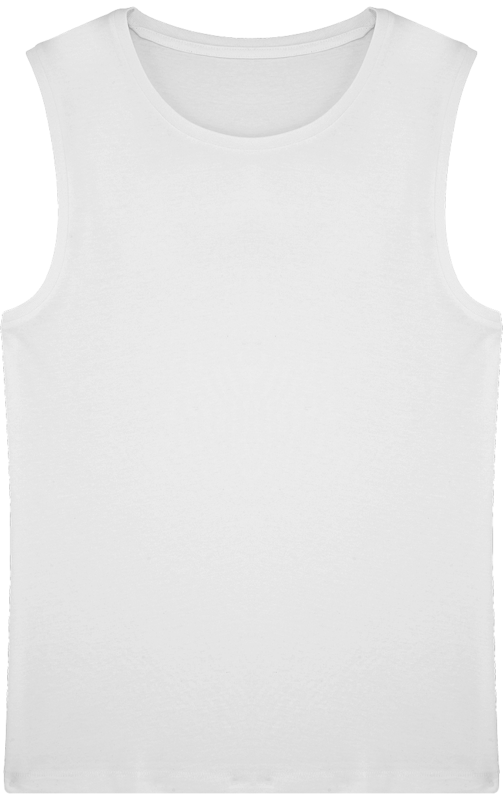 Custom men's tank top with 1 x 1 rib collar and armholes, inner yoke on the same fabric on the back of the collar and bottom hem with invisible stitching. 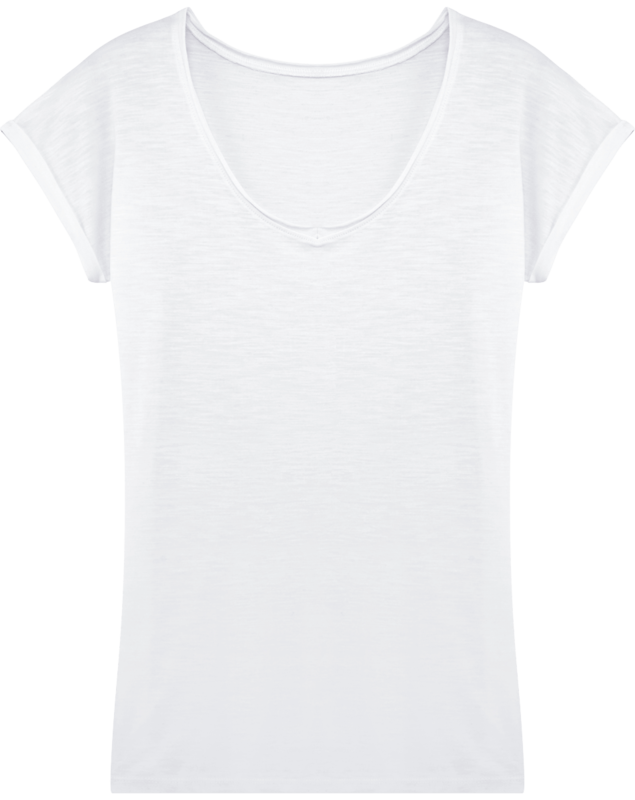 Composed of jersey Simple 100% Organic Cotton Spun And Combed. Weight of 155 Gms. 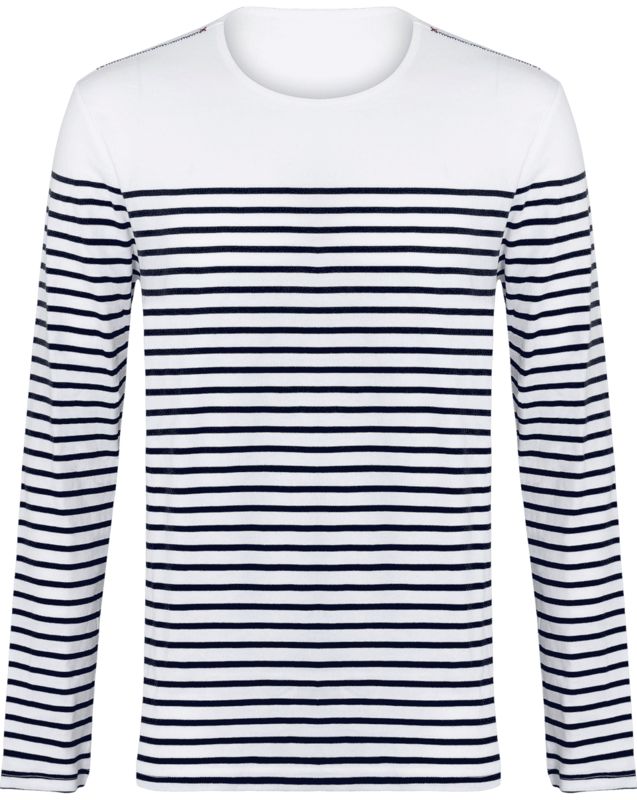 Take on a modern utilitarian trend with this men's roll sleeve tee. 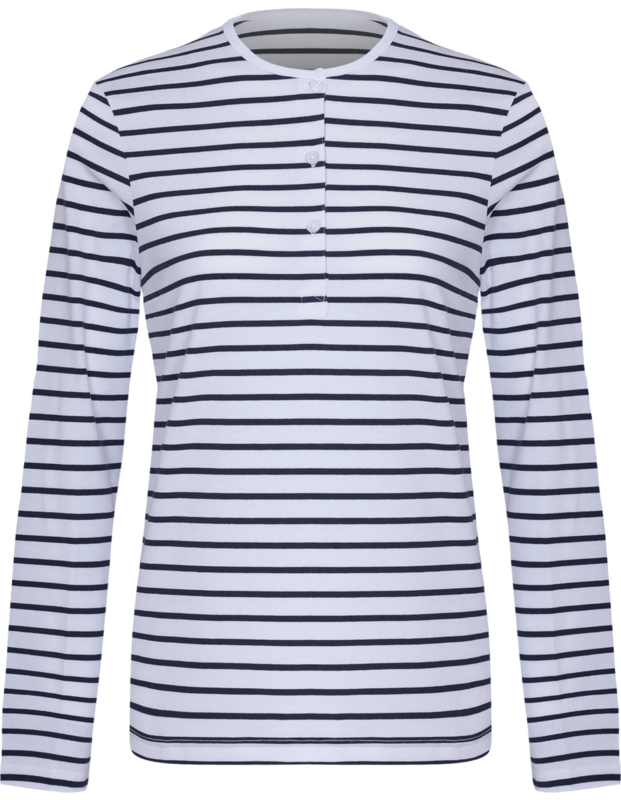 A simple but versatile style that can be worn as a long sleeve or rolled back and fastened in place on the upper arm. 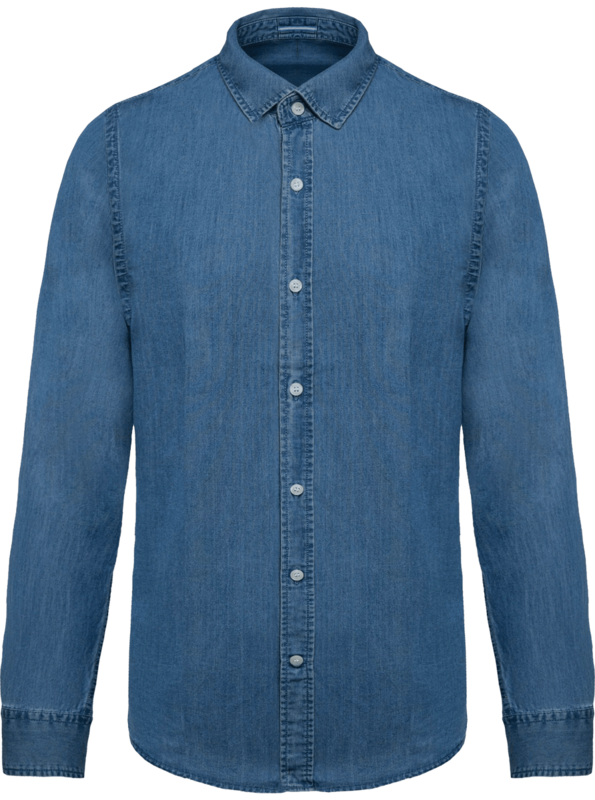 Soft to touch with an element of stretch in the fabric, this is a trendy piece of workwear that acts as casual alternative to a shirt. Fabric: 82% Polyester, 14% Viscose, 4% Elastane. Weight: 190gsm. Size: XS 30, S 34, M 38, L 42, XL 46, 2XL 50, 3XL 54. 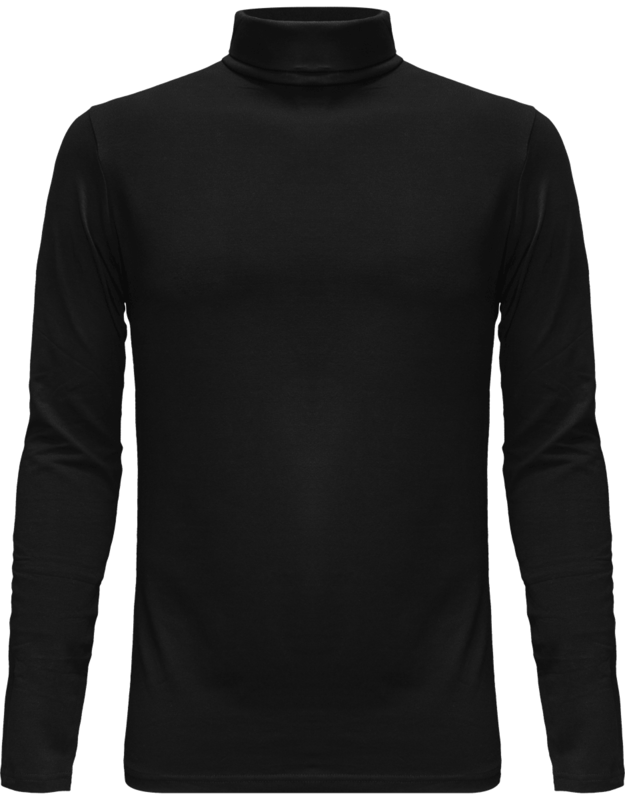 Long sleeve tee that has roll sleeve capabilities with button tab on the inside of the sleeve to secure in place. Round neck style with three a button placket. Twin-needle stitching to the hem and cuff. Washing Instructions: Domestic wash at 40°c. 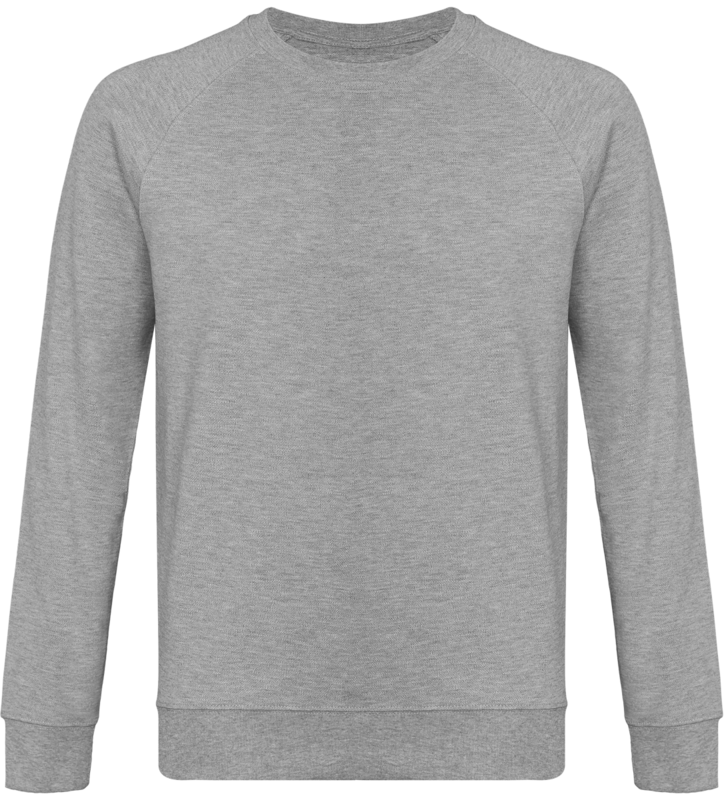 Fluid crew neck t-shirt to personalise. 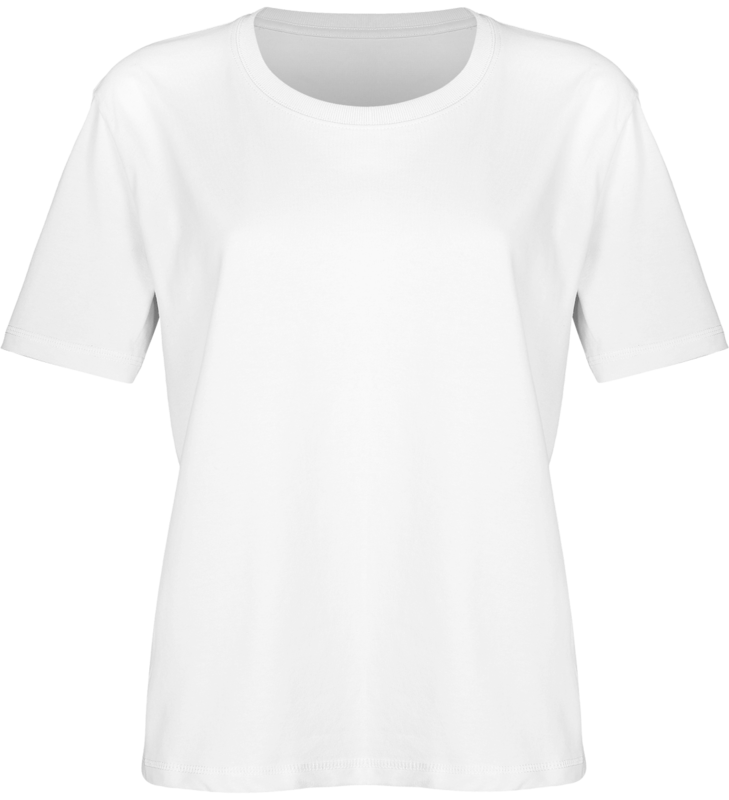 Fluid and loose fit t-shirt with fitted sleeves, 1 x 1 rib collar and inside yoke of the same fabric on the back of the collar. 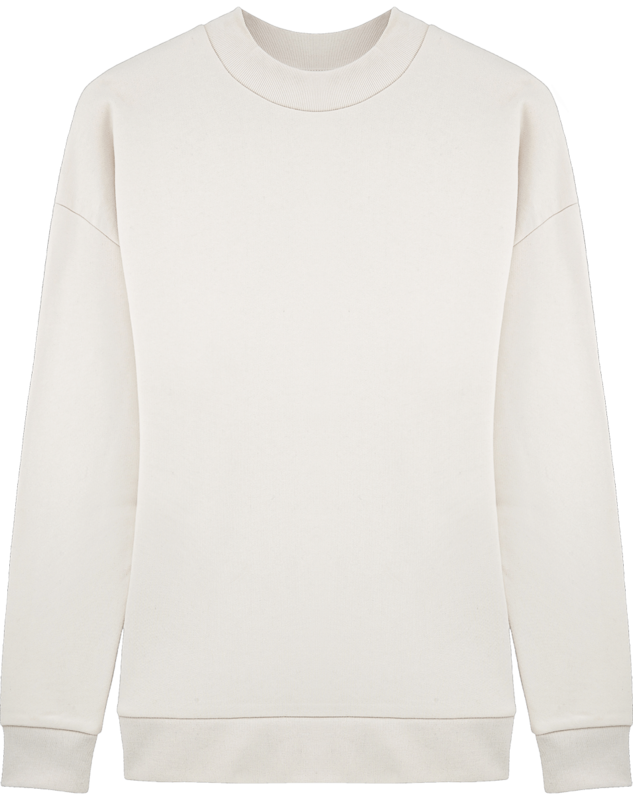 Sleeve hem and bottom hem with invisible stitching. 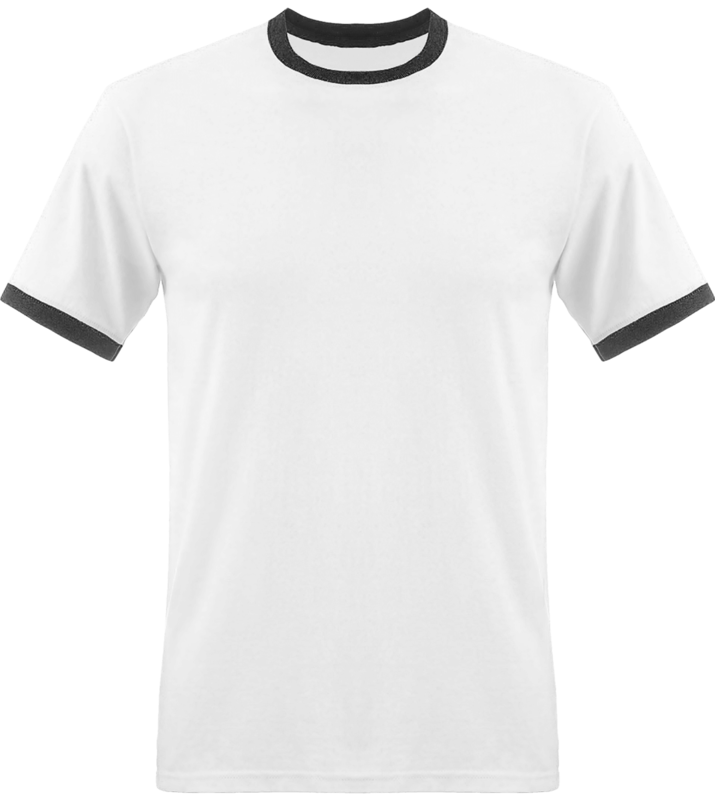 Men's T-shirt made of Simple Jersey 50% Organic Cotton Spun And Combed, 50% Modal. Weight of 140 gms. 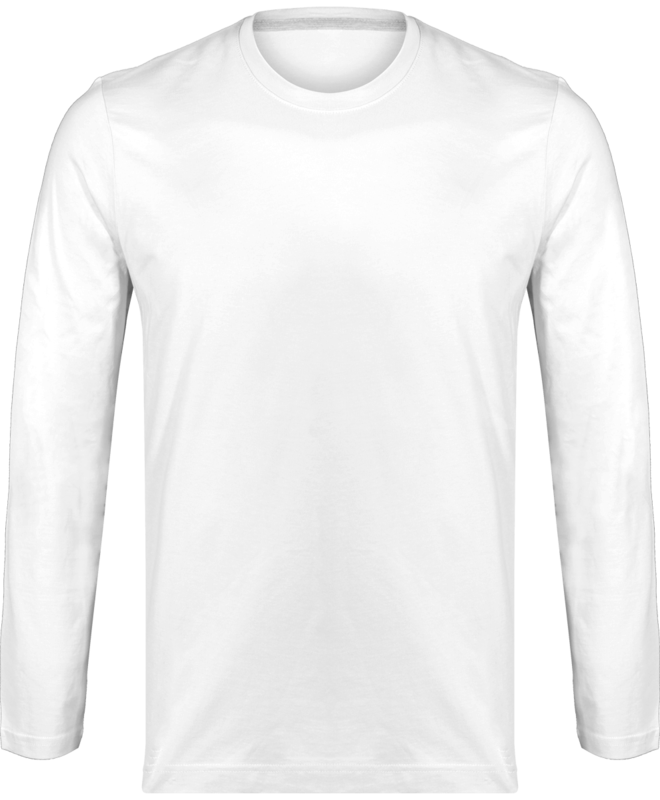 Men's organic cotton crew neck long-sleeved t-shirt. 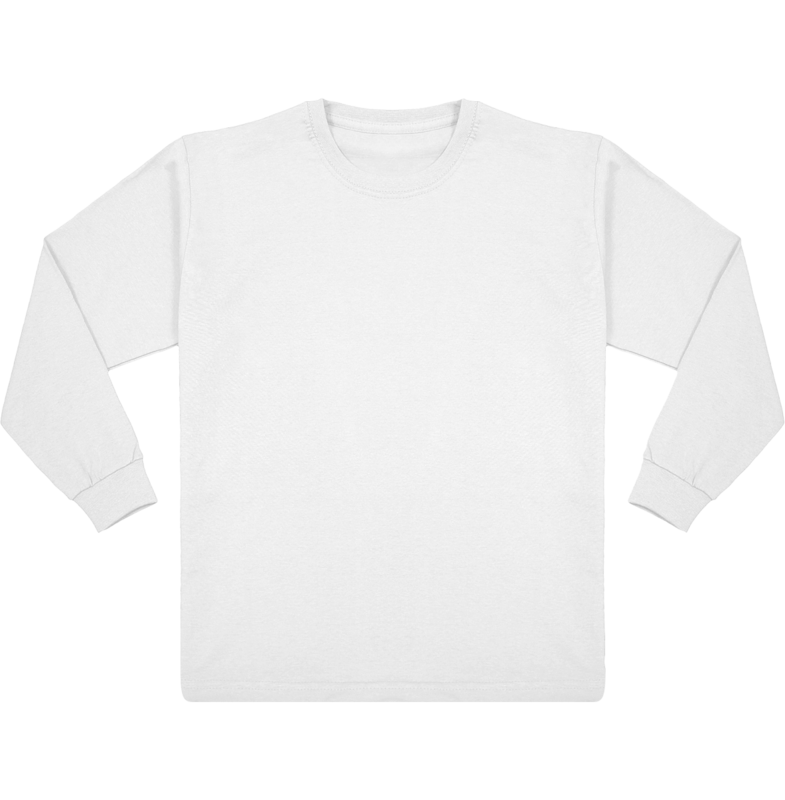 T-shirt long sleeves, very soft and comfortable to wear. 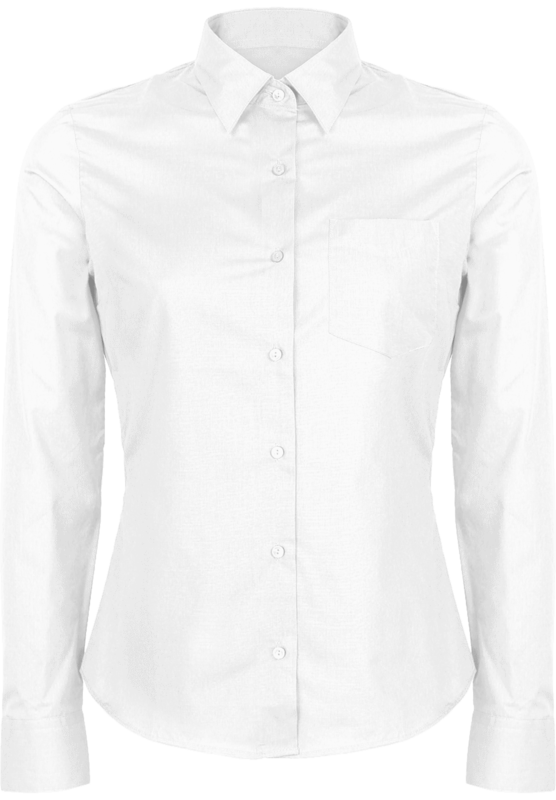 Built-in sleeves, 1 x 1 rib collar and inner yoke of the same fabric on the back of the collar. 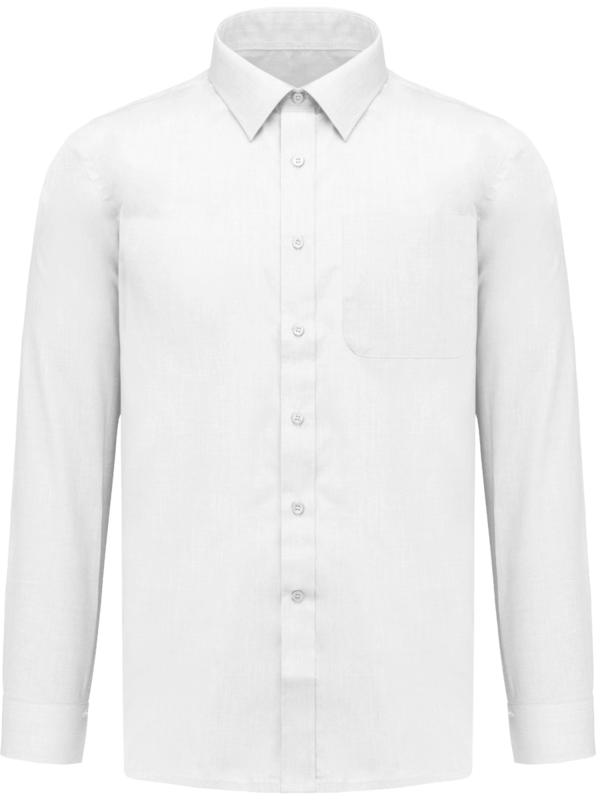 Sleeve hem and bottom hem with double stitching. 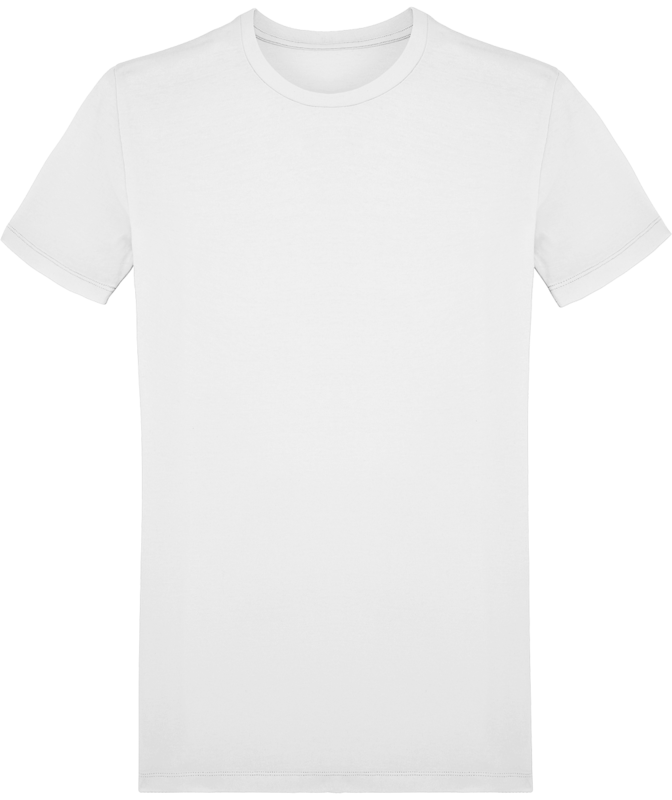 Single Jersey T-shirt 100% Organic Cotton Spun And Combed. Weight of 155 gms. 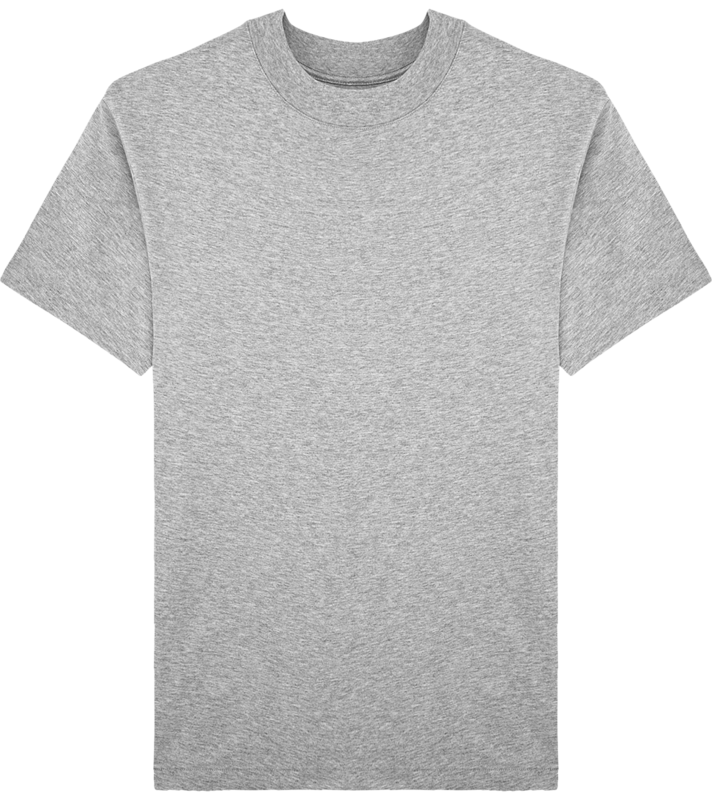 100% cotton ring-spun pre-shrunk "Softstyle " (except RS Sport Gray color: 90% cotton / 10% polyester). Knitted jersey. 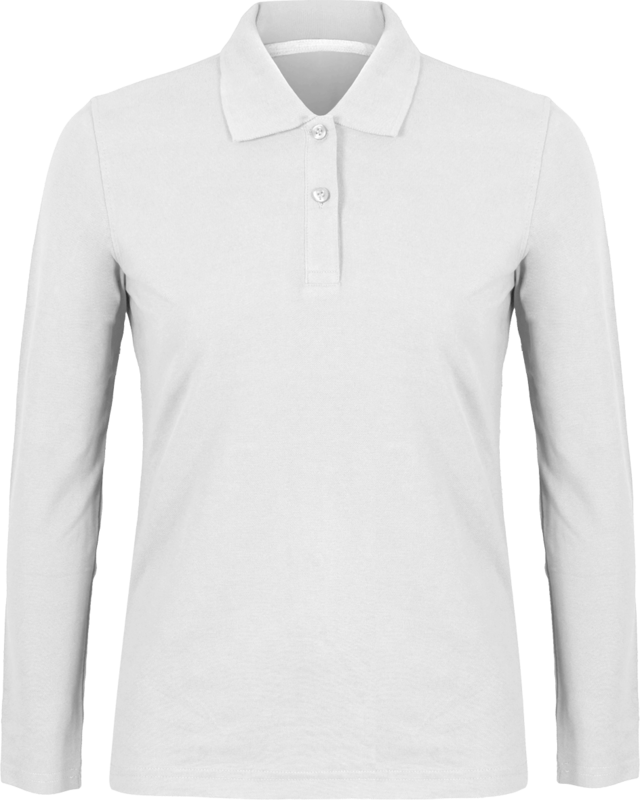 Ribbed finish at the collar and armholes. Double stitch at the bottom of the garment. 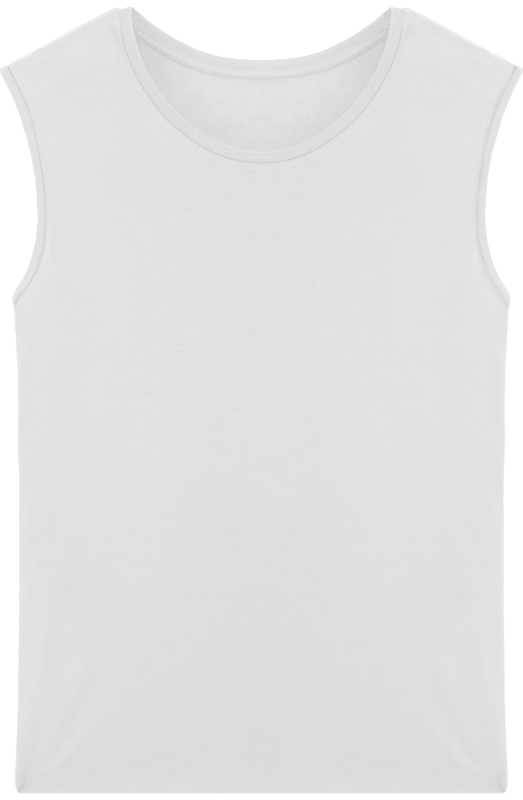 140/150 g/m²"
Tank Top for Men Personalised 100% cotton (except Heather Gray: 97% cotton / 3% polyester). Tubular cut that highlights the masculine build. 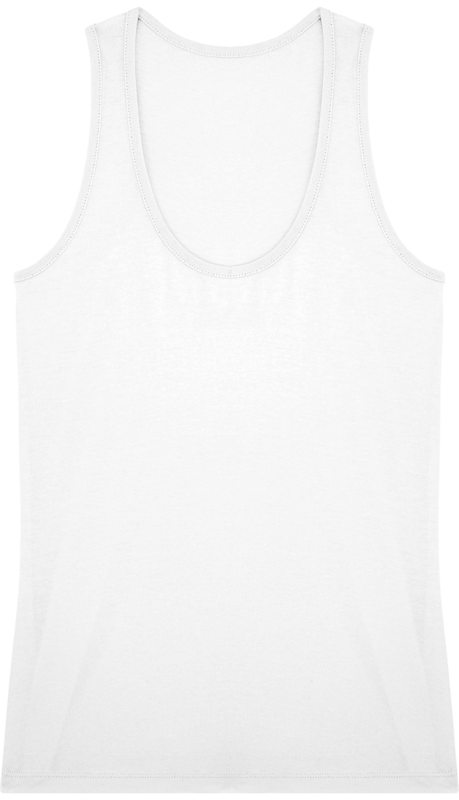 The cotton composition of the tank top man is soft and comfortable to wear when it is very hot. Tape on tone at collar and armholes. Weight of 160-165 g / m². 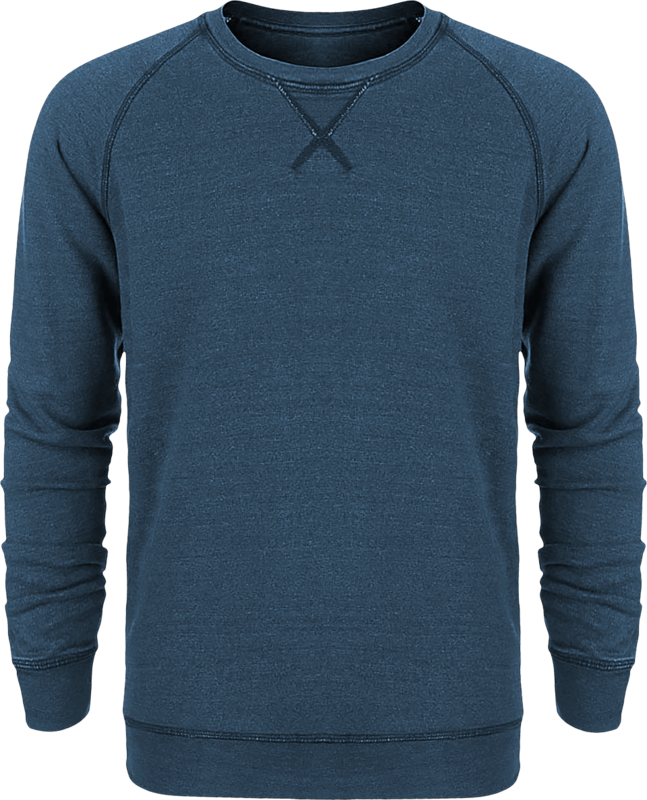 Rib crew neck with self-fabric back neck tape. Fine knit gauge for enhanced printability. Fabric: 100% Cotton. Heather Grey: 97% Cotton, 3% Polyester. 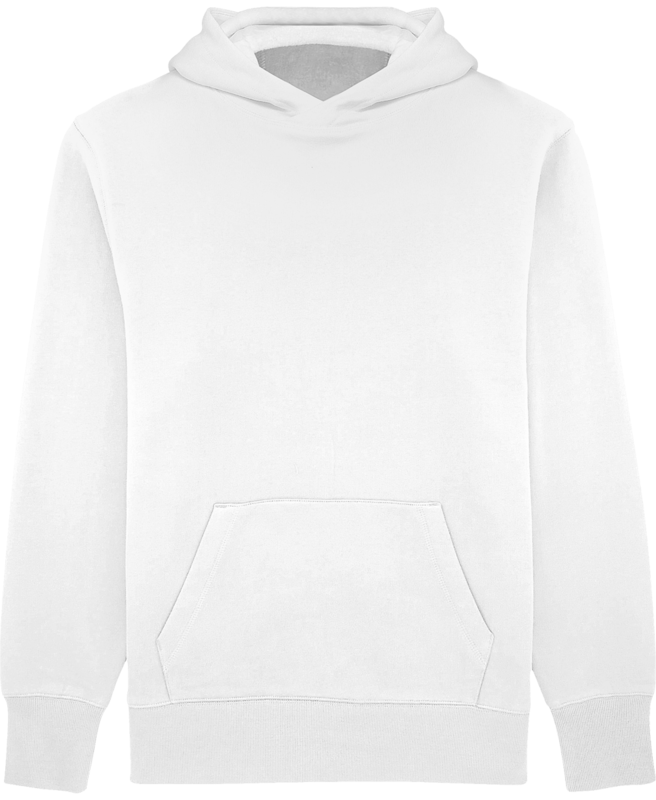 Weight: White 135gsm, Colours 145gsm. Women's classic t-shirt available in several colors to personalize in embroidery and printing. 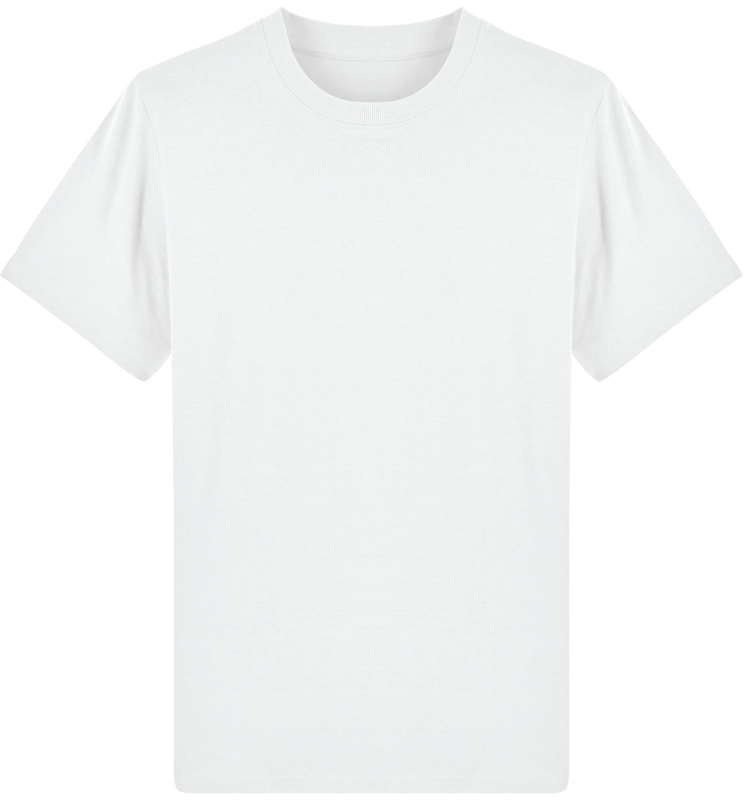 Quality t-shirt that will adapt to all body types. 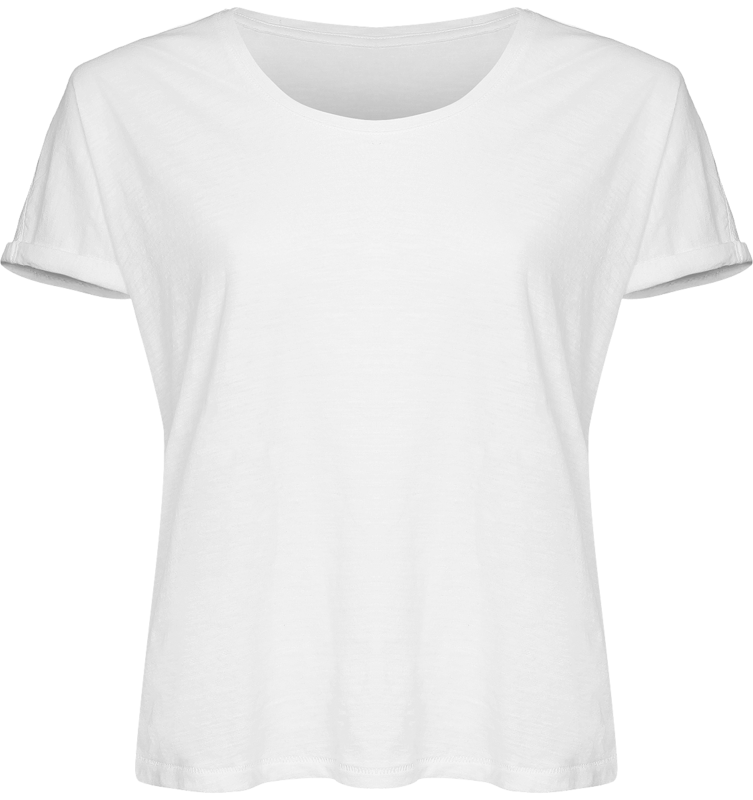 Women's t-shirt with a decreasing price on quantities. 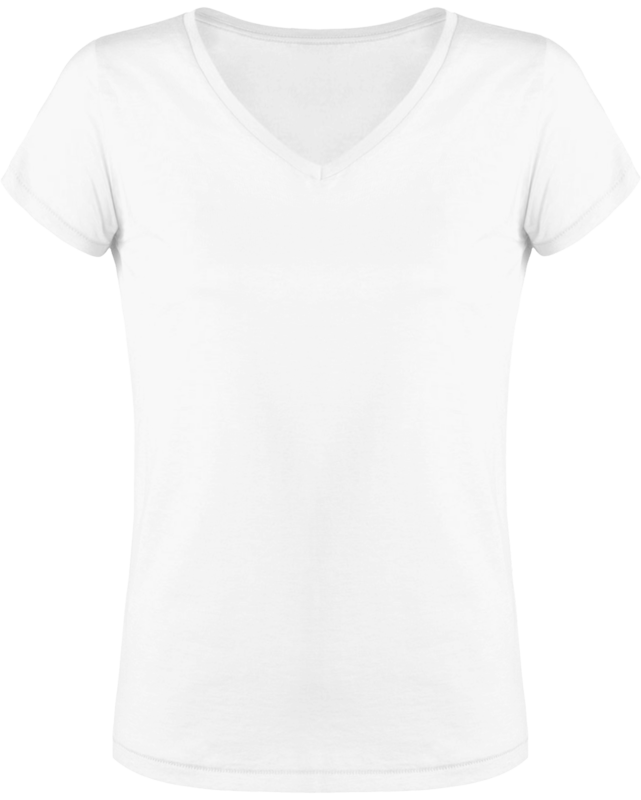 Custom Tee shirt Women V-neck in embroidery and print. 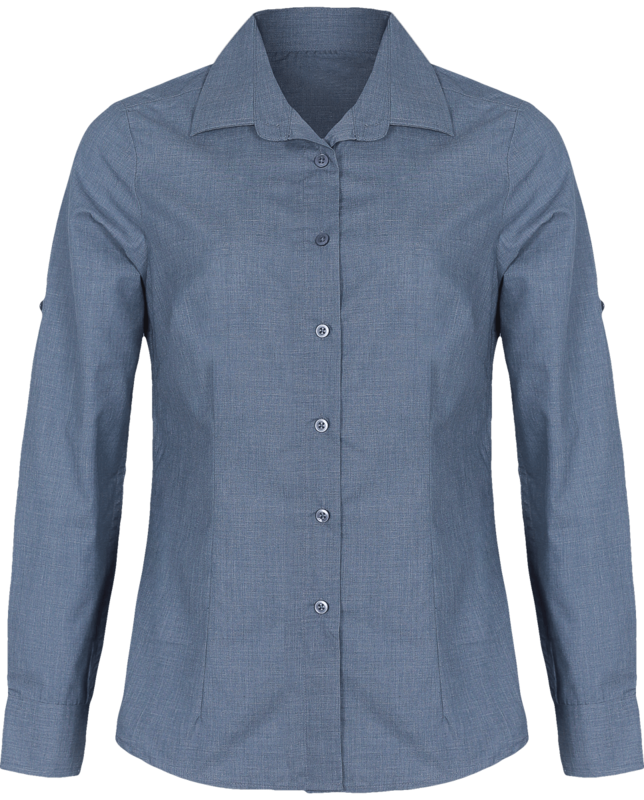 100% cotton jersey (Oxford gray: 90% cotton / 10% viscose) very feminine and comfortable. 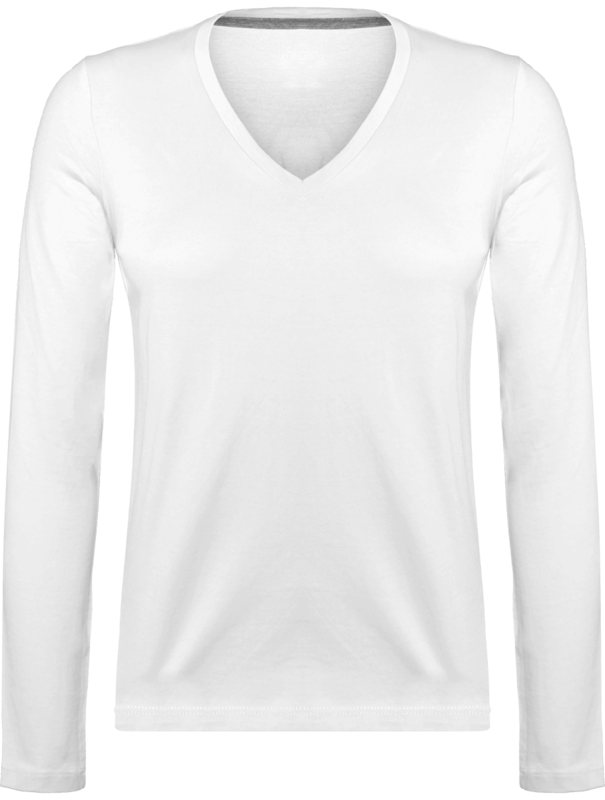 Its V-neck clears the blow and highlights the bust. 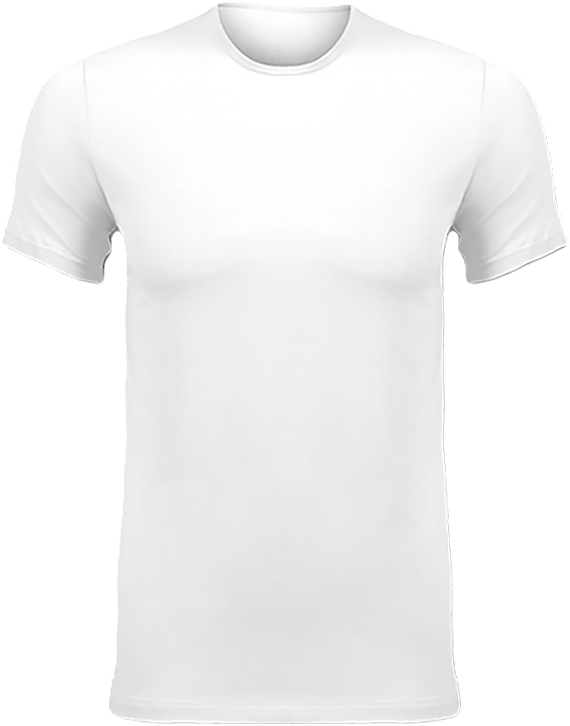 T-shirt with 1x1 rib collar with elastane. Slim fit fashion. Tonal clean band at the neckline. 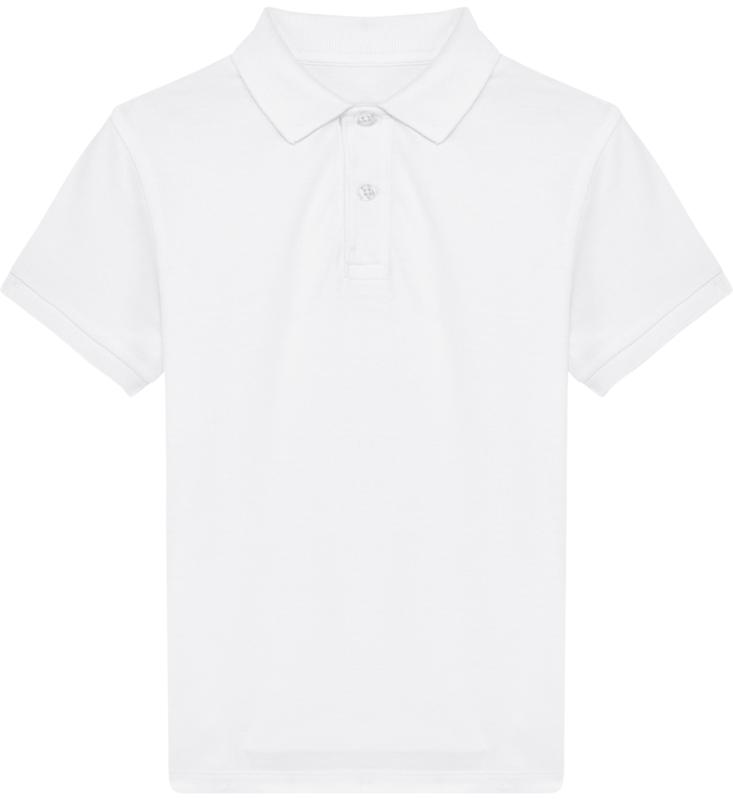 No brand label at the collar, only a chip size to facilitate customisation. Weight of 145 gms. T-shirt woman boxy cut to customise. The sleeves are a little longer than traditional t-shirts. The cut is fashionable and goes very well with jeans. 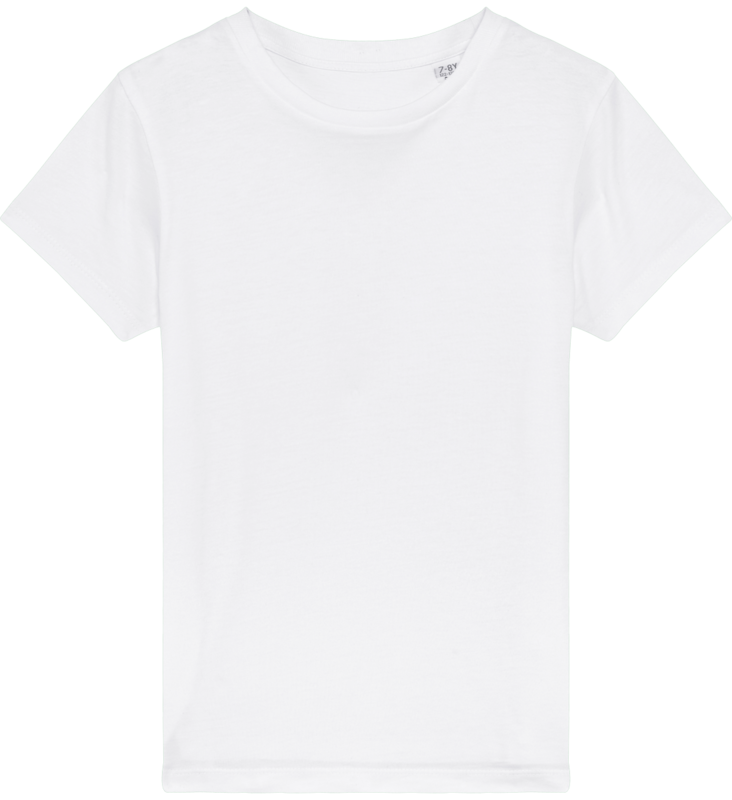 The Stanley Stella organic cotton t-shirt is very soft to the touch and comfortable to wear. 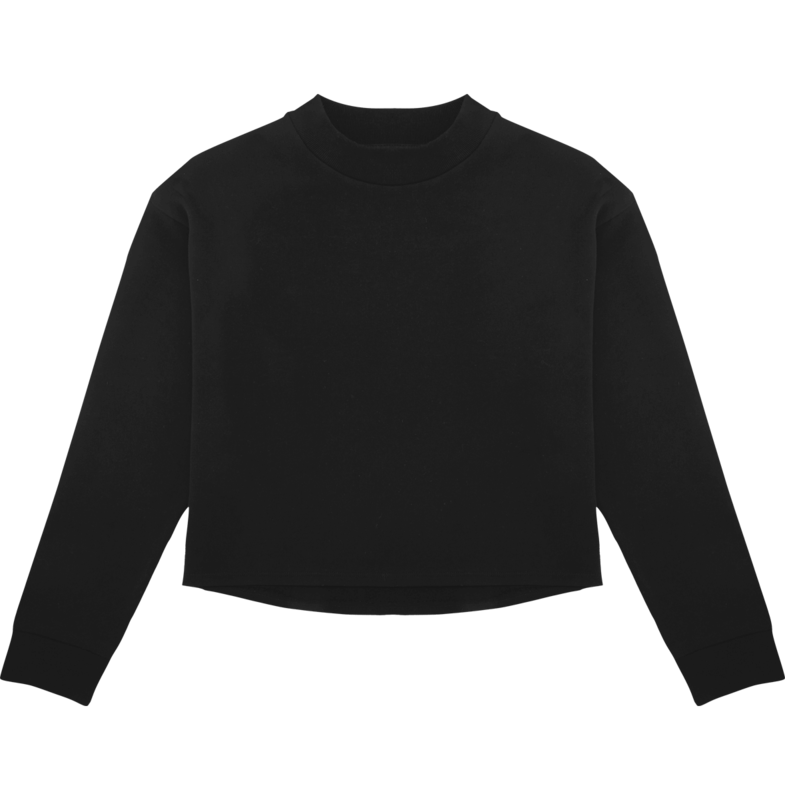 Features: Built-in sleeves, armholes back, Rib collar 1 x 1. Inside collar and shoulder cleanliness band in main material, double needle stitching. Sleeves hems and bottom of body in flatlock. Side seams with flatlock stitching. 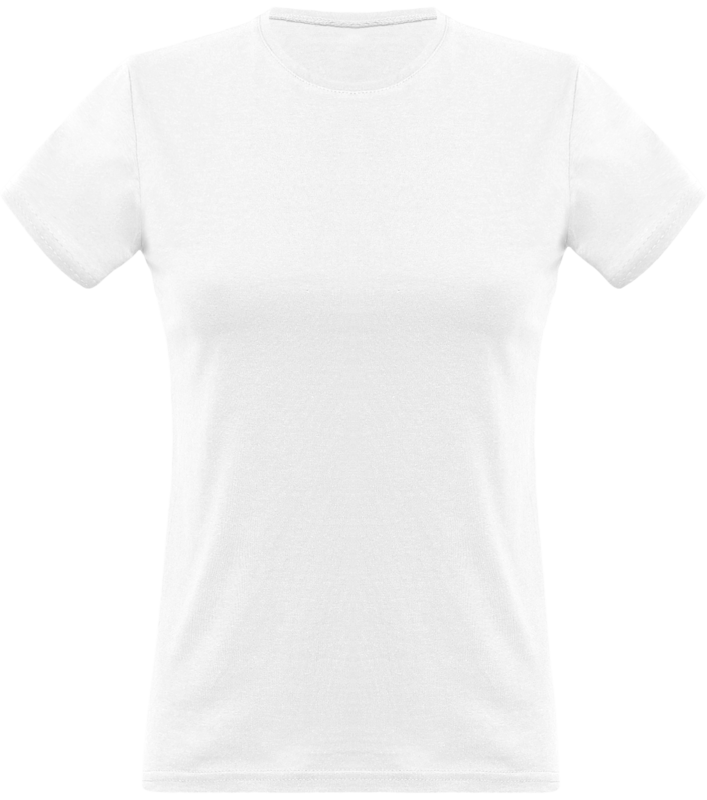 Women's t-shirt 100% organic cotton spun and combed. Thick weight of 200 gsm. 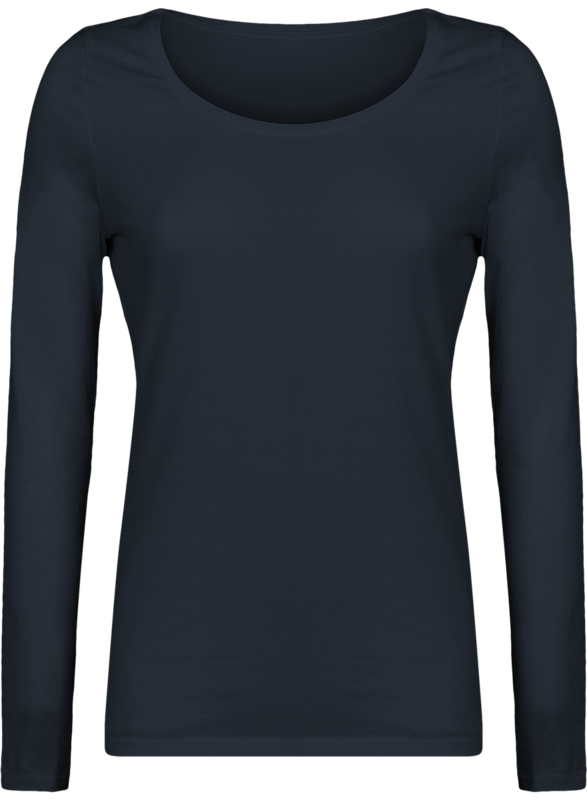 Loose organic cotton slub jersey T-shirt by Stanley Stella. Woman T-shirt to customise very soft and comfortable to wear. 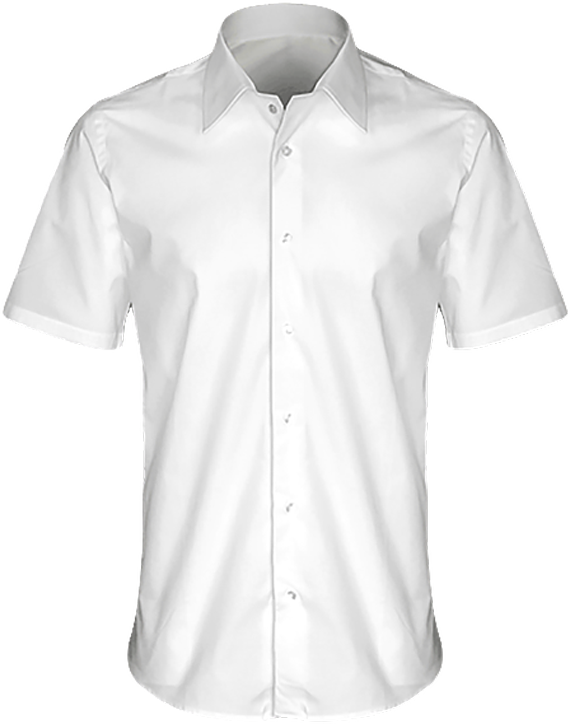 Tee-shirt with short sleeves, armholes descended, collar in the main material, simple topstitching. 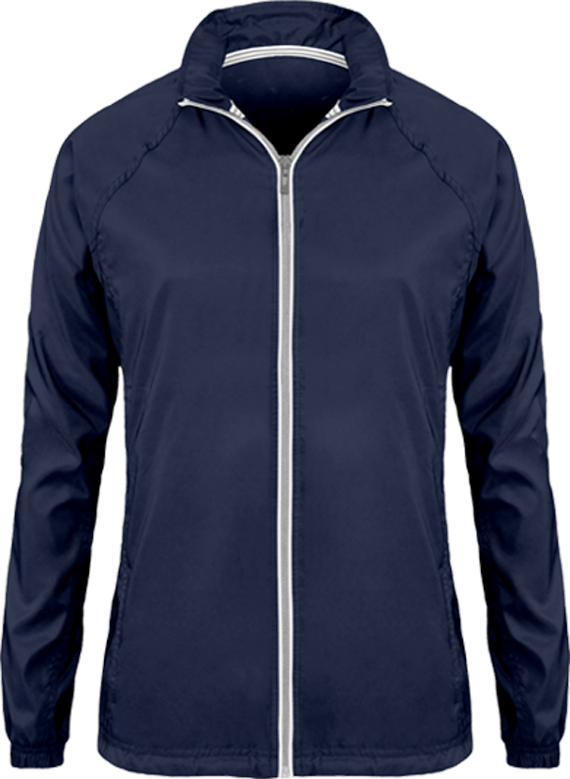 Bottom rolled up and fastened sleeves and inside collar band in the main material. Back yoke with double stitching. 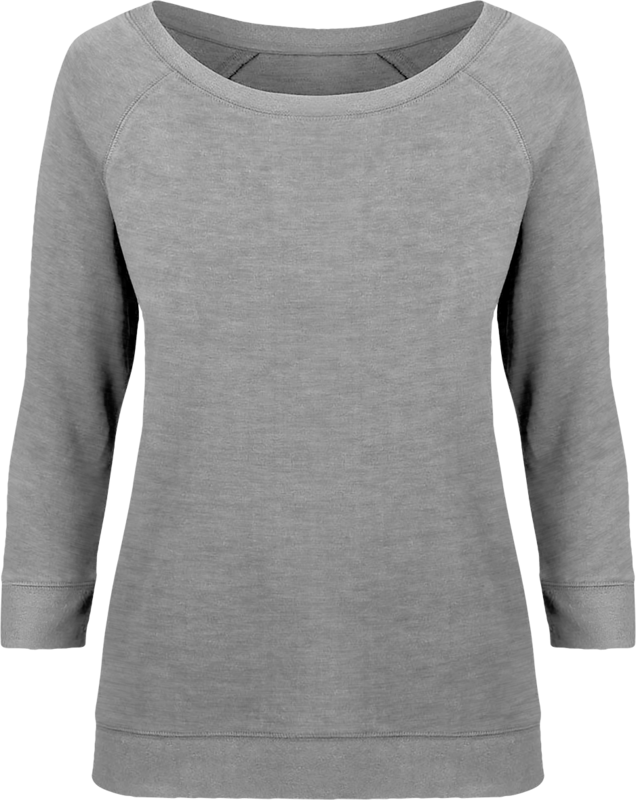 Rounded t-shirt bottom with invisible stitch hem (back longer than the front). 100% organic cotton spun and combed. Weight of 120 gsm. 100% cotton tee-shirt with enzyme wash to ensure comfort and durability. Fitted cut. 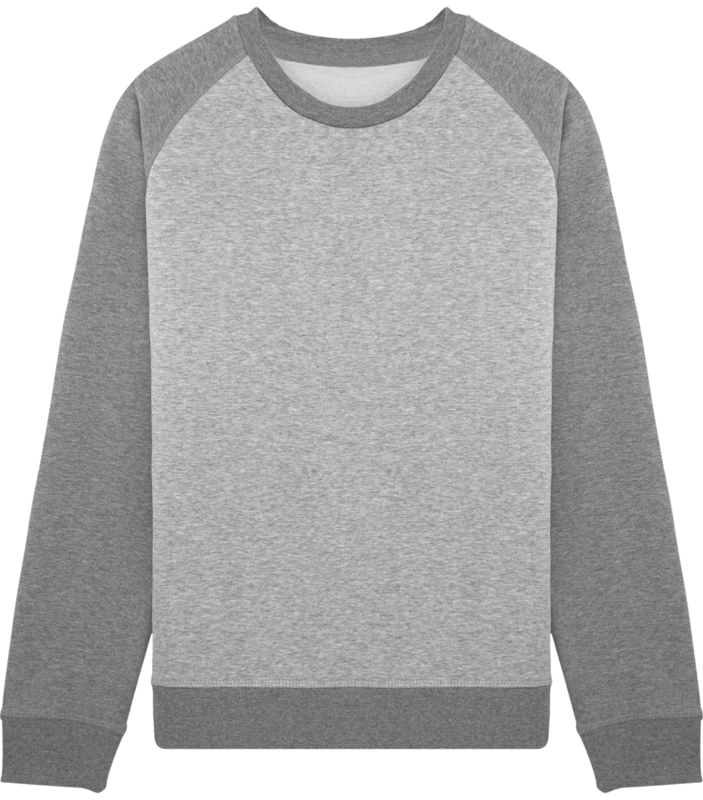 Heather grey contrasted cleanliness band. V-neck short sleeve tee-shirt for women. Perfect finishes with a contrasting cleanliness band. The quality is at the rendezvous for this tee-shirt of 180gr/m2. The little extra? 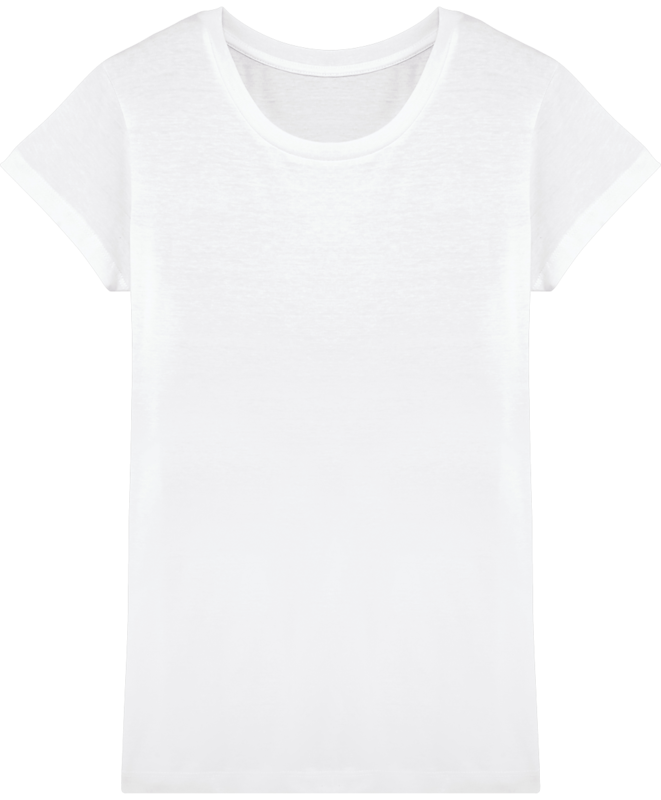 The tee-shirt is made of 100% cotton washed with enzymes to ensure a perfect touch and without excess fibre. 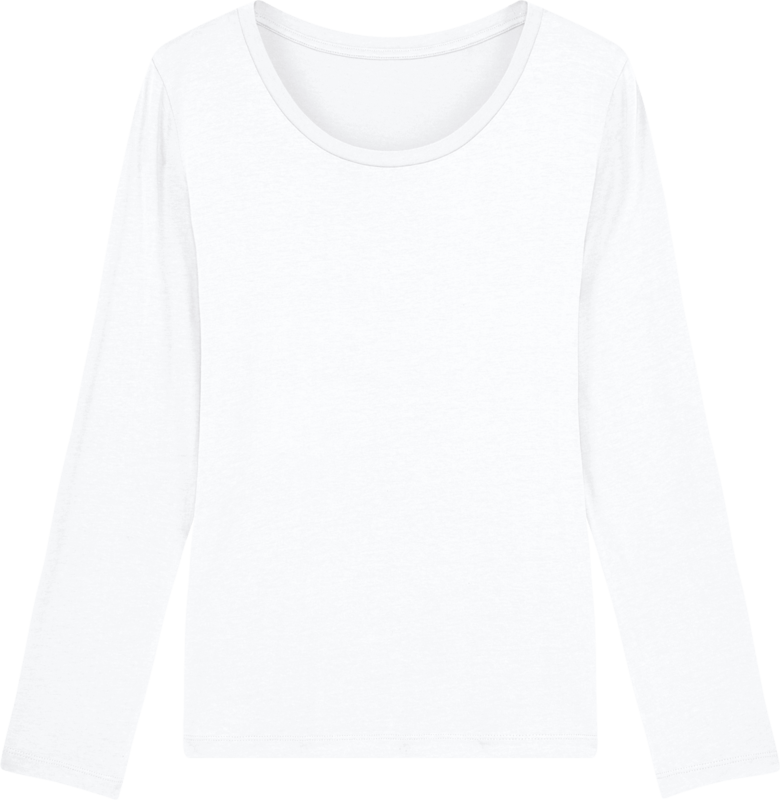 Organic cotton T-shirt with contrasting collar and sleeves. 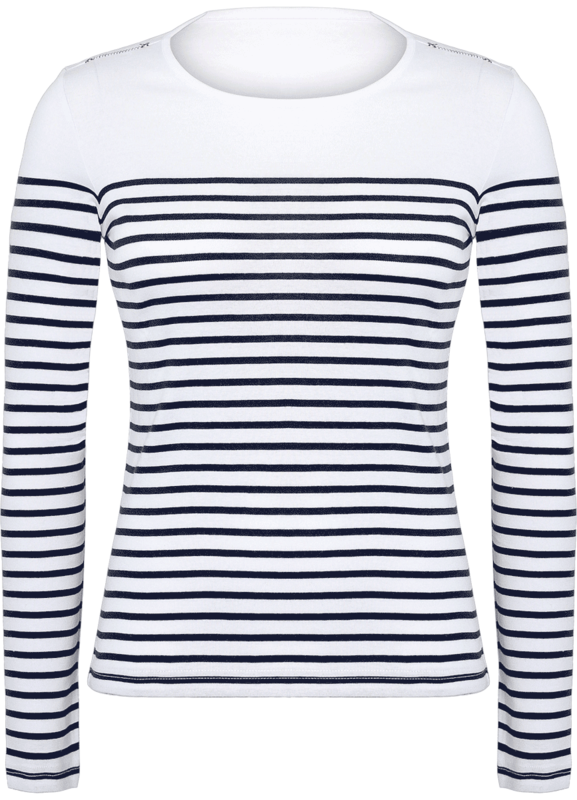 Contrast-colored bias strips add an irresistible vintage touch to the Stanley Stella T-shirt. 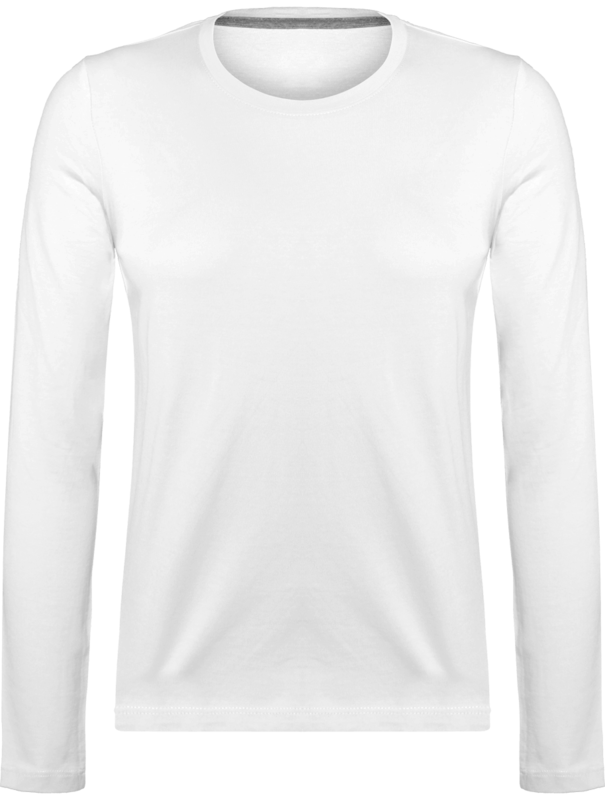 Long sleeve tee-shirt for women made up of 100% cotton 185gr/m2. 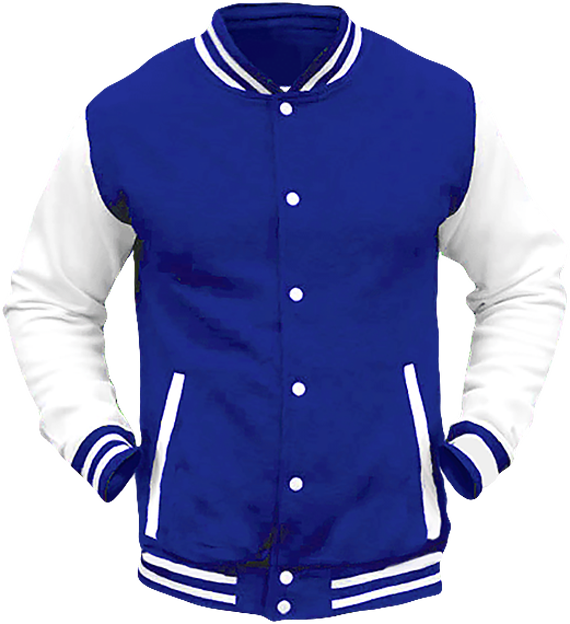 Available in a wide range of colors to match any outfit. Very soft fabric that does not fluff. 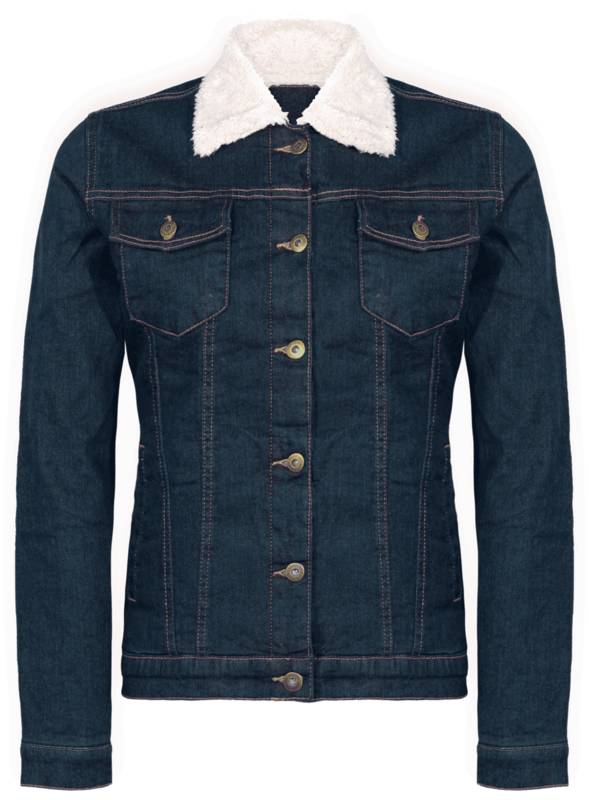 The cut is adjusted and the finishing touches are in double needle at the bottom of the sleeves and at the bottom of the garment. 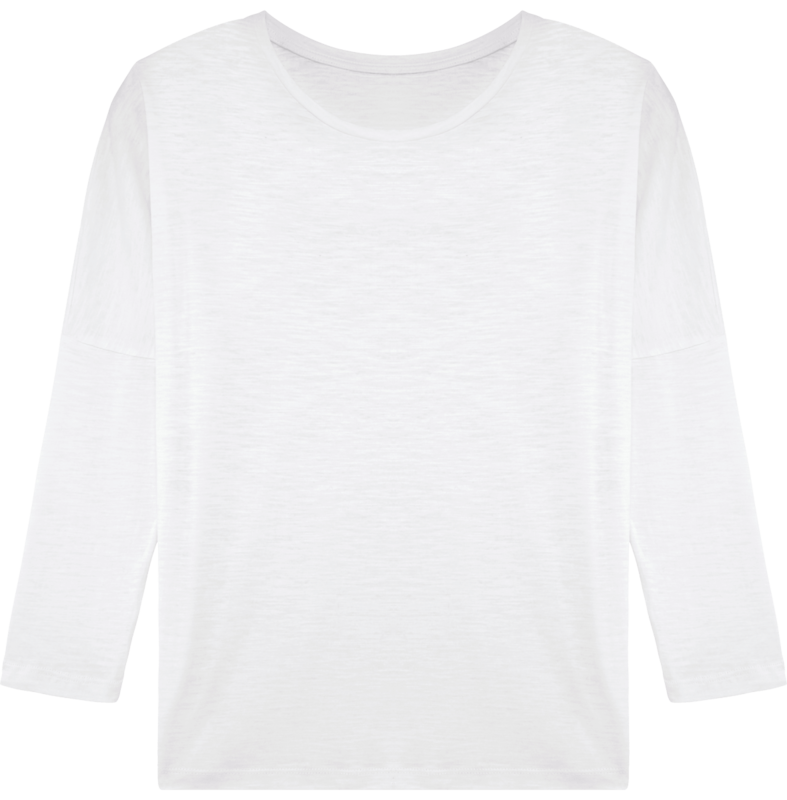 Take on a modern utilitarian trend with this women's roll sleeve tee. 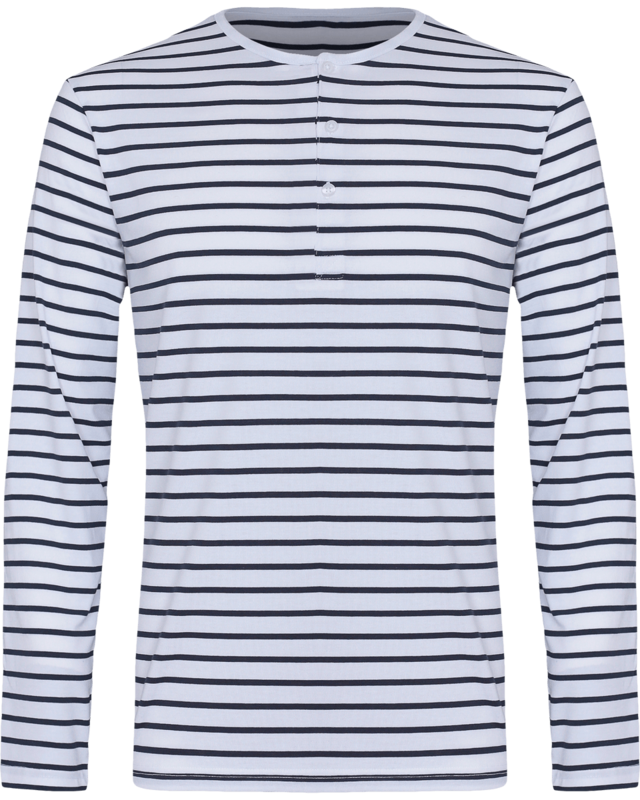 A simple but versatile style that can be worn as a long sleeve or rolled back and fastened in place on the upper arm. 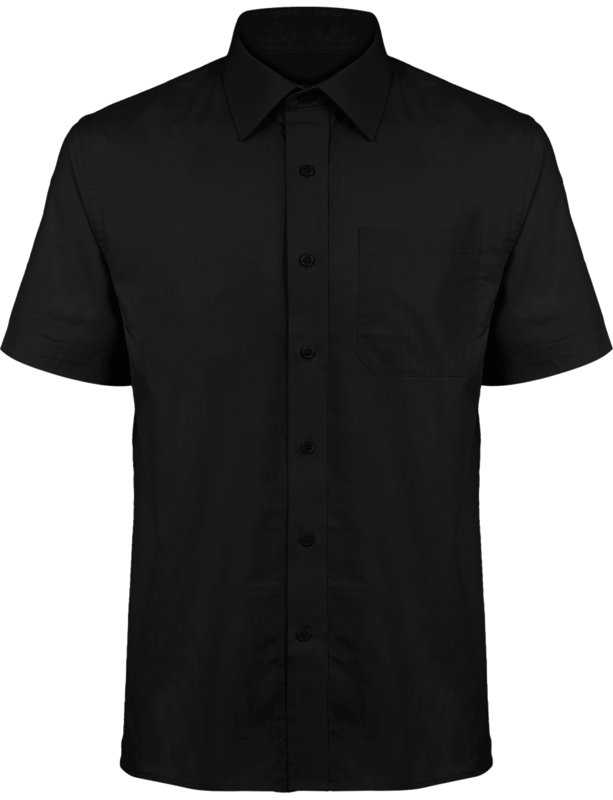 Soft to touch with an element of stretch in the fabric, this is a trendy piece of workwear that acts as casual alternative to a shirt. Fabric: 82% Polyester, 14% Viscose, 4% Elastane. Weight: 190gsm. Size: XS 8, S 10, M 12, L 14, XL 16, 2XL 18. 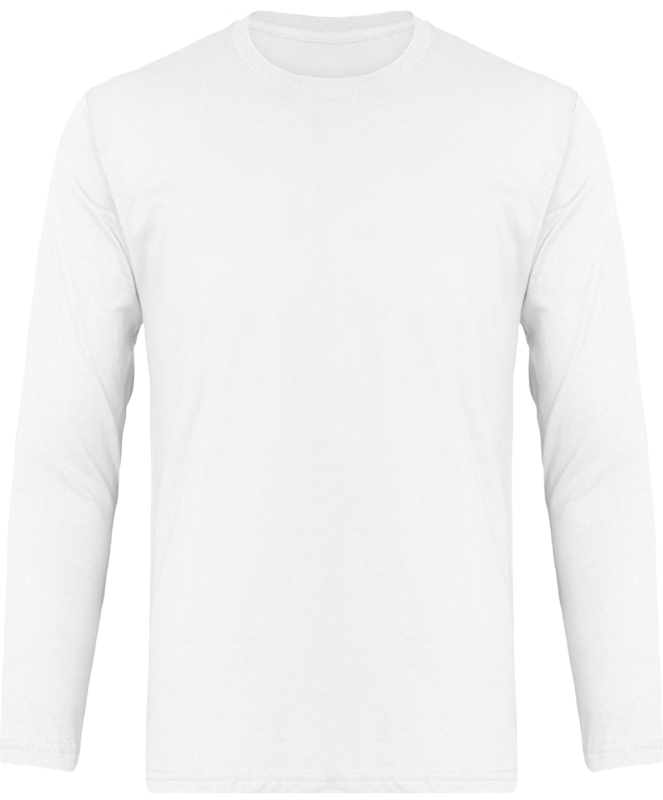 Long sleeve tee that has roll sleeve capabilities with button tab on the inside of the sleeve to secure in place. 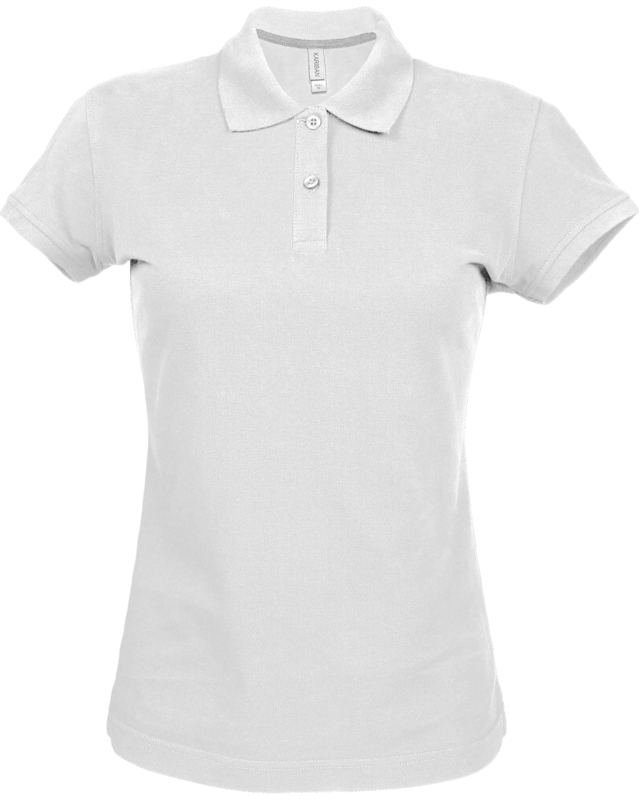 Round neck style with a three button placket. Twin-needle stitching to the hem and cuff. Washing Instructions: Domestic wash at 40°c. 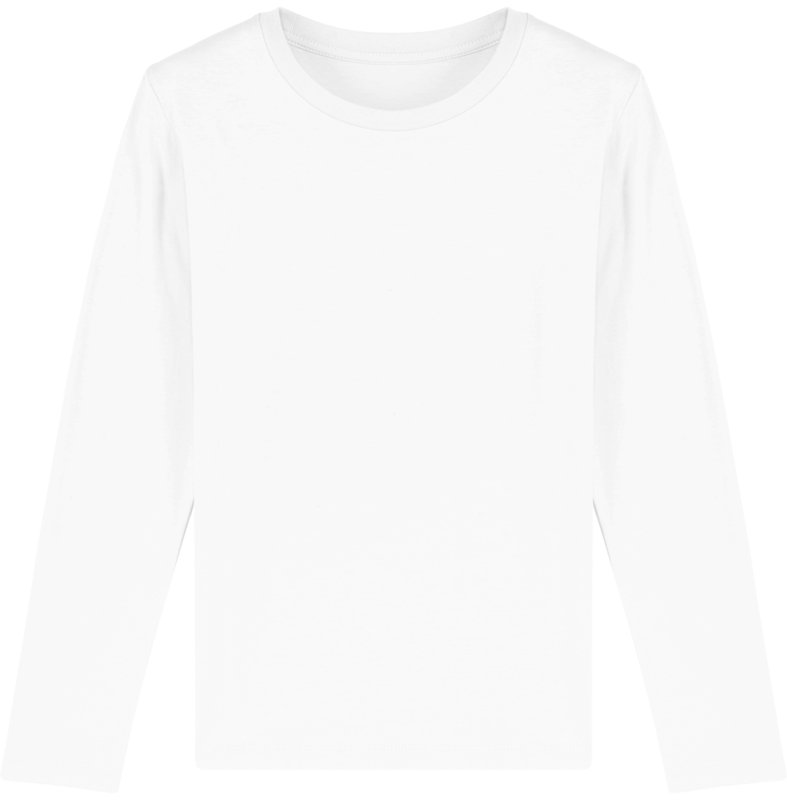 T-shirt sleeves for women to customize in embroidery and printing. Women's round neck t-shirt, fitted sleeves, 1 x 1 rib collar, inside yoke of the same fabric on the back of the collar. 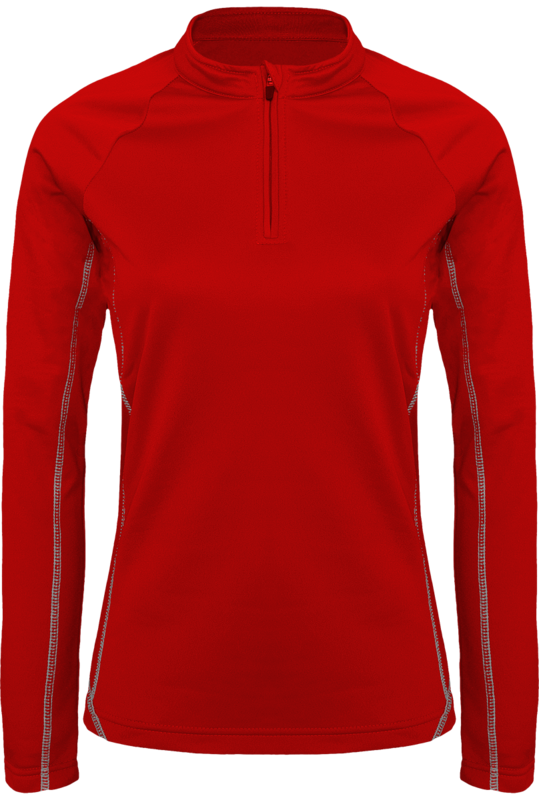 Sleeve hem and bottom hem with invisible stitching. 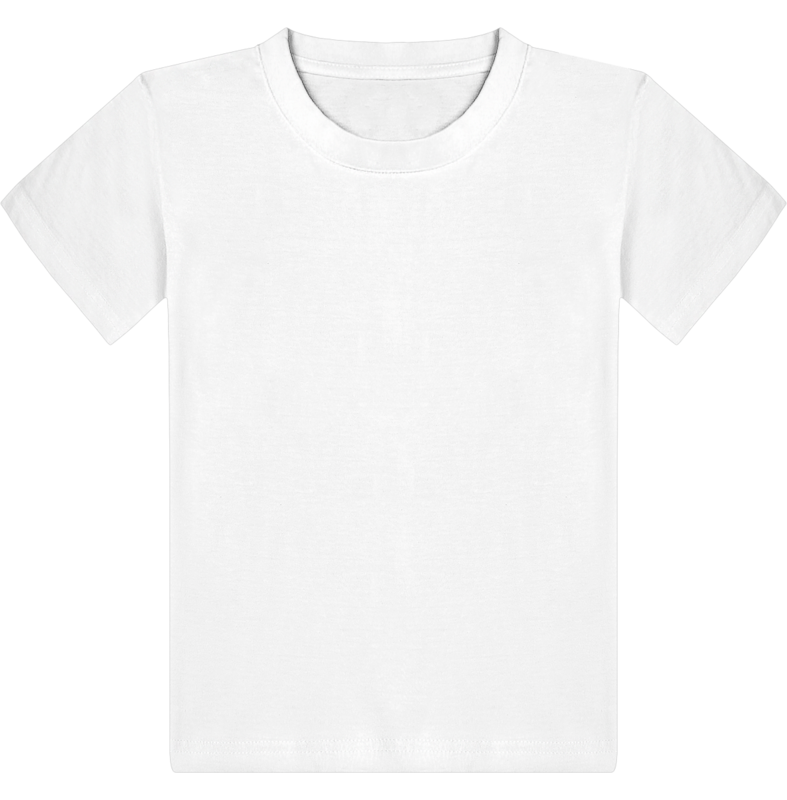 T-shirt pleasant to wear and soft against the skin. 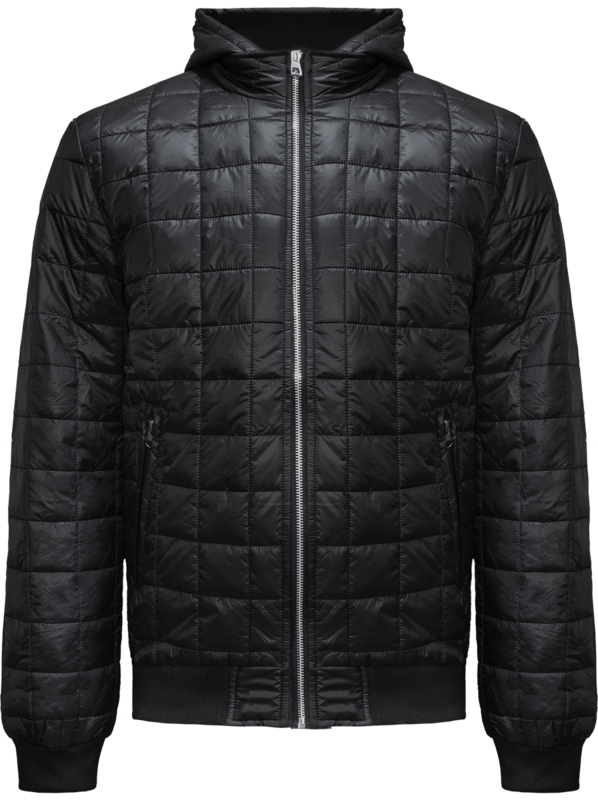 It is ideal in slightly cool weather or under an open jacket to let exceed its beautiful customization. 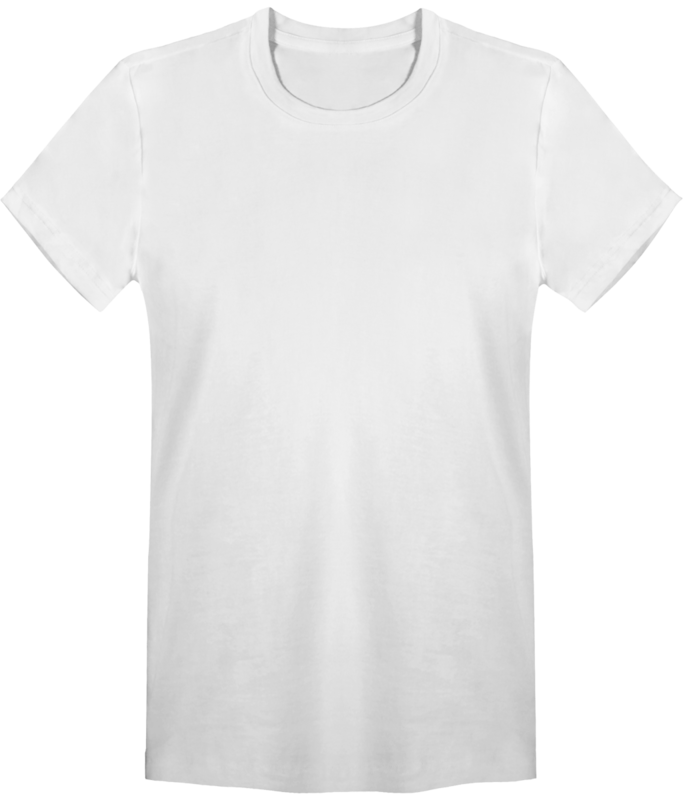 T-shirt composed of jersey Simple 100% Cotton Organic Spun and Combed. Gram of the t-shirt of 120 gms. 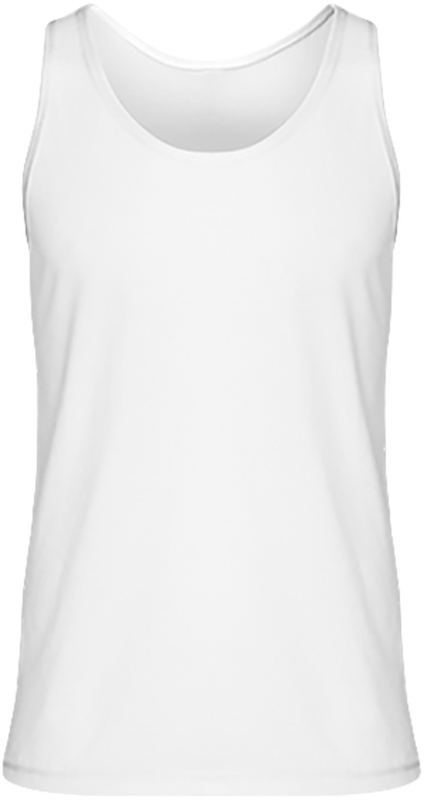 Women's tank top with 100% cotton customisation (except Heather Gray color: 97% cotton / 3% polyester). Feminine cut with side seams. 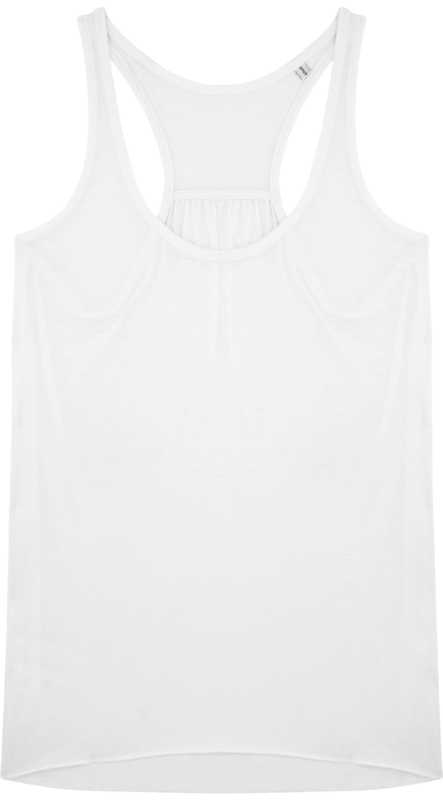 Basic tank top that releases the shoulders and the stroke to highlight the feminine silhouette. Band of cleanliness at the collar and the armholes. Custom tank top weight 160/165 g / m². Baby T-shirt with snaps on the shoulder. 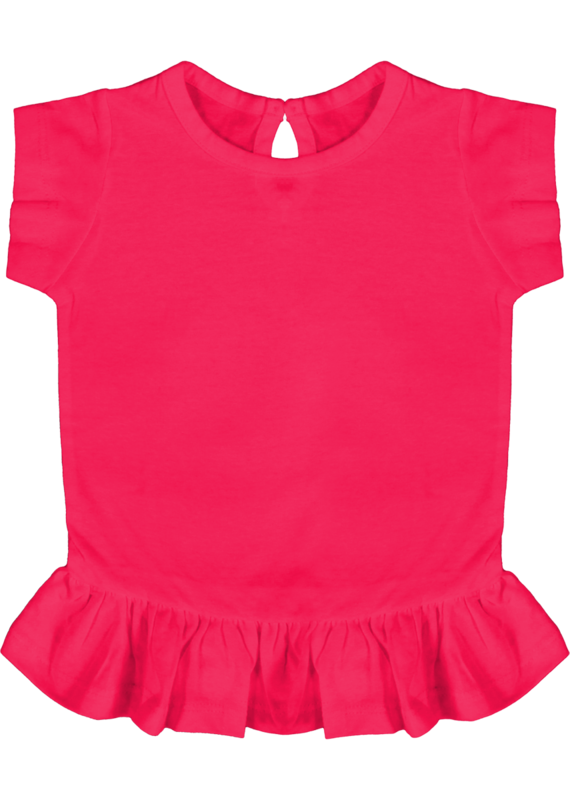 The stretch fabric and ultra-soft in pure cotton to respect the skin of baby. 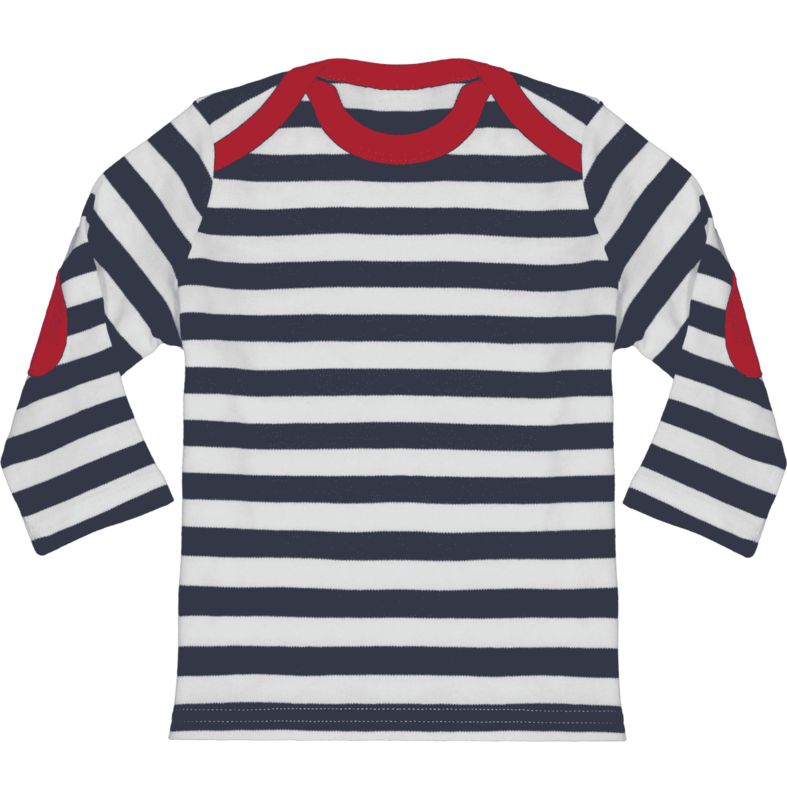 Sailor baby long sleeves with elbow and red collar. 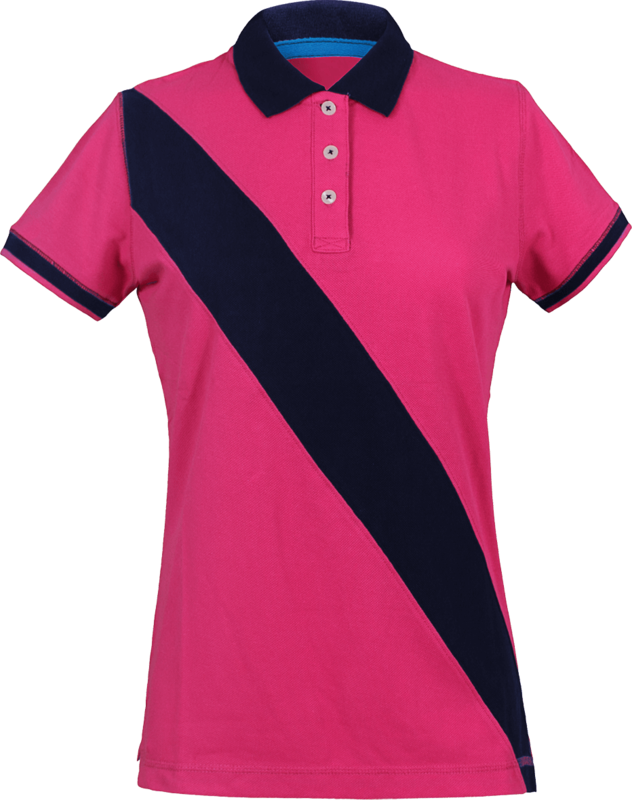 Bias with collar and elbow protection in a contrasting color that adds a lot of originality to this baby marinière. Striped yarn dyed fabric and American neckline. Composition: 100% Cotton. Weight of 200g / m². Size: 6/12 months 66 / 76cm, 12/18 months 76 / 86cm, 18/24 months 86 / 93cm. Soft and stretchy. The snaps at the shoulders make it easier to dress up. 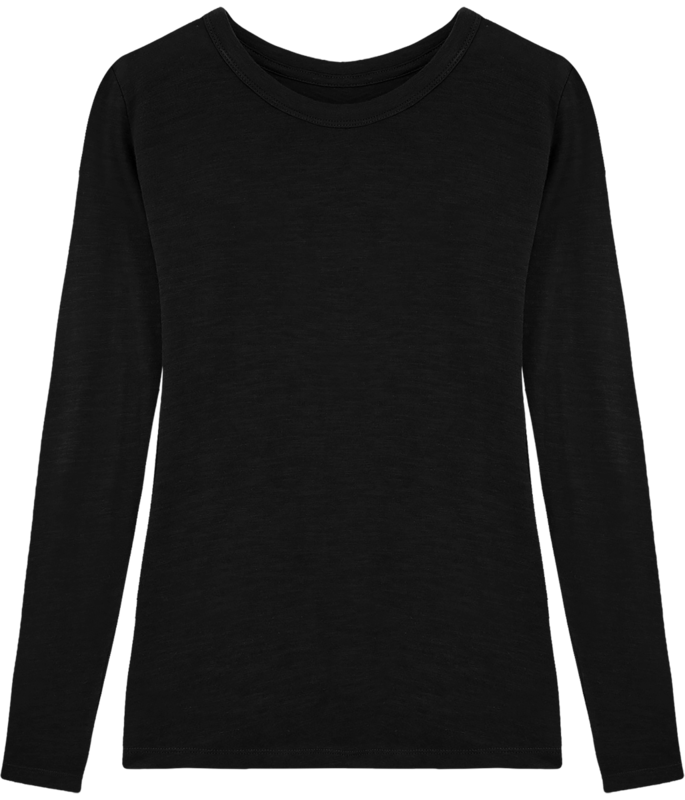 The long sleeves and the composition cotton keeps baby warm and wrapped in softness. Almost as well as mom's arms. Tee Shirt Kid Original. 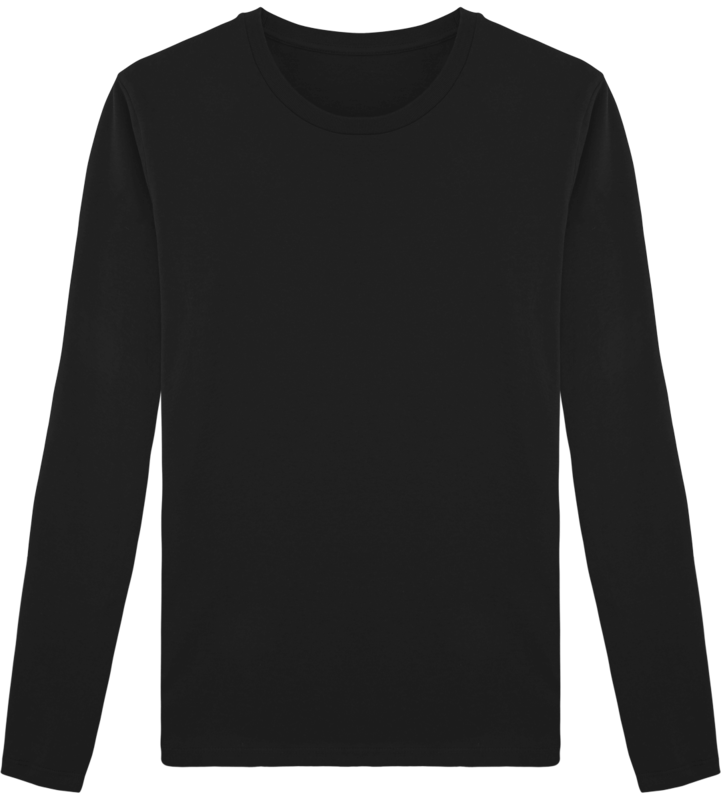 Rib crew neck with self-fabric back neck tape. Fine knit gauge for enhanced printability. Also available in adult sizes. Fabric: 100% Cotton. 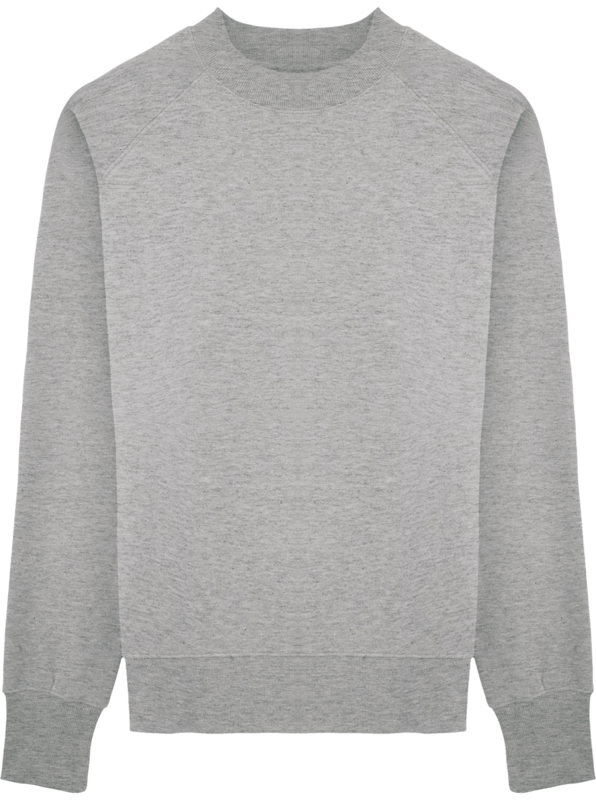 Heather Grey: 97% Cotton, 3% Polyester. 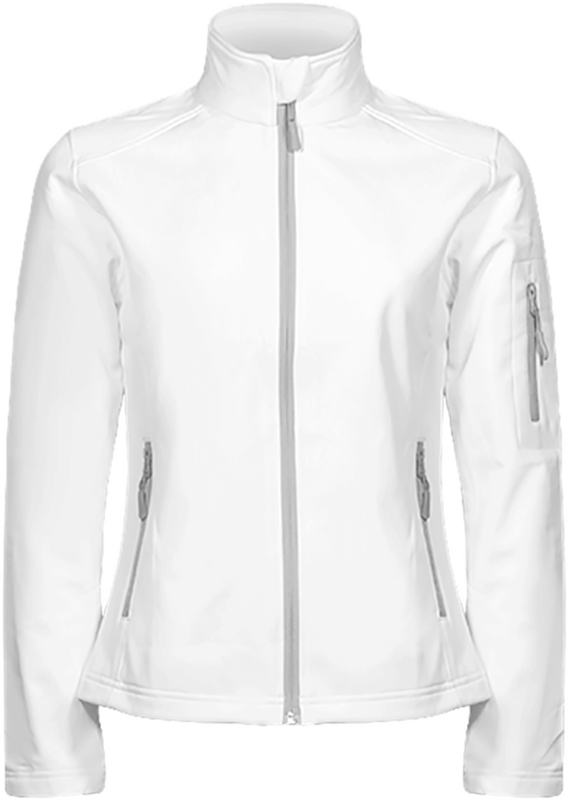 Weight: White 135gsm, Colours 145gsm. 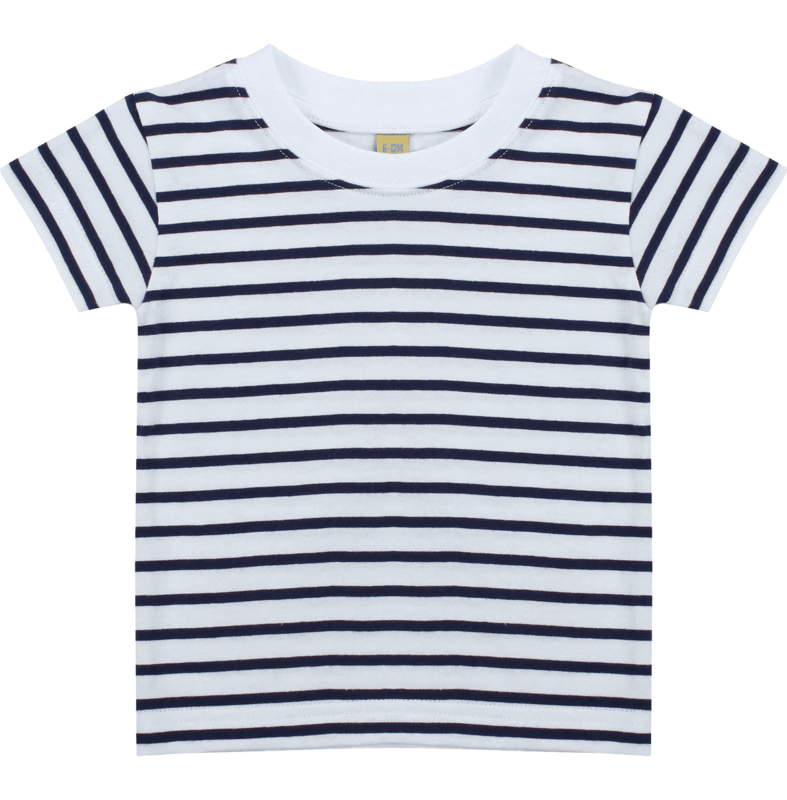 Boys t-shirt to personalise in organic cotton and round neck. 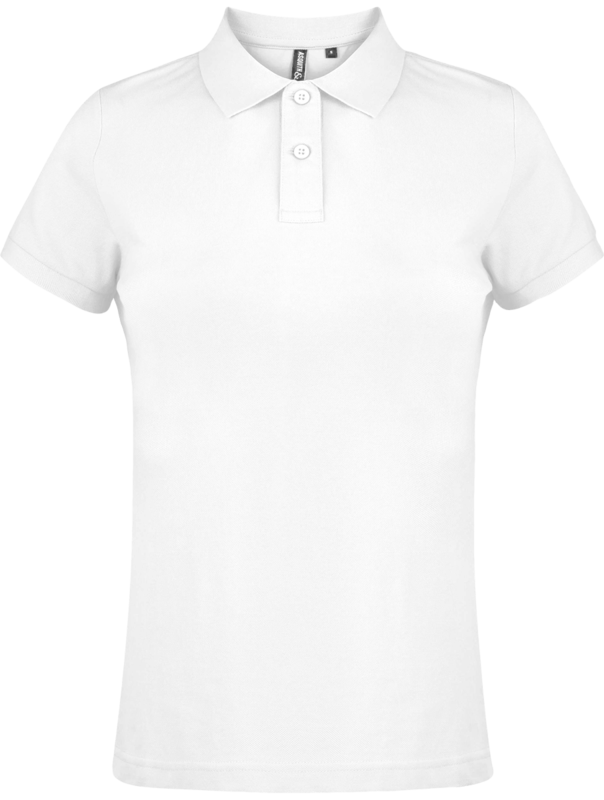 The Stanley Stella t-shirt is very soft to the touch and comfortable to wear. Composed of single Jersey 100% organic cotton combed ring-spun. Weight : 155 g / m². Kids Baseball T-shirt to personalise with contrasting raglan short sleeves. Kid's T-shirt very comfortable to wear. Fashion and trendy cut. 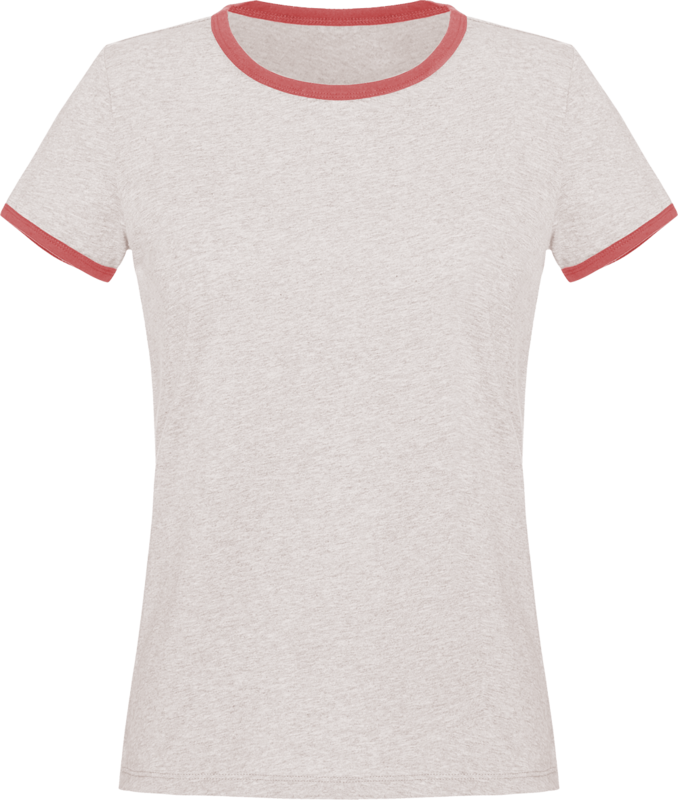 T-shirt in simple jersey 100% organic cotton combed ring-spun. Weight of 155 gsm. Knitted Mesh Polo 100% cotton. Lateral slits. 50% polyester Cool Plus® / 50% polyester. 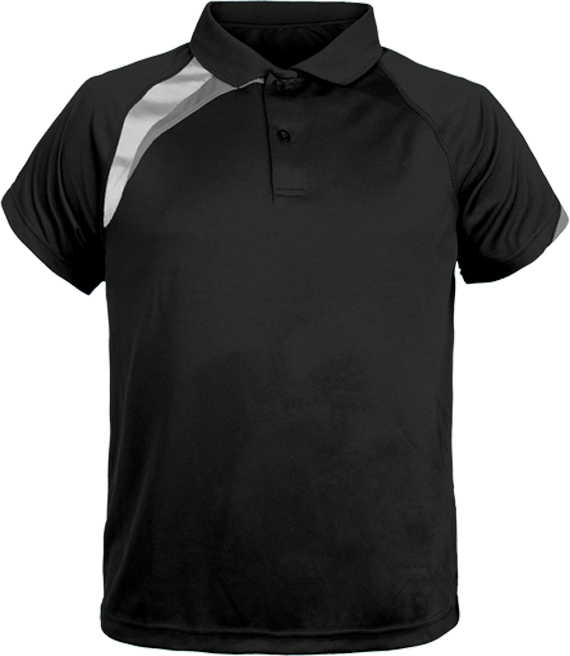 Breathable, quick drying polo shirt. Strap without button. Double needle finish at the bottom of the garment and sleeves. A custom polo shirt with a flattering fit and a longer back with side slits, this polo shirt is perfect for office wear and everyday wear, for a stylish yet comfortable look. 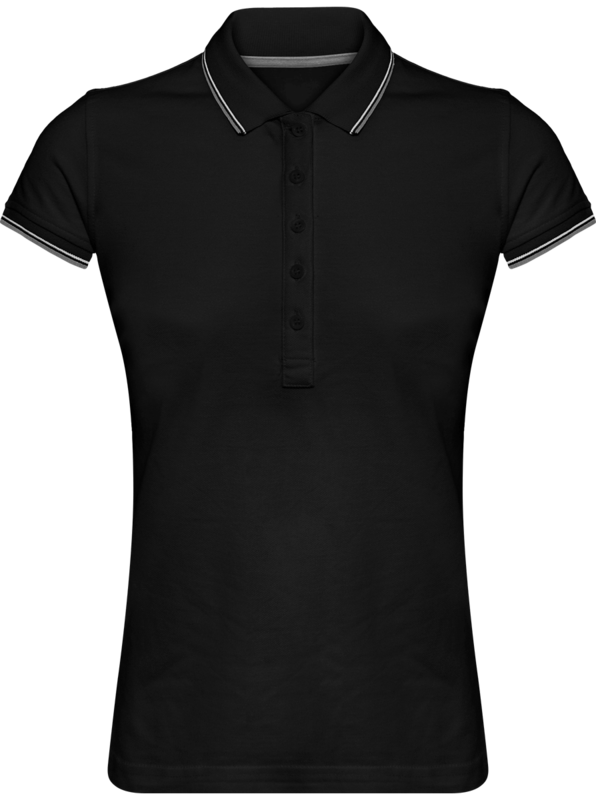 Composition of the polo n100% Combed cotton with continuous warp (ringspun). Weight of 200 g / m². 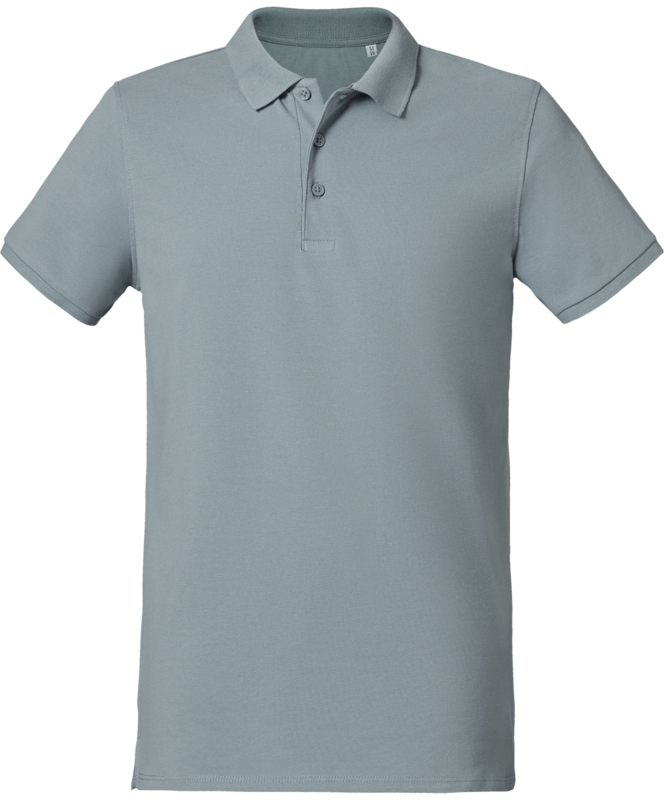 100% piqué cotton knitted polo shirt - washable at 60 ° (Oxford Grey: 90% cotton / 10% viscose - washable at 40 °). Ribbed collar. 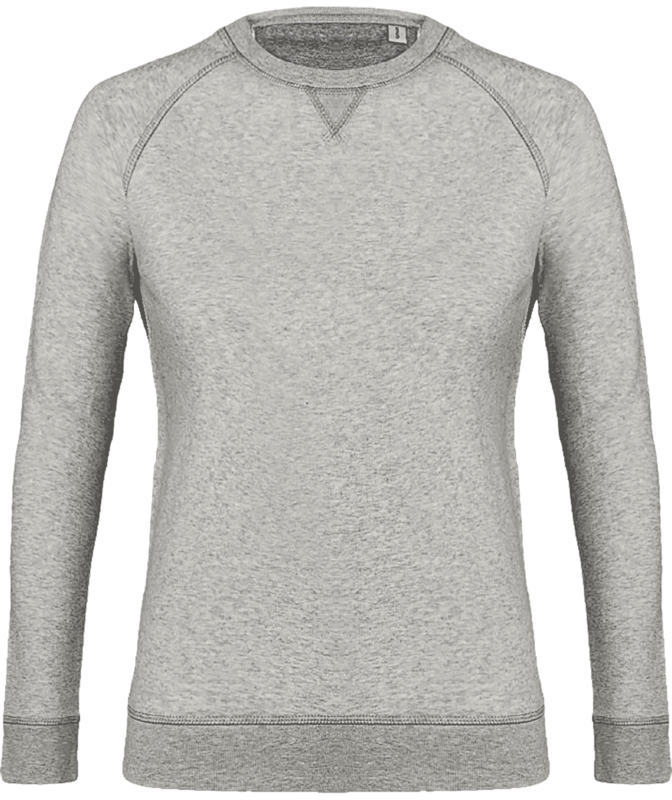 Dark grey neckline and contrast side slits for Oxford Grey and Oxford Grey for all other colors. Double needle finish at the bottom of the garment. Button pad 2 buttons. 100% piqué cotton "Vintage " appearance. Ribbed collar. Fancy cleanliness band at the neckline and side slits. 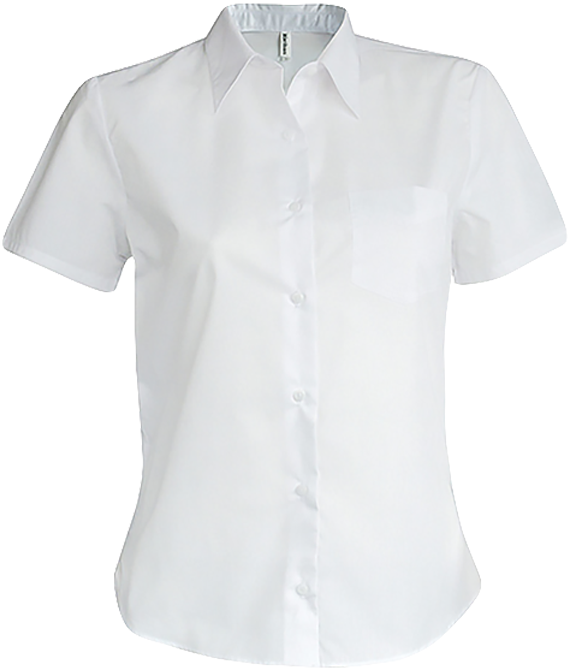 Large 2 contrast buttons button placket. Double needle finish at garment bottom and ribs at sleeve bottom." Knitted Mesh Polo 100% pre-shrunk cotton combed ring spun. 180gr/m². Hillside collar 1x1.Side slits. 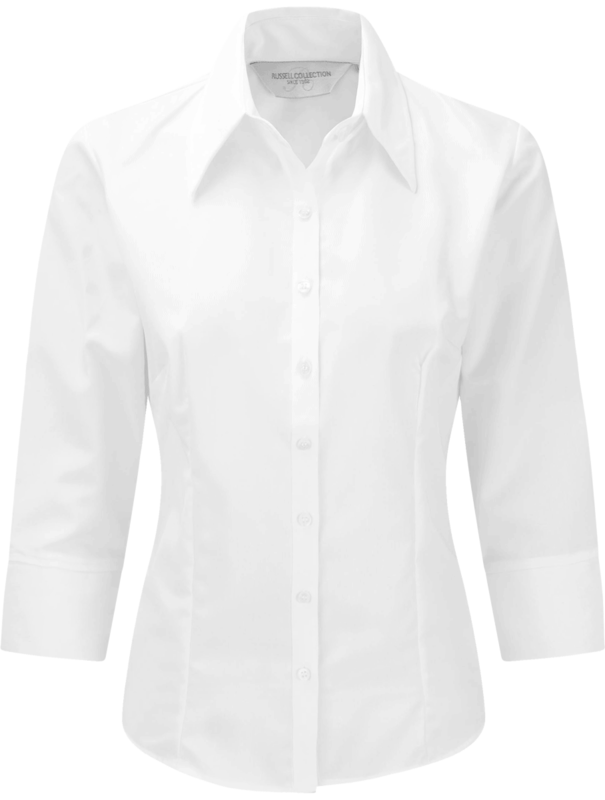 4 button double tone-on-tone placket. Women's polo shirt in 100% piqué cotton stitches. Button pad with 3 pearly buttons. Contrast band diagonal riding spirit. 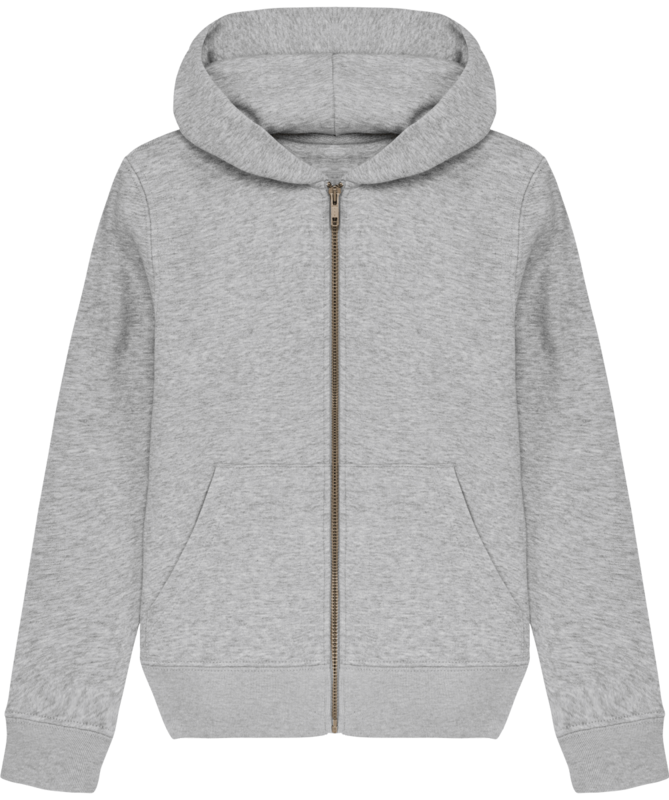 Personalised sweatshirt in organic cotton and thick quilted material. 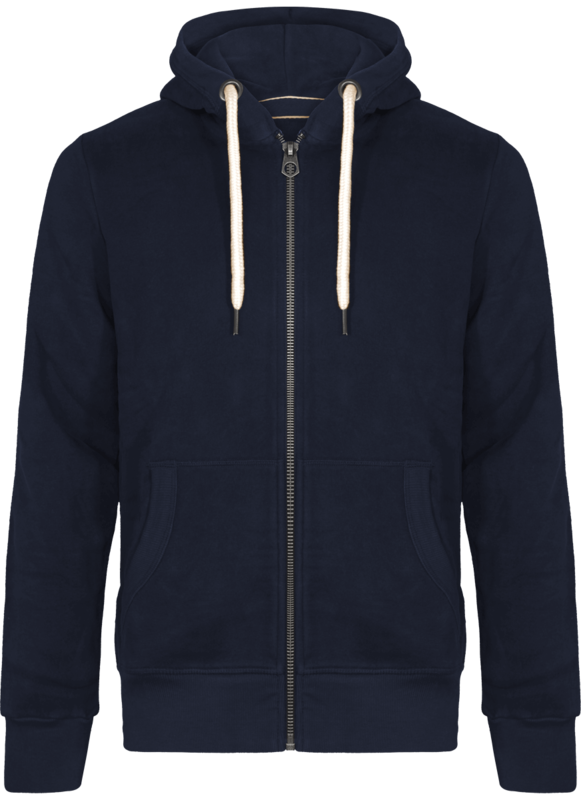 The Stanley Suits sweatshirt is distinguished by its quilted material and its slight relief. 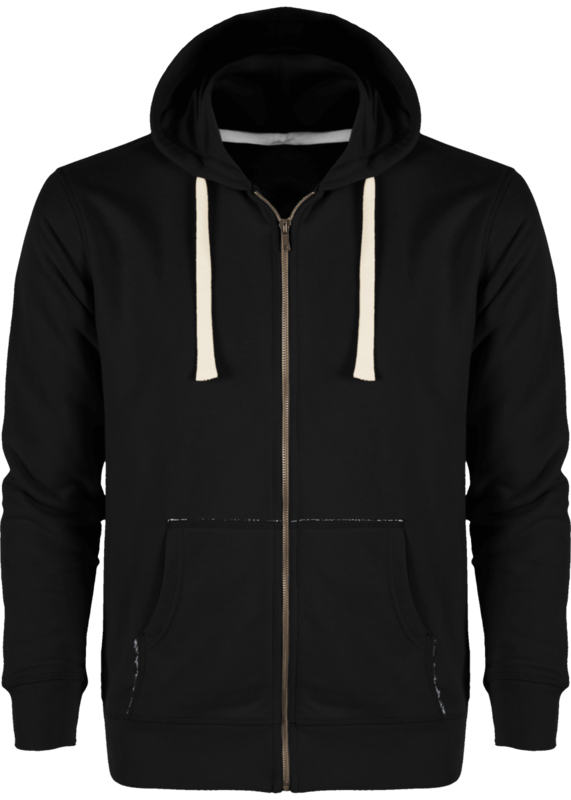 It's a men's sweatshirt that is very comfortable to wear but also very trendy. Its picket fiber is unique and adds a very fashionable side. 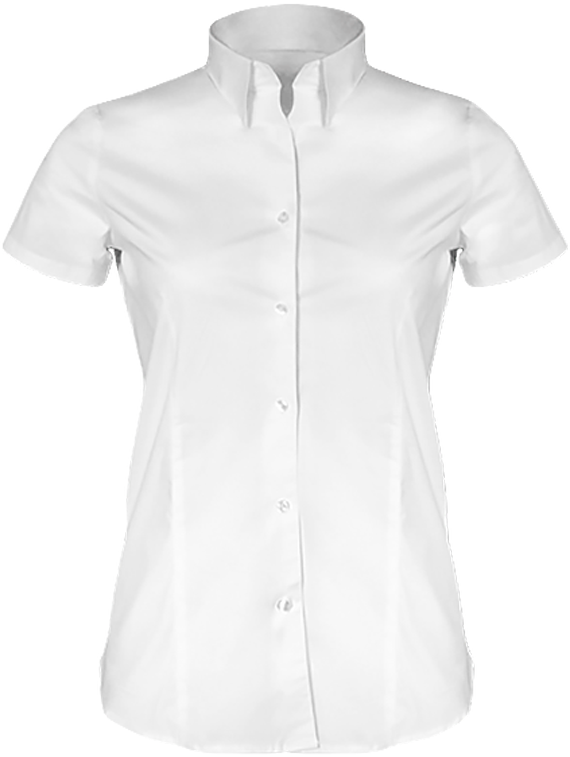 Features: Raglan sleeves, 1 x 1 collar at the neck, sleeves and bottom body, inner neck collar herringbone. 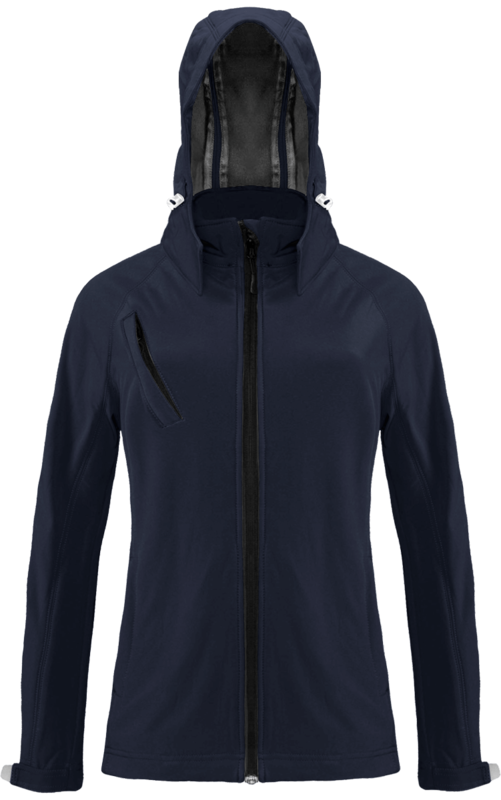 Inner half-moon in the main fabric and flatlock stitching on all seams. Customisable sweatshirt made of 100% organic cotton spun and combed. Weight of 280 gsm. Sweatshirt for men and women with drop shoulder. 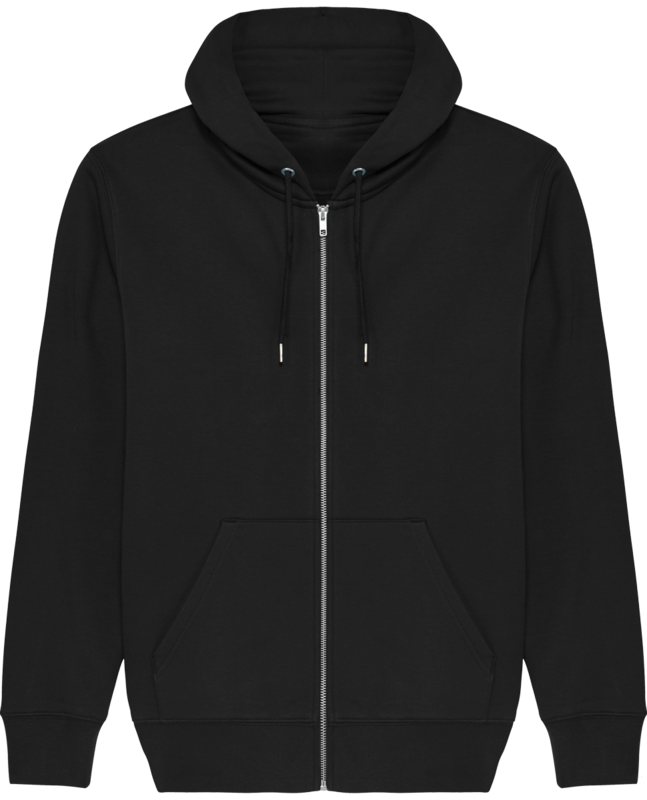 The shoulder seams of the sweatshirt and sleeves are lower to give a very trendy loose effect. 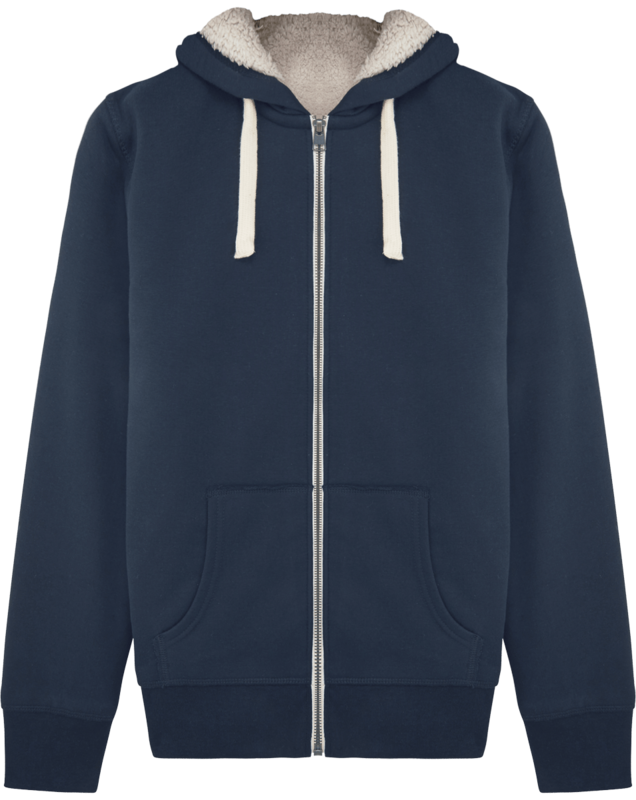 The personalised sweatshirt in organic cotton is very soft and comfortable to wear. It can be worn on the skin or over a shirt and a t-shirt. 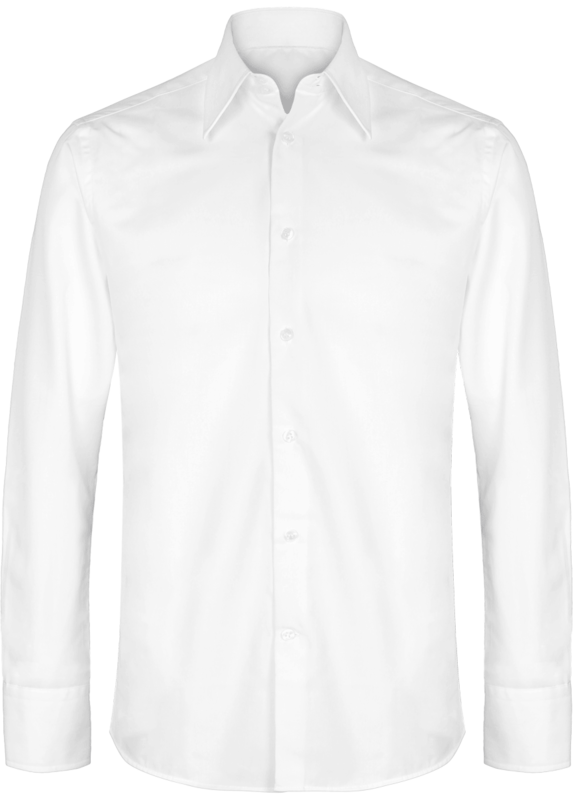 Features: Built-in sleeves, dropped armholes, 1 x 1 rib collar with double stitching and cuffs and bottom inset 1 x 1. Inner half-moon in the main fabric. 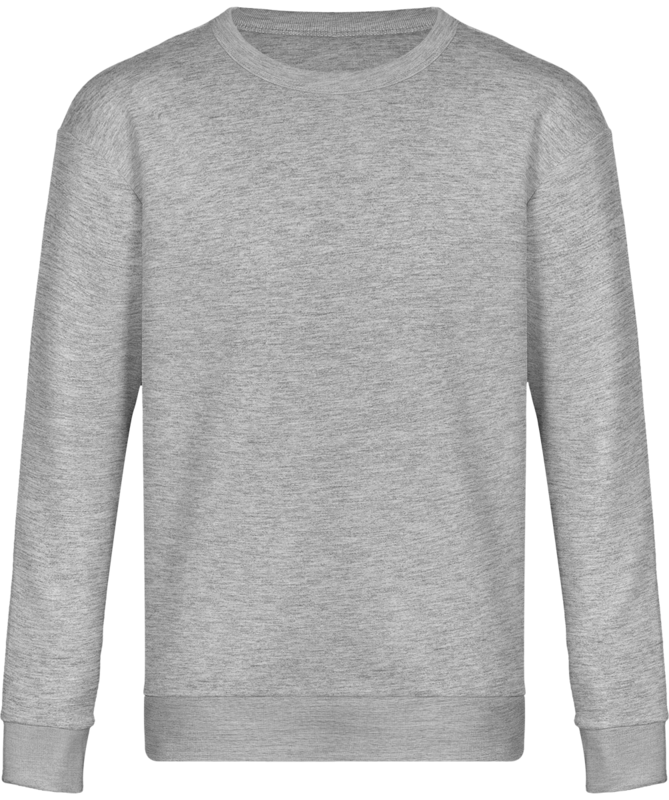 Sweat made of 85% organic cotton spun combed and 15% polyester. 300 GSM weight. 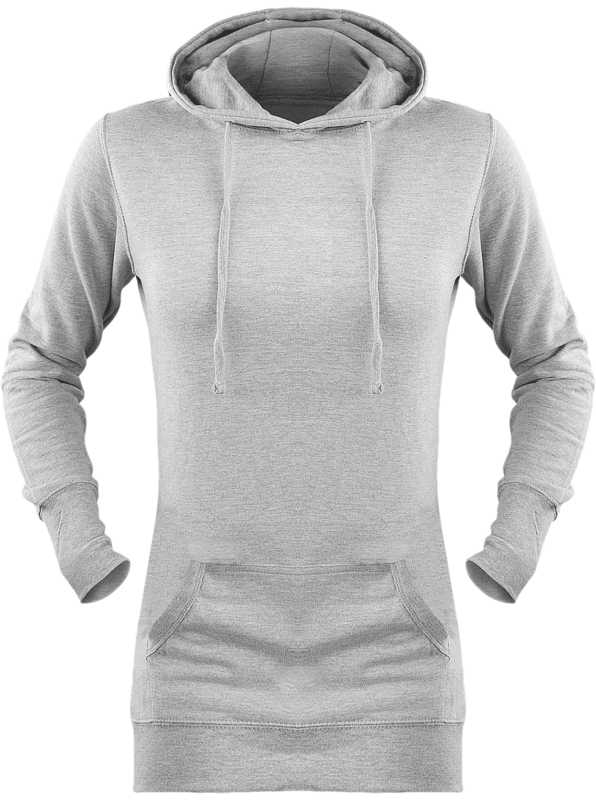 Thick hoodie for men and women with sleeves. 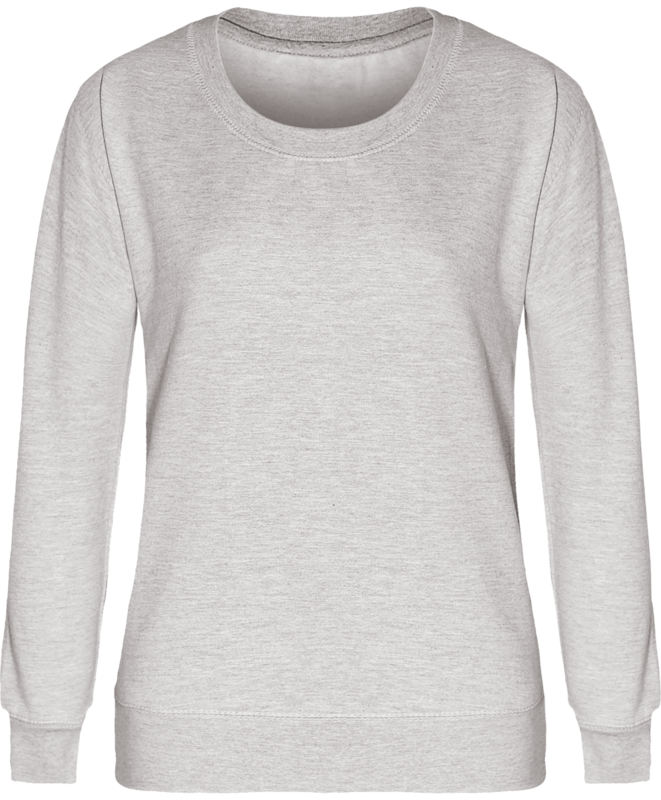 Very thick organic cotton sweatshirt, perfect for winter and cold periods. 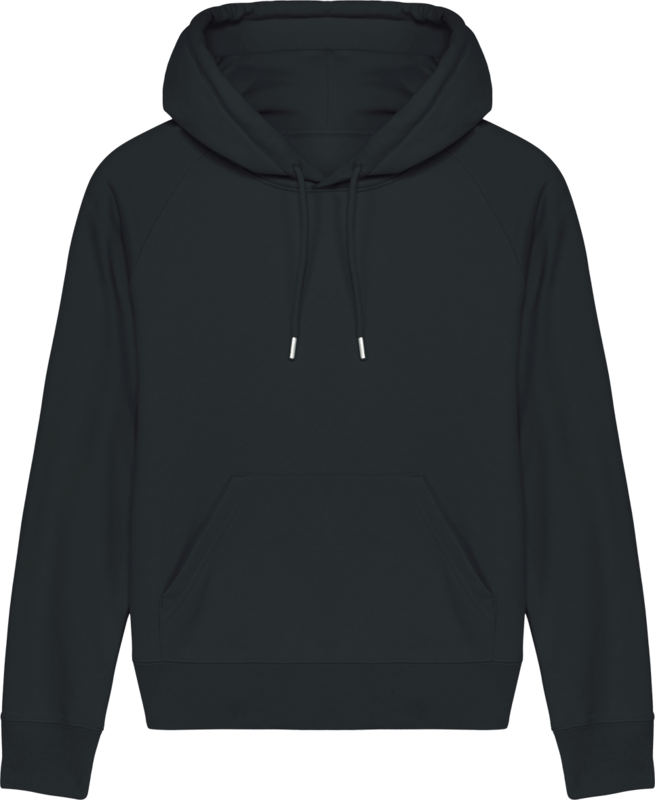 Customisable sweatshirt in embroidery and printing. 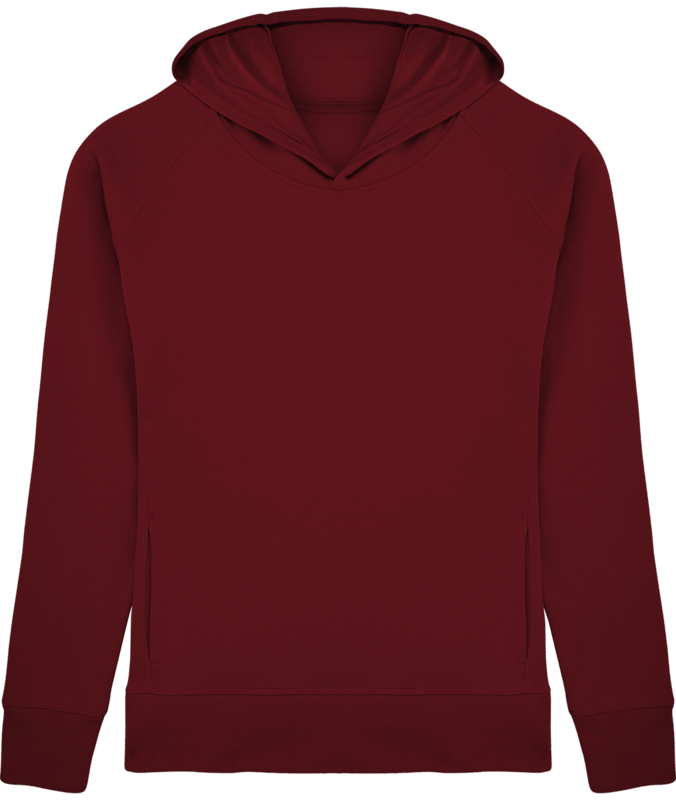 Tunetoo recommends the embroidery that will have a beautiful result thanks to the heavy weight of the sweatshirt. 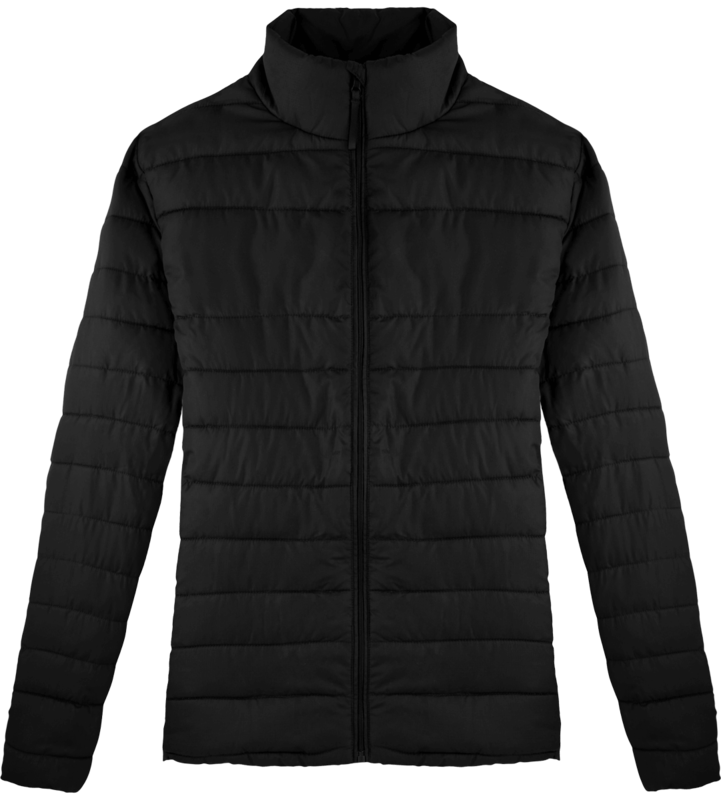 Features: Set-in sleeve. 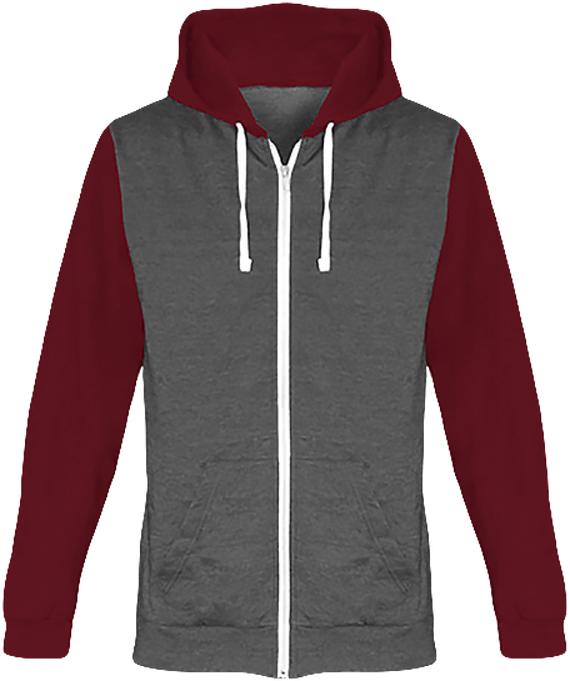 Double layered hood in self fabric. Inside herringbone back neck tape. Round drawcords with metal end tipping and metal eyelets. Real leather stoppers . 1x1 rib at sleeve hem, bottom hem and side panels. Kangaroo pocket with flatlock topstitch. Flatlock topstitch on all seams. 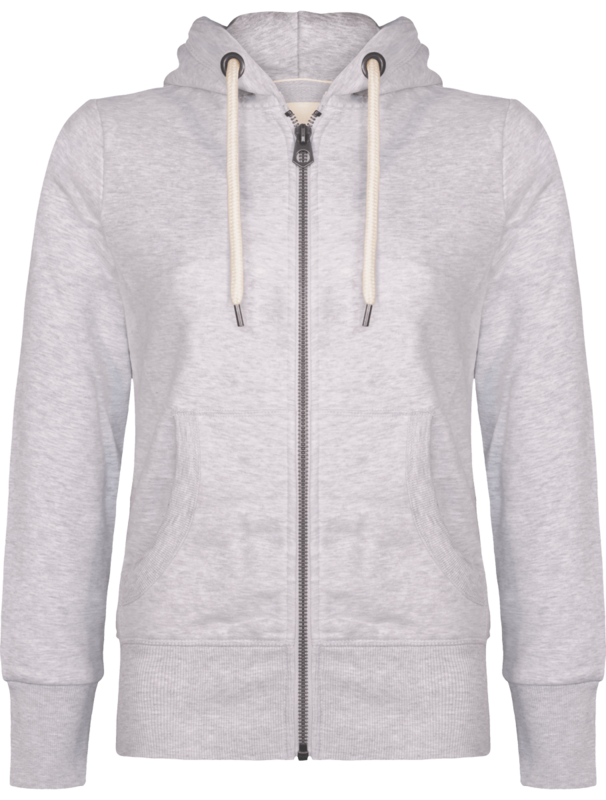 Terry sweatshirt. 100% organic ring-spun combed cotton. Fabric washed, light sueded. Medium fit. Weight of 500 G / M². Drop shoulder crewneck sweatshirt. Set-in sleeve. 1x1 rib binding at collar with narrow double topstitch. 1x1 rib at sleeve hem and bottom hem. Self fabric half moon at back neck. 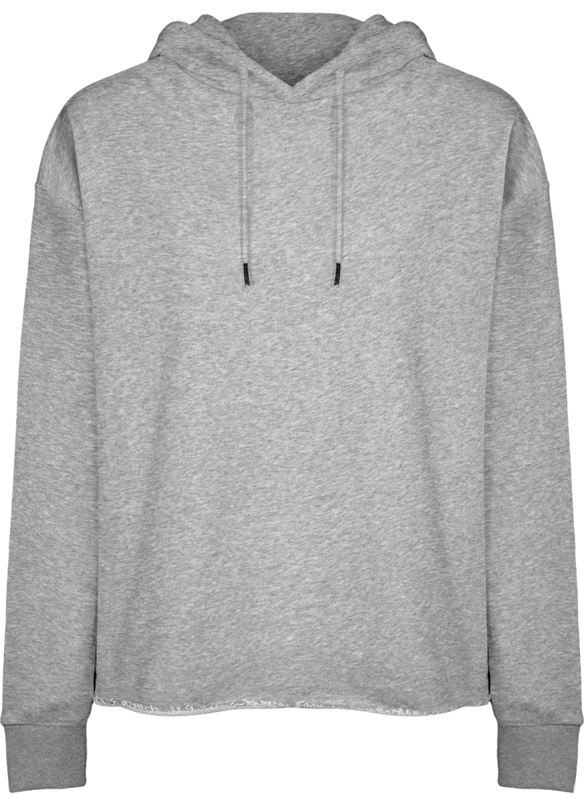 Brushed sweatshirt. 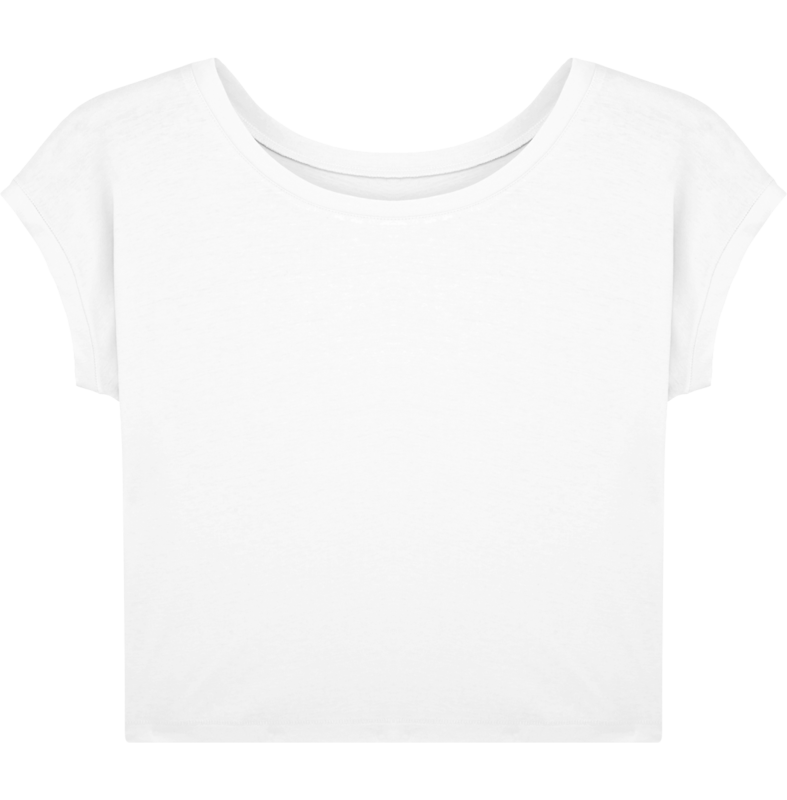 85% organic ring-spun combed cotton,15% polyester fabric washed, light sueded. Relaxed Fit. 300 G/M². Organic cotton sweatshirt for women in organic cotton by Stanley Stella. 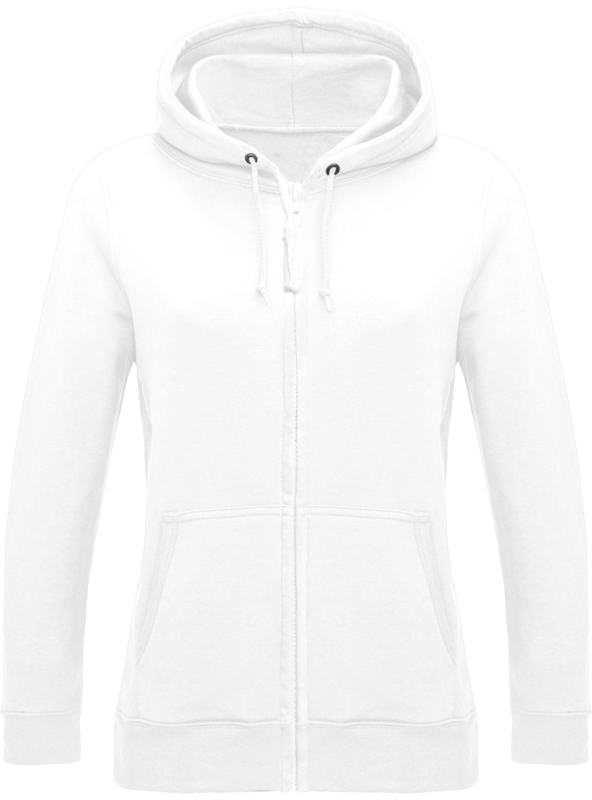 Women's hooded zipped sweatshirt with feminine and comfortable fit. 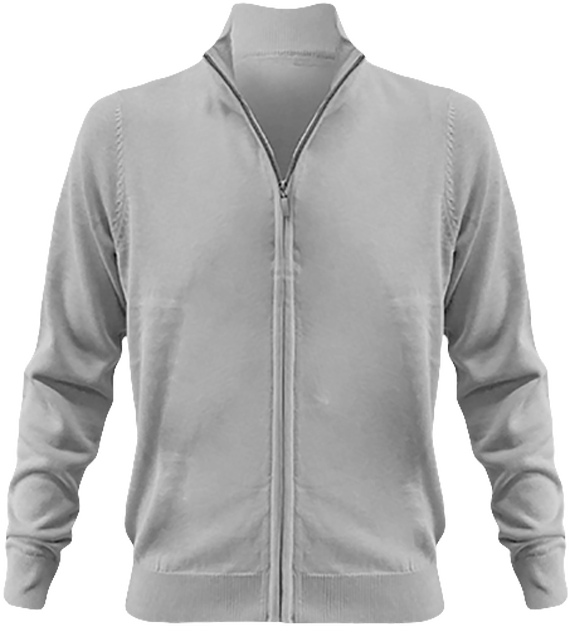 Composed of 85% ring-spun combed organic cotton and 15% non-scratched soft-touch polyester fleece. Weight of 300 g / m². 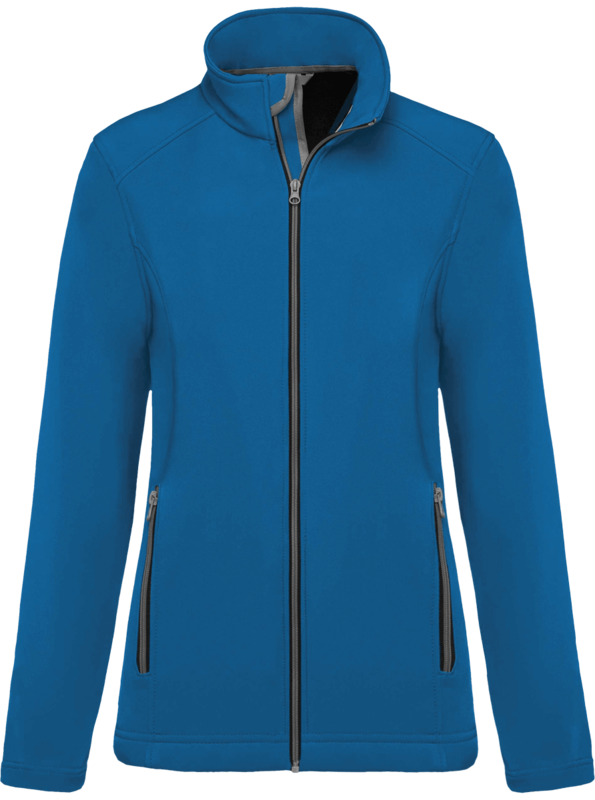 Sherpa women's zipped hoodie from Stanley Stella. 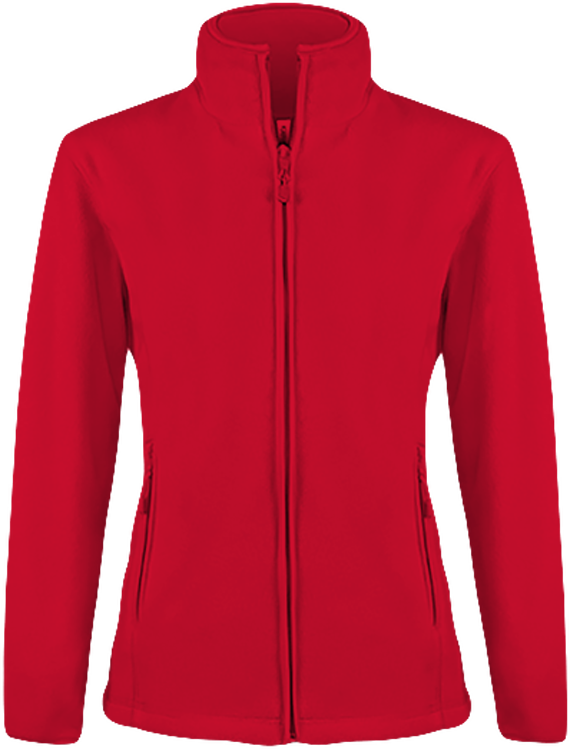 Fleece jacket very soft and warm. 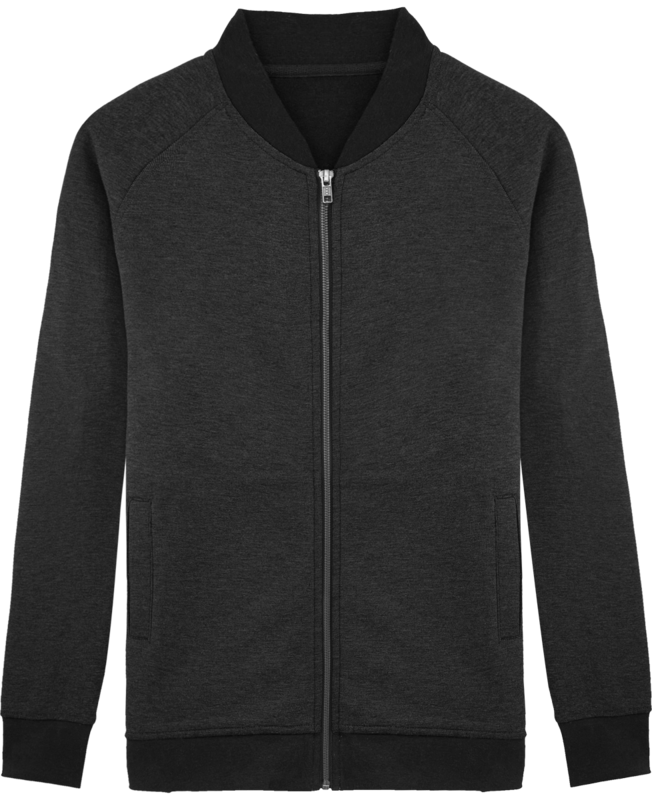 The inside of the jacket to customize is in brushed fleece - carbonised. 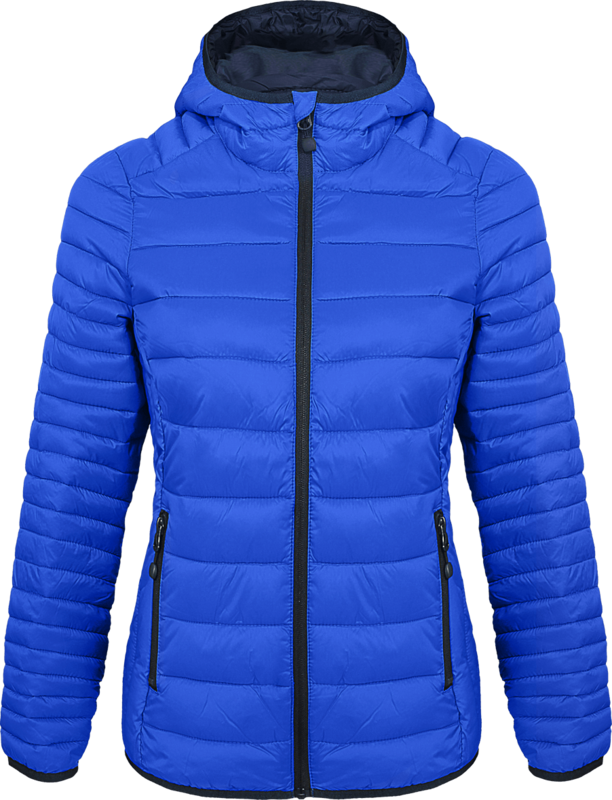 It is very comfortable to wear and warmer than basic jackets. 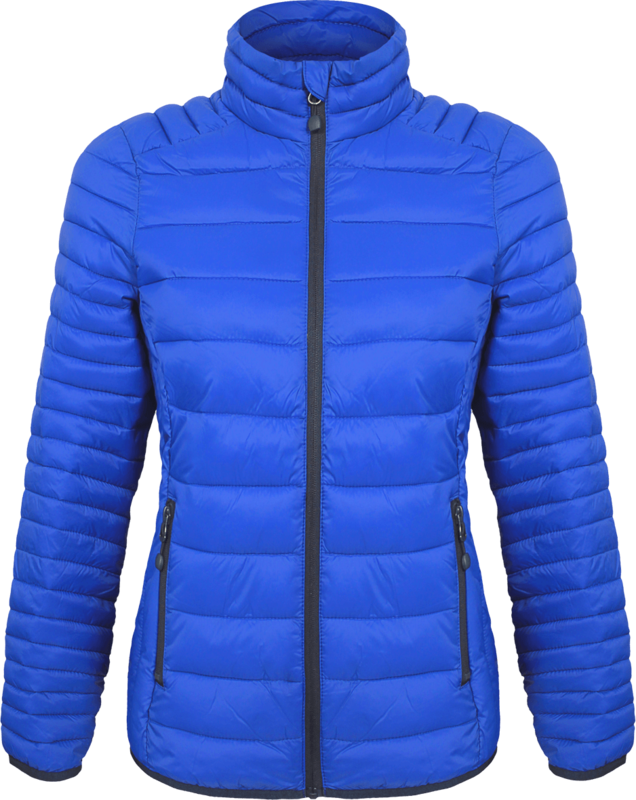 The lining of the integral Sherpa is recycled polyester. 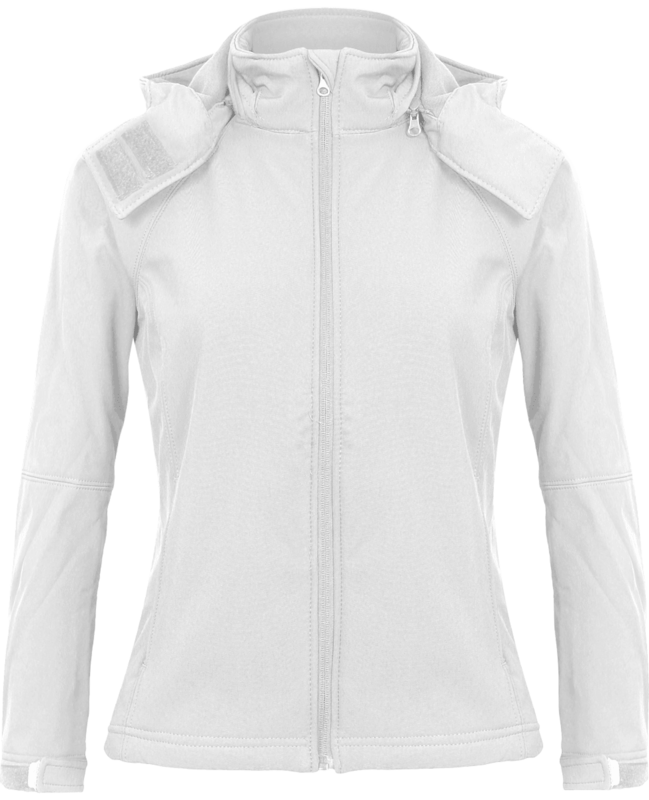 The jacket is a blend of 85% ring-spun combed organic cotton and 15% polyester. The grammage is 300 g / m². 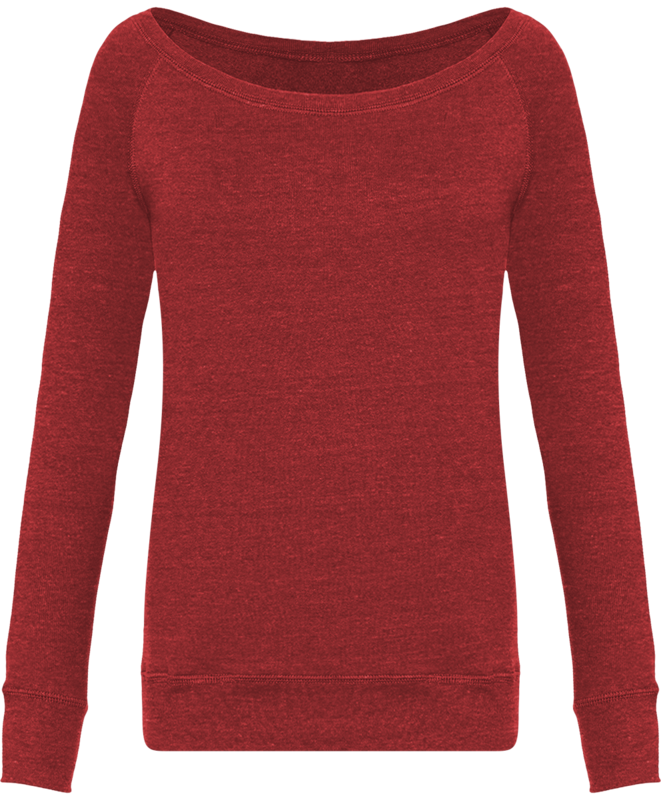 Round neck sweatshirt dress in organic cotton. 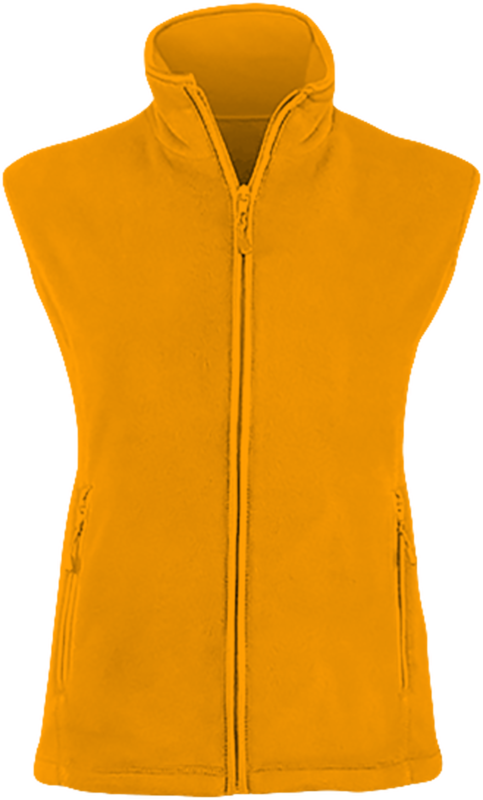 Custom dress with fitted sleeves, 1x1 rib trim at the neck, sleeves and lower body. Customisable dress with inner neck band in jersey and half moon inset inside collar in the main fabric. 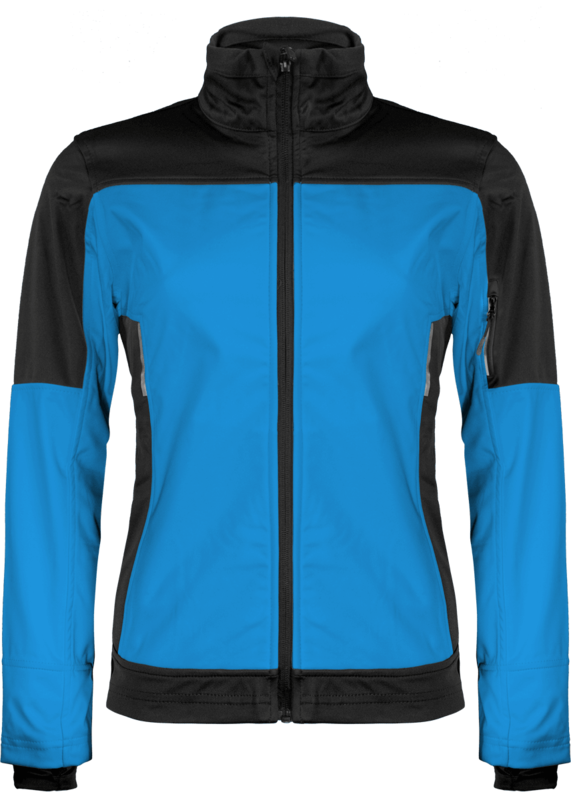 Flatlock stitching on all seams. 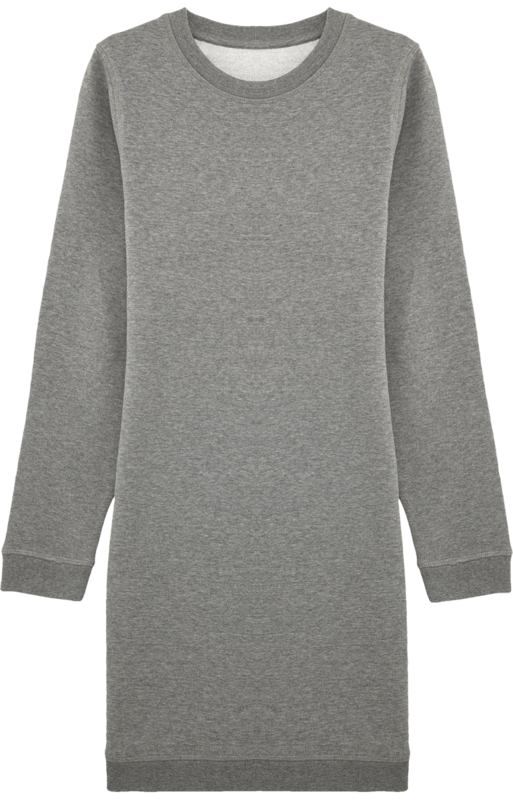 Sweat shirt dress composed of 85% organic cotton and 15% polyester. Weight of 300 g / m². 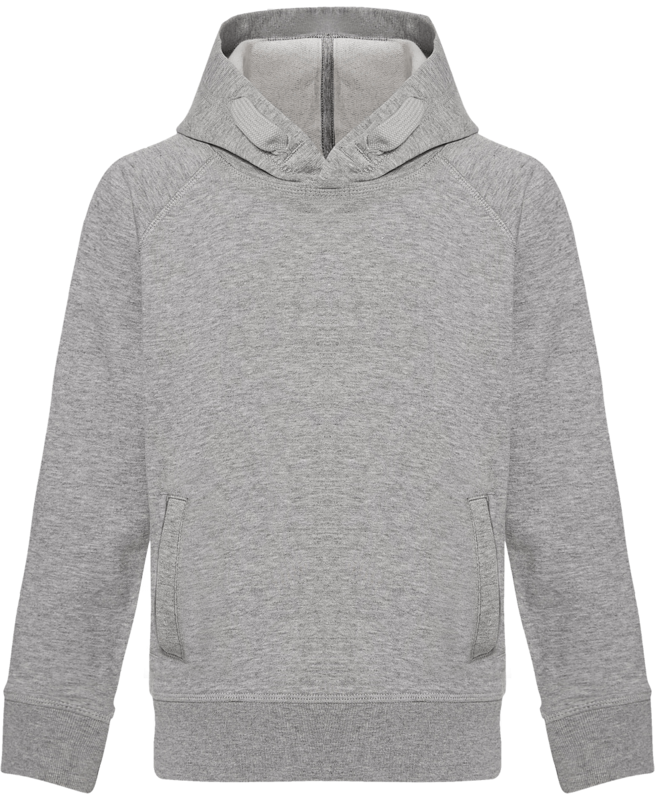 Raglan sleeve hoddie. 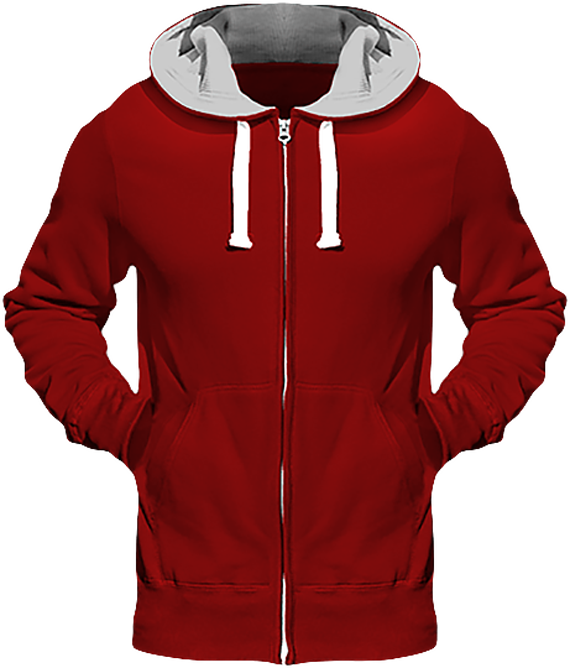 Lined hood in single jersey. Inside back neck tape in single jersey . 1x1 rib at sleeve hem and bottom hem . Slanted side seams with flatlock topstitch. Front pockets in side seams. Deco loop at hood. Buttonhole at inside pocket for head phones. 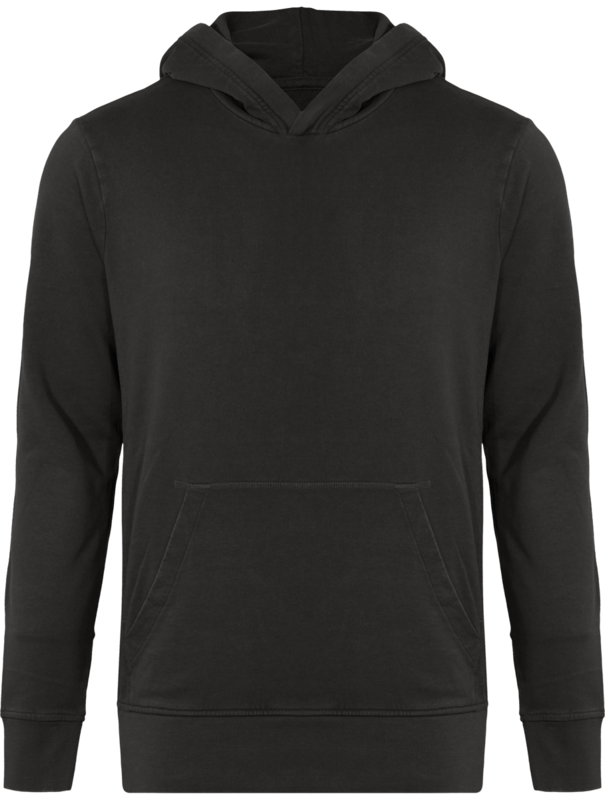 Brushed sweatshirt. 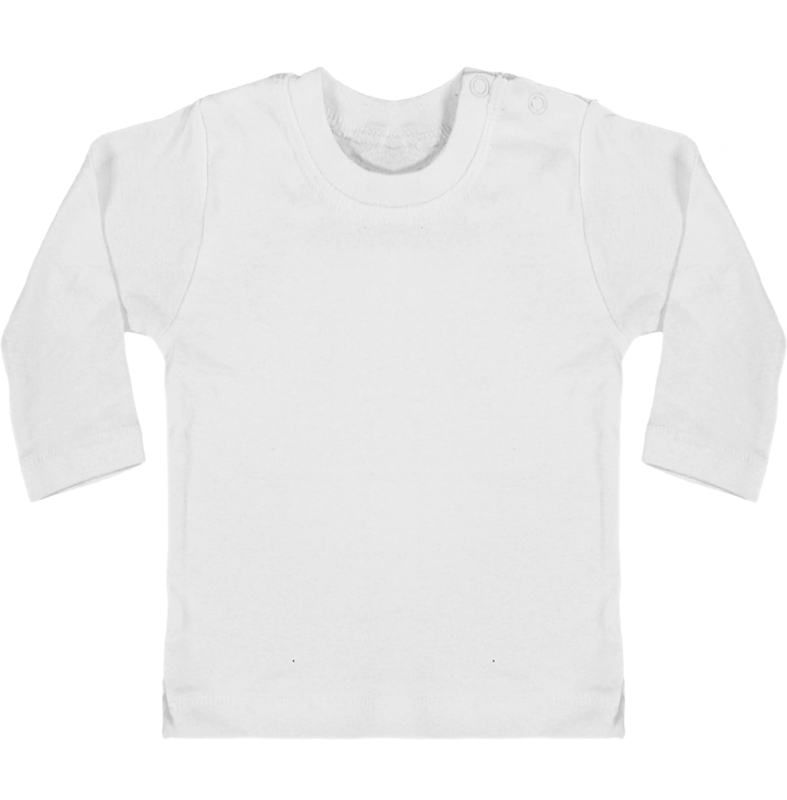 85% organic ring-spun combed cotton, 15% polyester fabric washed, light sueded. Medium fit. 300 G/M². 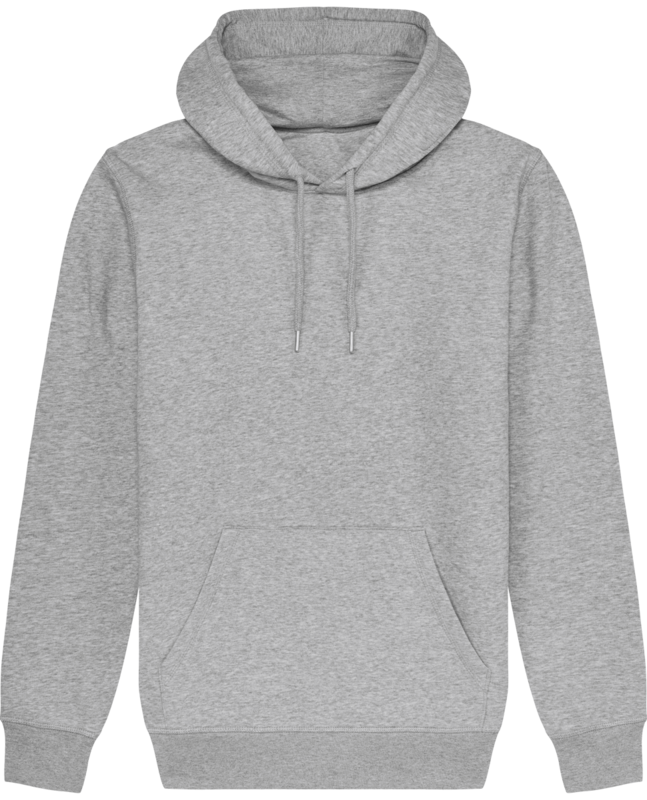 Custom child hoodie in embroidery and print. 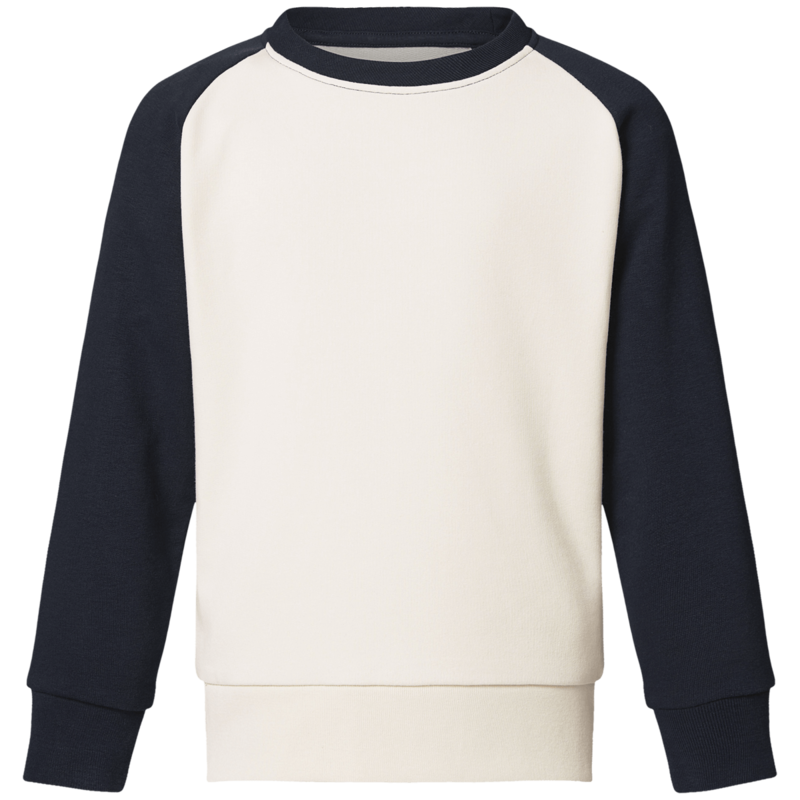 Child's sweatshirt with raglan sleeves and welt pockets. Kid's sweatshirt in organic cotton with a brushed moletton. The sweatshirt of the Stanley Stella brand are made of 100% ring-spun combed organic cotton with a weight of 280 gsm. 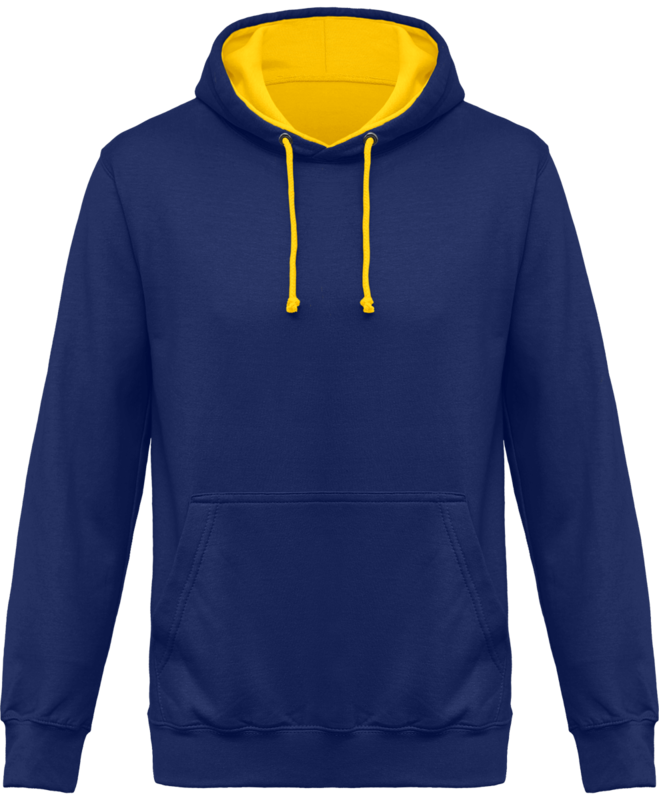 Hooded kids sweatshirt to personalize. 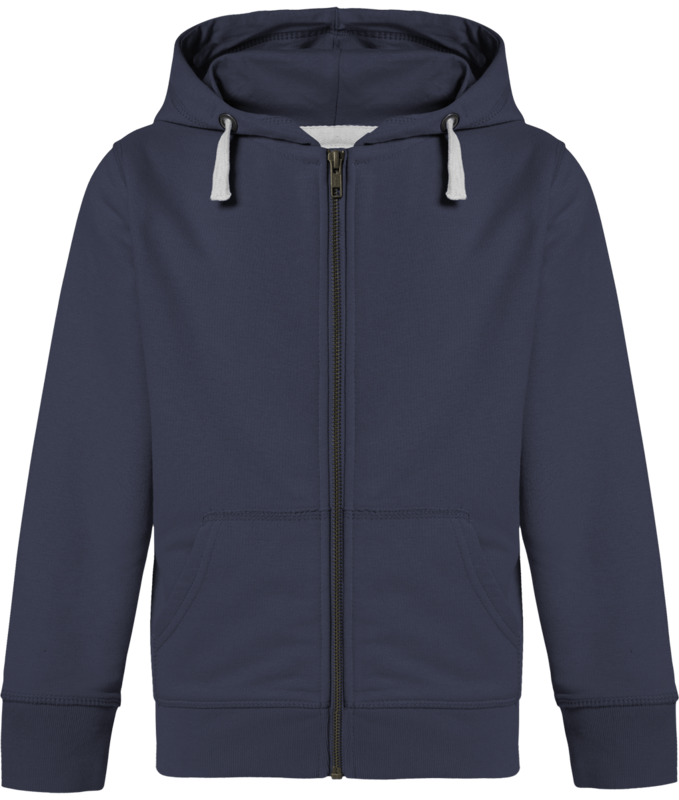 Child's sweatshirt made of 85% ring-spun combed organic cotton and 15% Polyester. Zipped sweatshirt very soft and comfortable to wear. 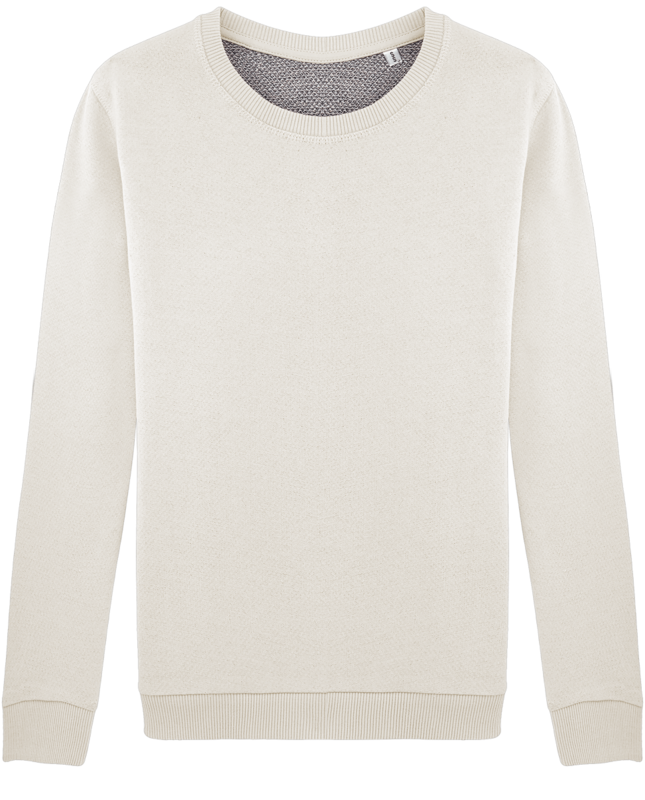 Stanley Stella sweatshirt in premium quality. 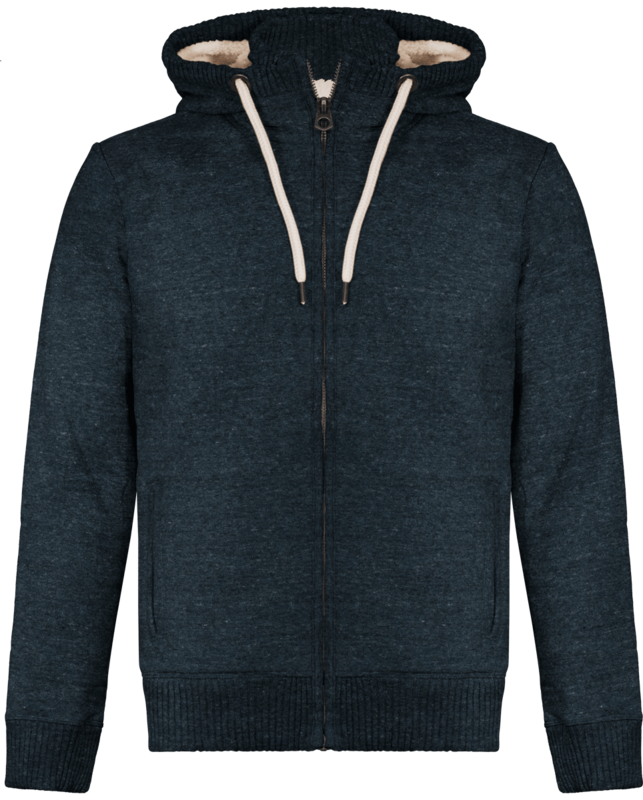 Terry - unscratched fleece - carbonized. Weight of 300 g / m². 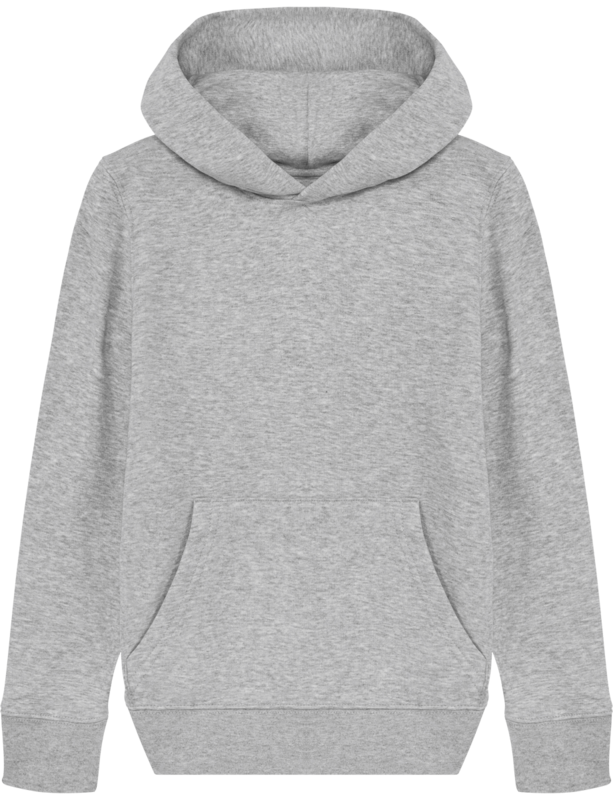 Mini Scouts children's sweatshirt in organic cotton to personalise. 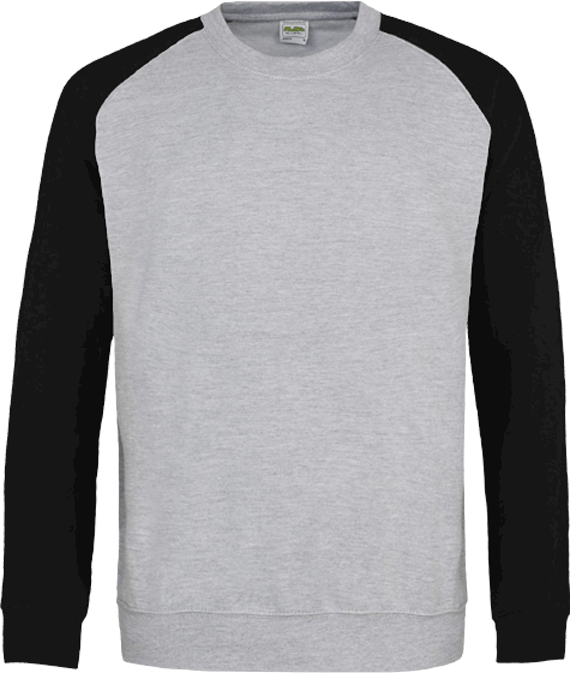 Raglan sweatshirt with ultra soft and warm crew neck. Very nice to touch and wear. 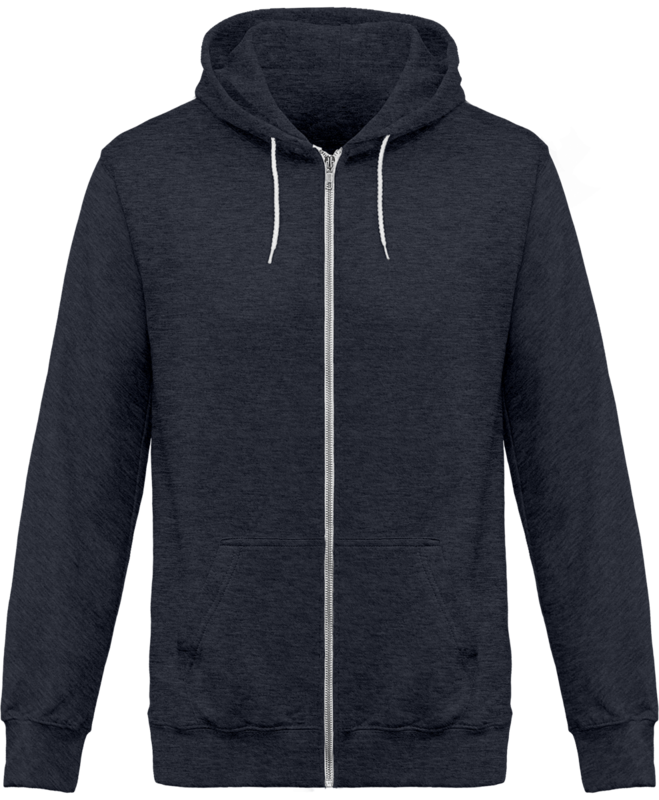 Composed of 85% combed ring-spun organic cotton and 15% polyester Terry - unbrushed - carbonized fleece. 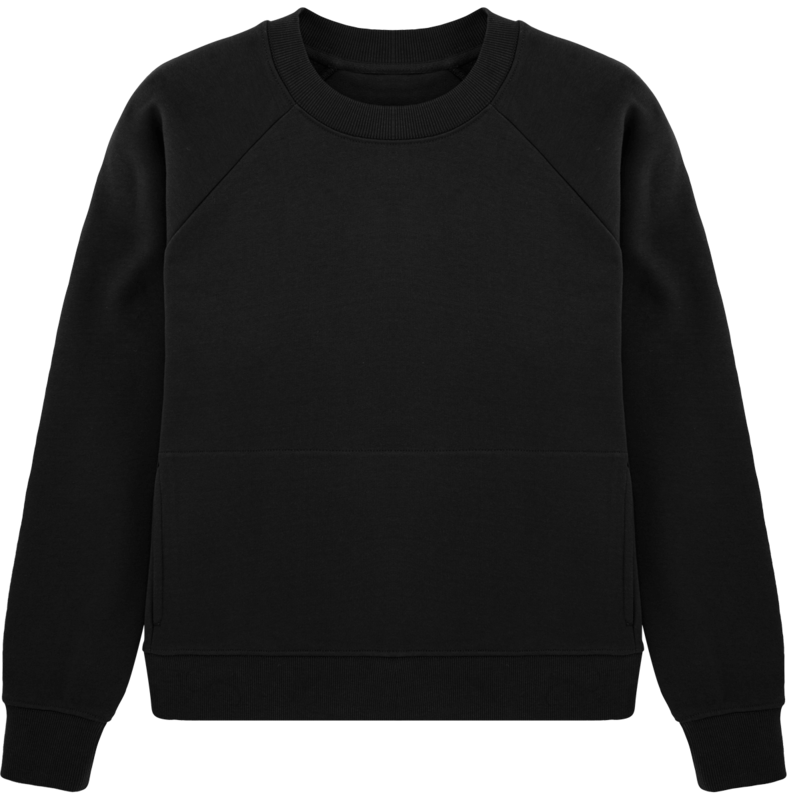 Weight : 300g / m² thick children's sweatshirt. 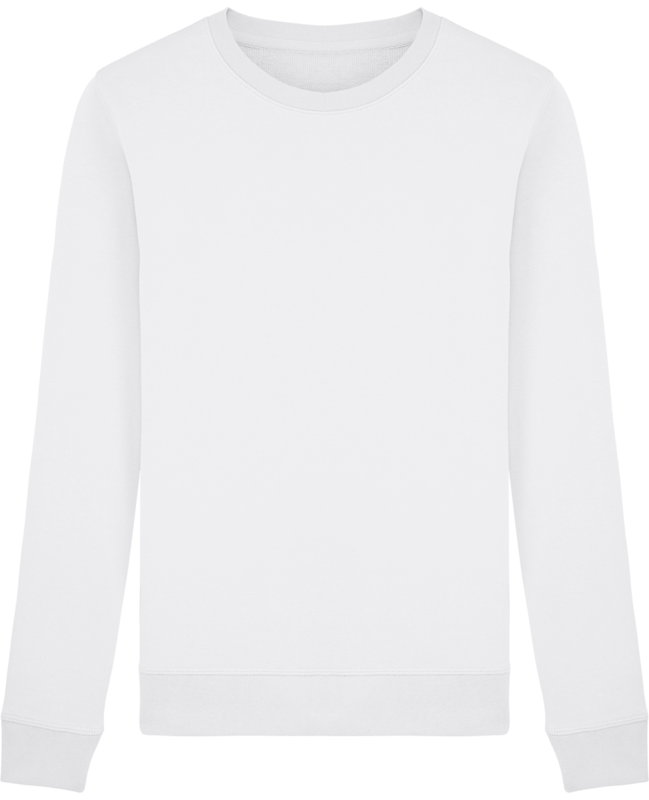 Custom kid's sweatshirt with crew neck and contrast raglan sleeves. 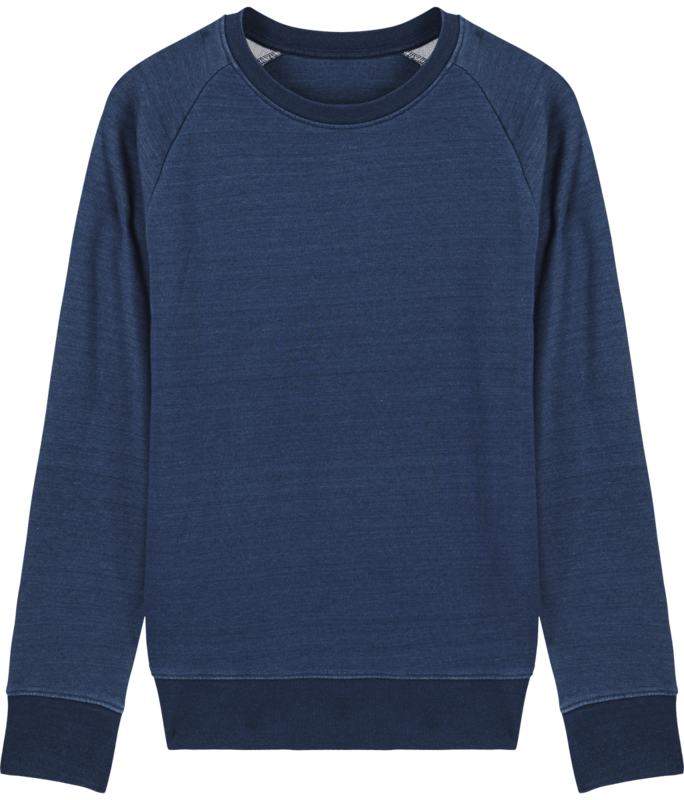 The Stanley Stella sweater is crisp with color sleeves and a baseball effect. 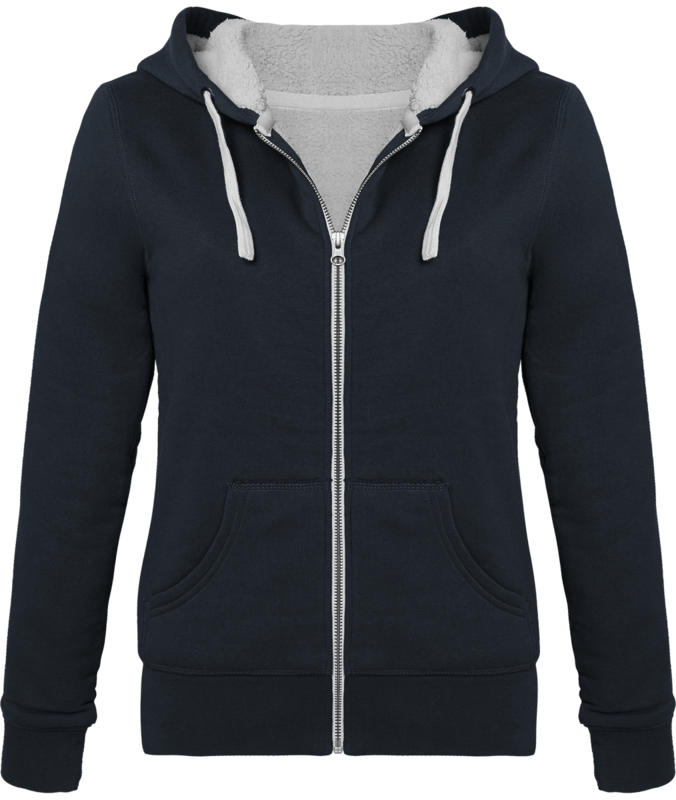 Very trendy and chic, it's a very fashionable sweatshirt. 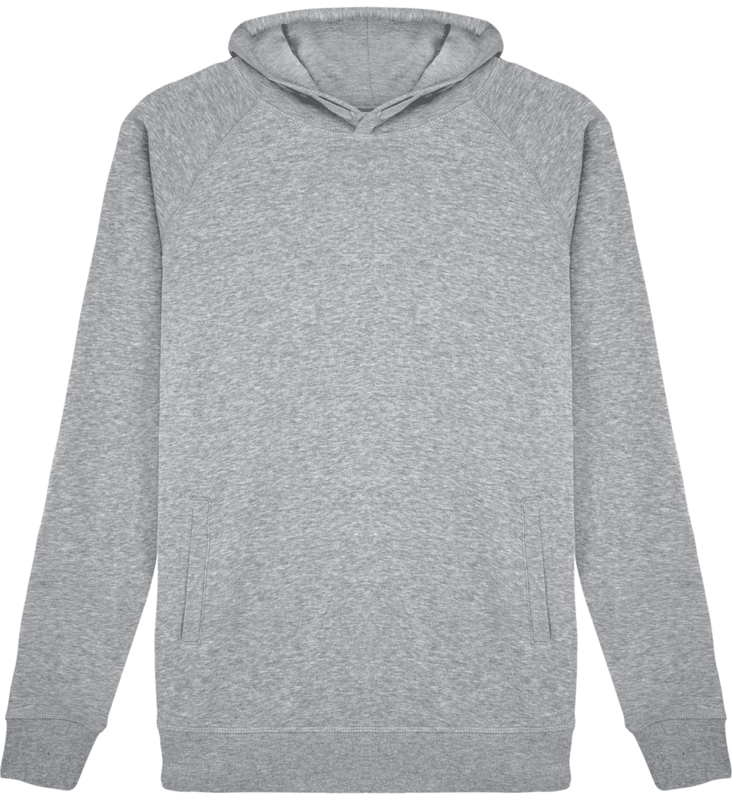 Ultra soft to wear kid's sweatshirt made of 85% ring-spun combed organic cotton and 15% polyester Terry - non-scraped - carbonized fleece. Weight of 300 g / m². 100% cotton Fair trade. Cord of the same fabric as the apron. Adjustable buckle. Width: 60 cm. 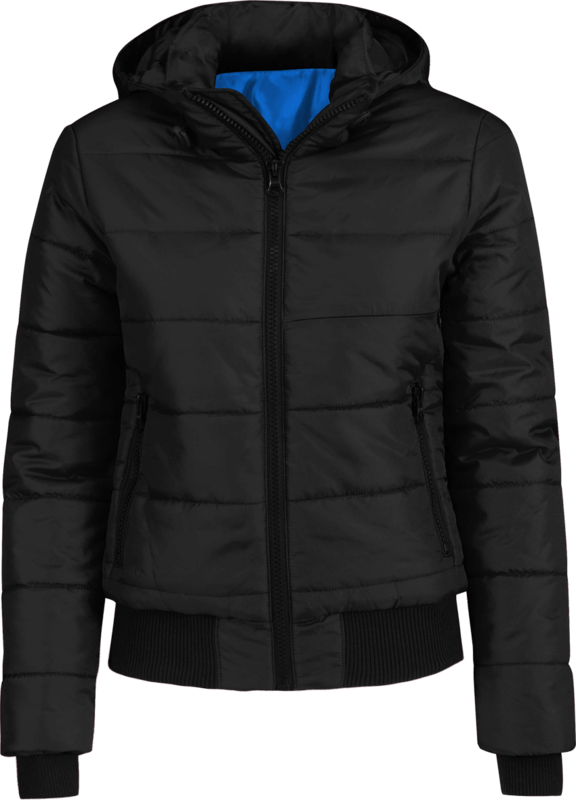 Overall length: 84 cm. Domestic washing 60 ° C. Industrial washing 85 ° C.
Fabric: 65% Polyester, 35% Cotton twill. Weight: 195gsm. 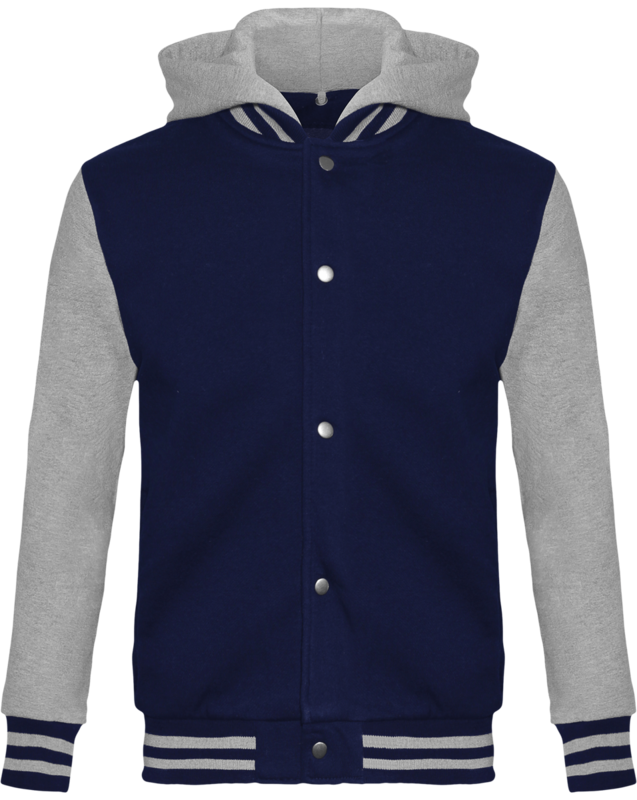 Size: One size - width 72cm, length 86cm. 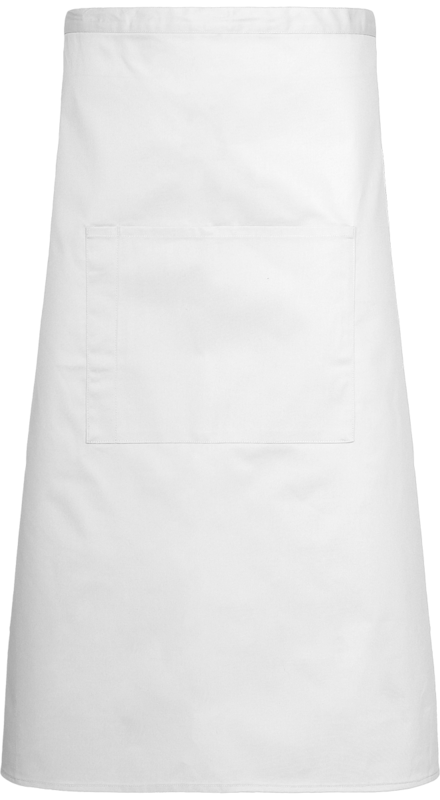 Waiter Apron personalised in embroidery and print. 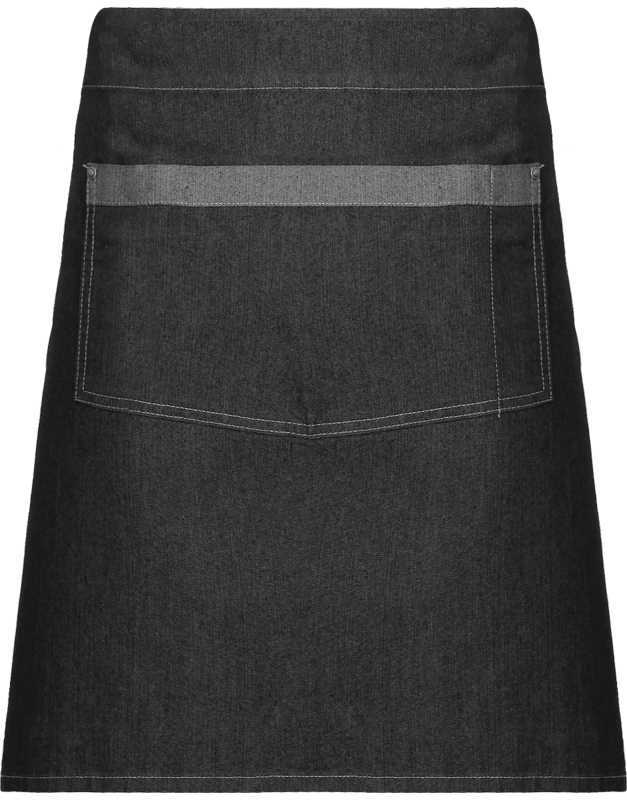 Short apron with two self-coloured zipped pockets. Crease resistant finish. Fasteners in the continuity of the fabric of 90 cm. Fabric: Klopman indestructible. 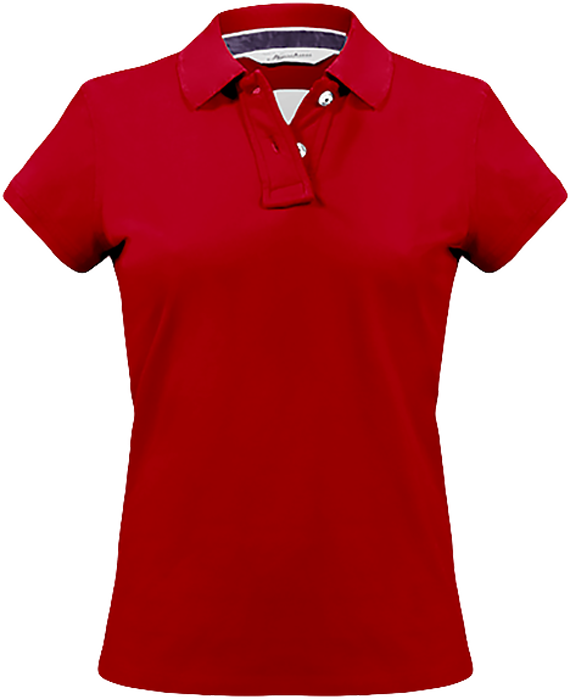 65% Polyester, 35% Cotton twill with crease-resistant finish. Weight: 245 gsm. Size: One size width 60cm, length 33cm. 100% polyester. 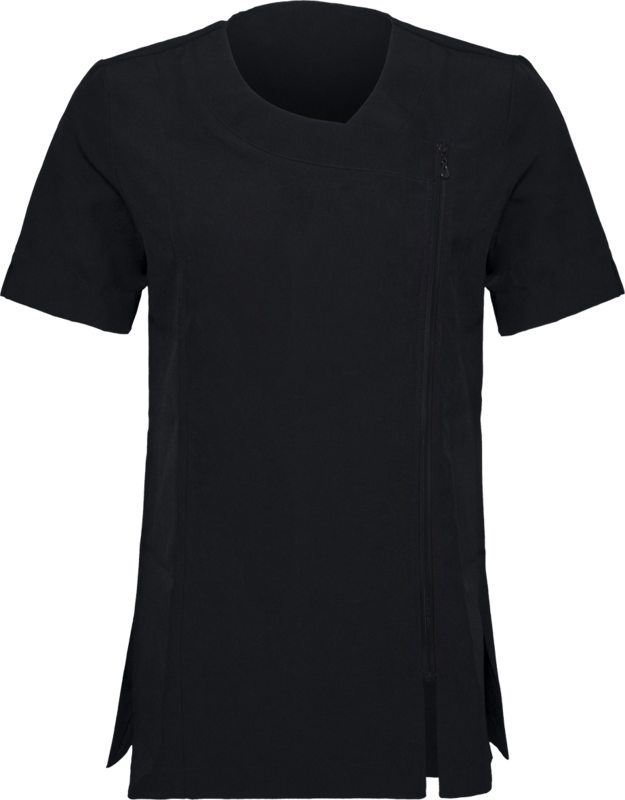 Tunic for aesthetic or spa with short sleeves. 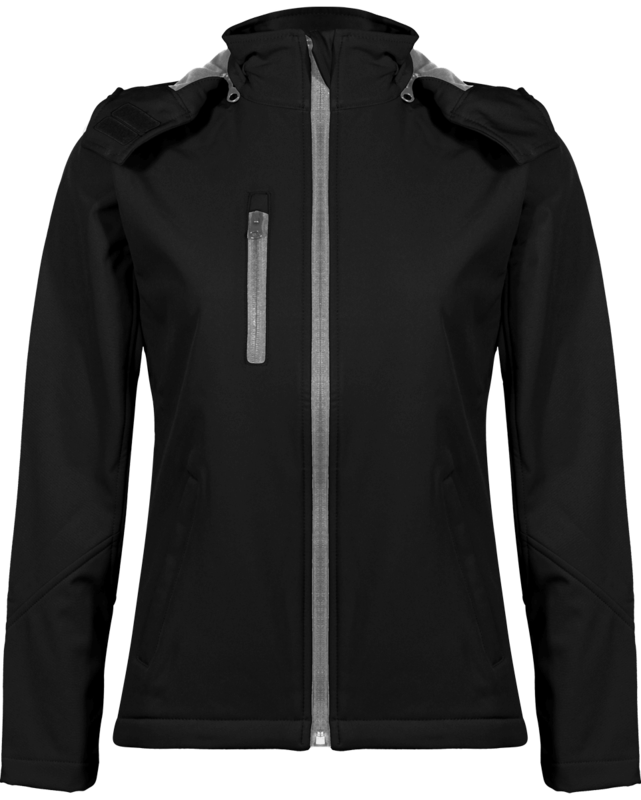 Asymmetrical zipped fastening on the front. Lateral slits. Princess seams. Easy to maintain. 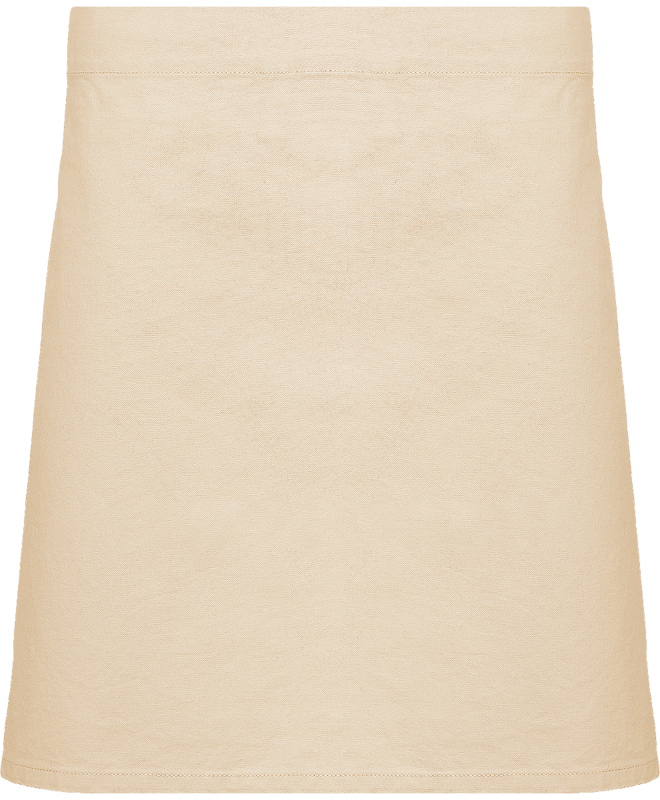 Simple and elegant personalized apron. 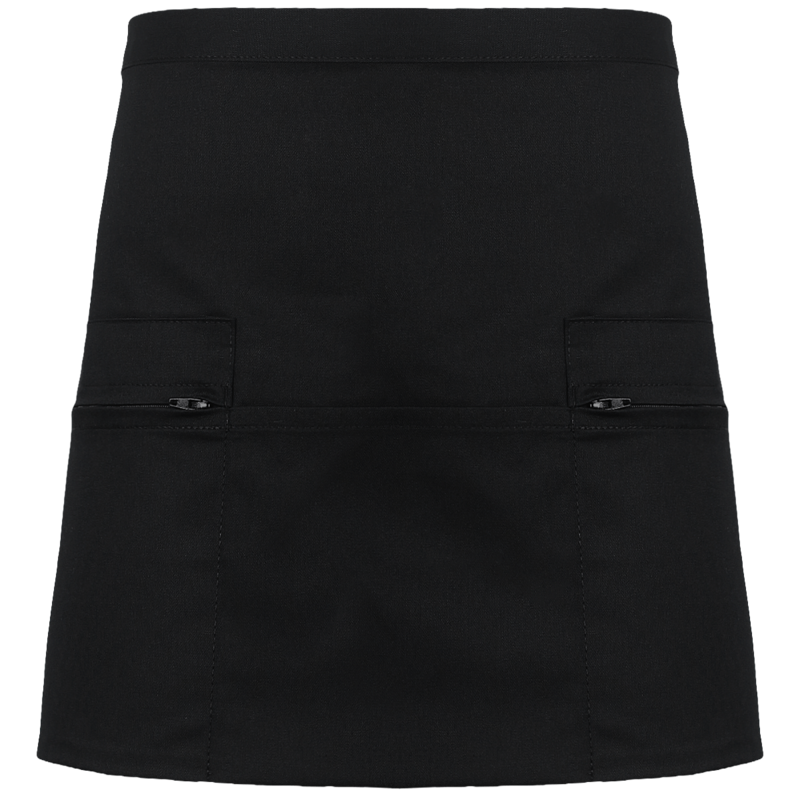 Dense weight that gives an apron of ideal quality for a prestigious service outfit. 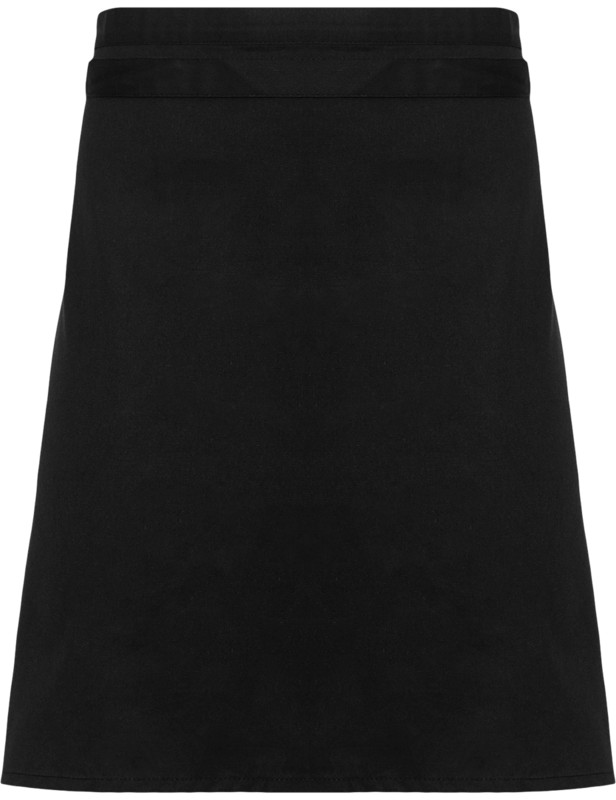 Apron with ties and thong around the neck in the continuity of the fabric. Industrial washing at 85 ° C without personalization. 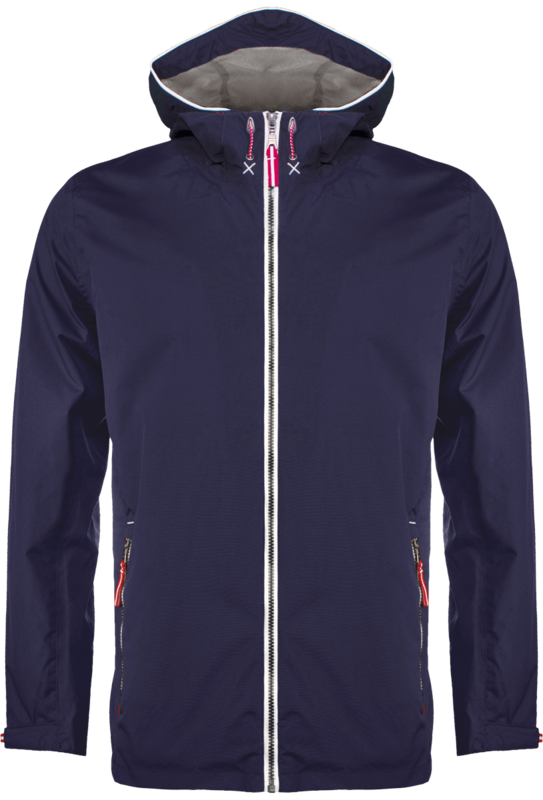 Composition in 80% Polyester and 20% Cotton Twill. Weight of 195 g / m². 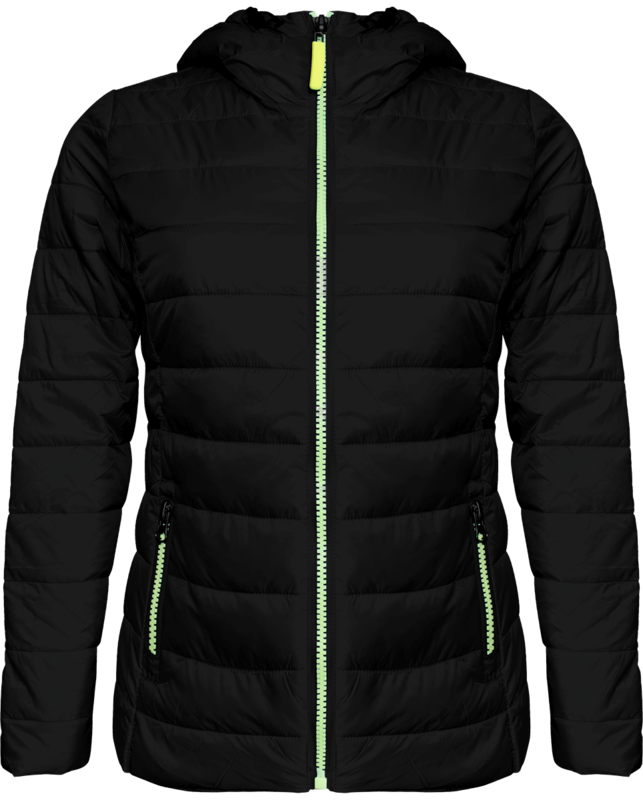 One size, length 78cm. Denim apron with contrast stitching. 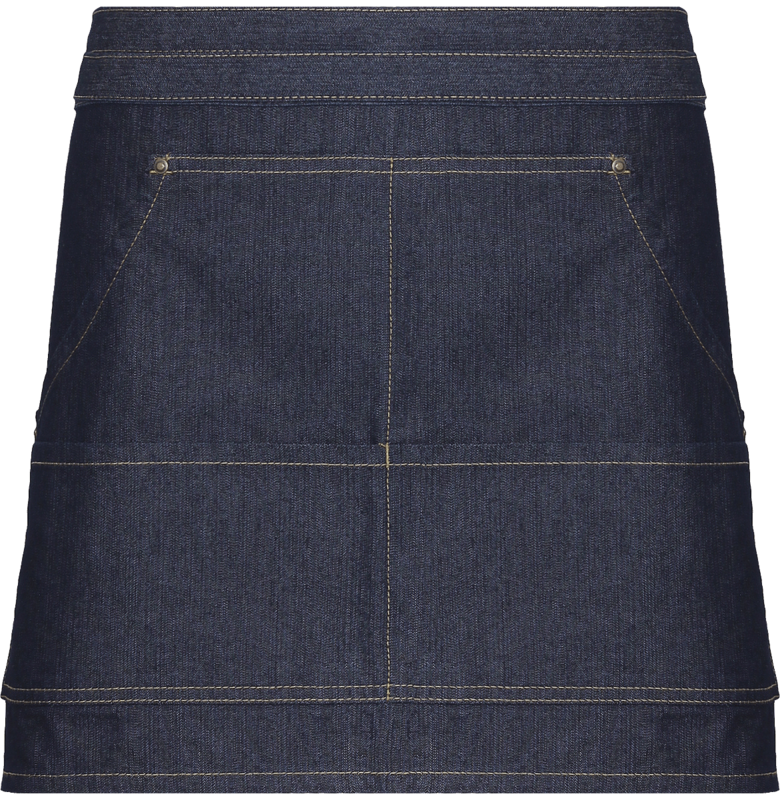 Simple and elegant raw denim apron with 4 storage pockets for cooking with utensils nearby. Buckle adjustment in the neck. Composition in 70% Cotton and 30% Polyester Twill. Weight of 265g / m². Unique size. Practical apron to wear in two ways. 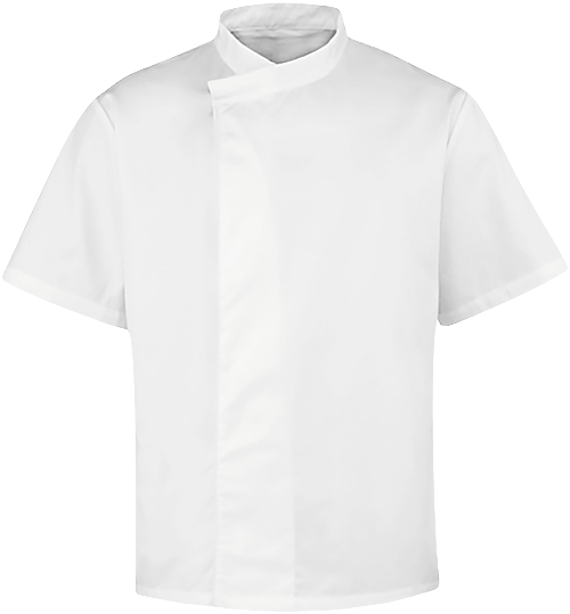 It can be worn in apron-style bib and apron style. 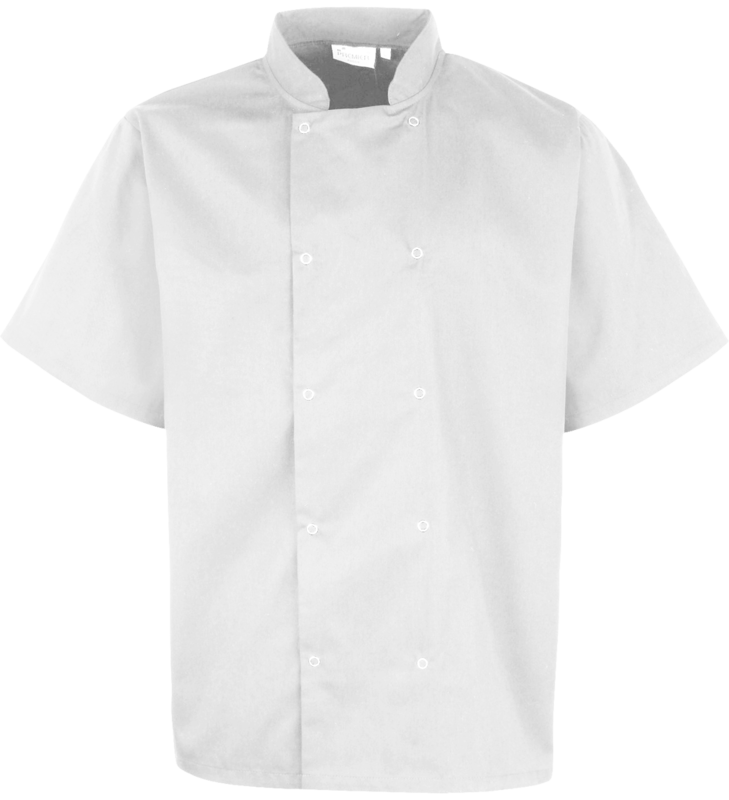 Your teams will be able to easily adapt to their use their apron. 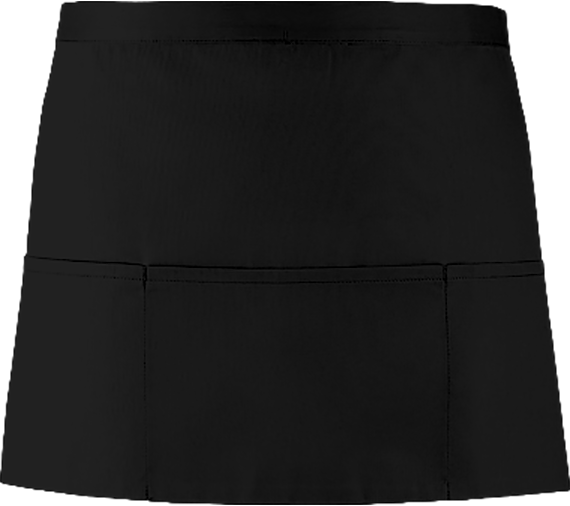 You can also take advantage of the offer of decreasing price by ordering in large quantities an apron with several utilities. Pockets in both cases. Composition in 65% Polyester and 35% Cotton Twill. Weight of 210 g / m². One size - width 60cm length 62cm. Fair trade apron to personalise. 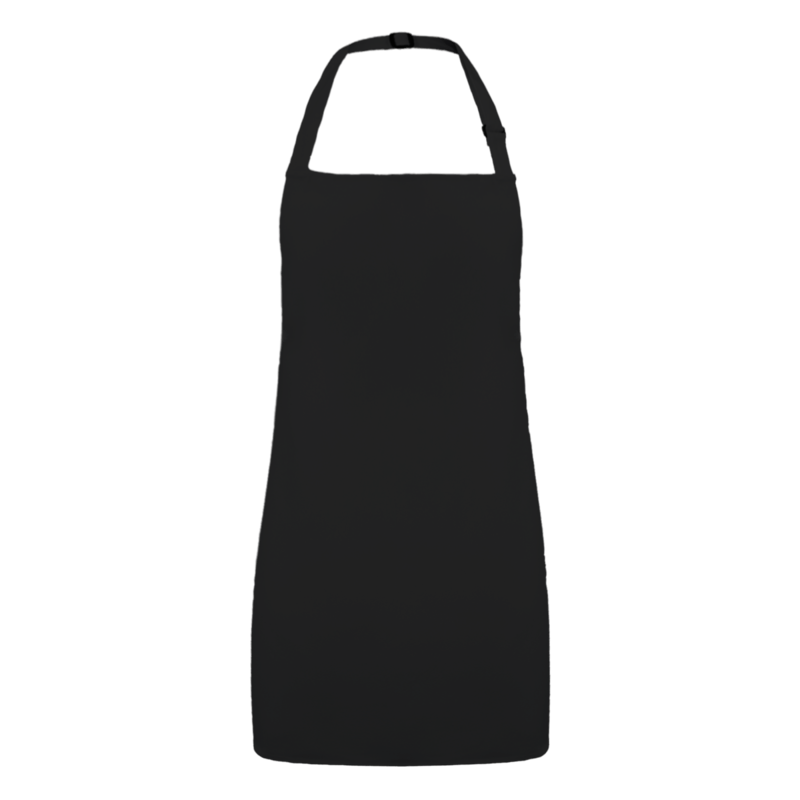 Apron suitable for establishments that have adopted an ethical fair trade policy regarding the products they use. 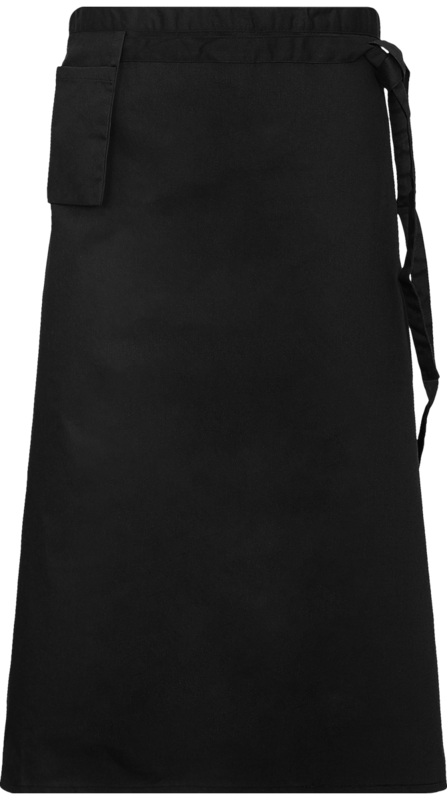 This mid-length apron is made of 100% fair trade certified cotton. 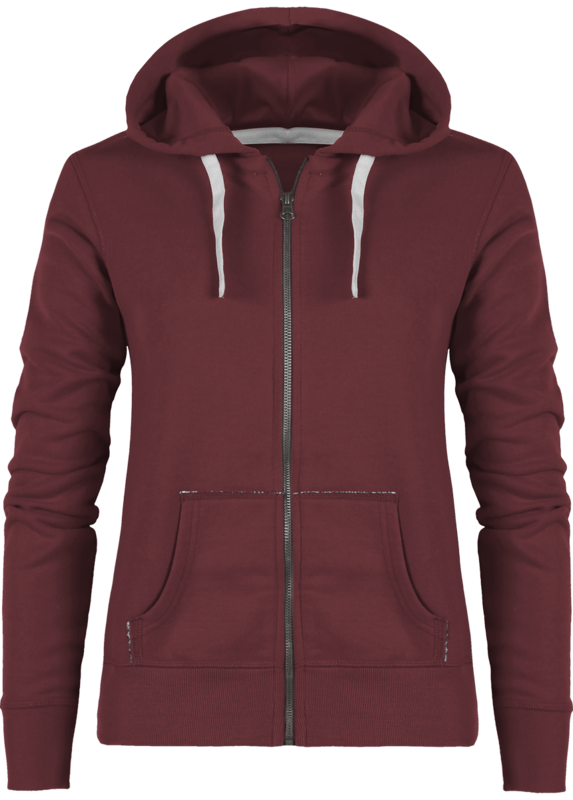 One size: Width 70cm and total length 60cm. Weight of 200 g / m². 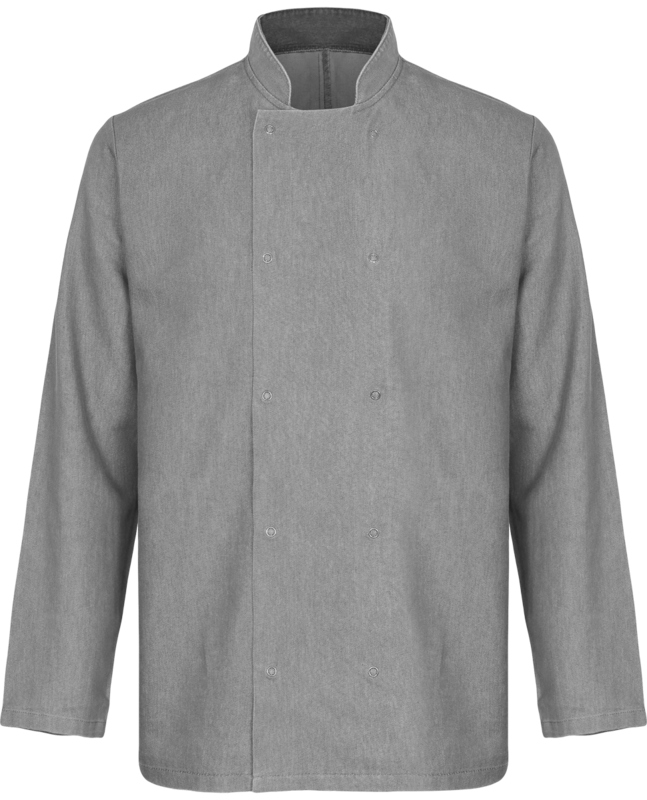 A welcome addition to the Premier Chefswear range, this style gives chef an alternative solution to the traditional chef's whites.Taking style inspiration from our best selling PR665 press stud jacket, we've given this jacket a fashionable twist by introducing it in two poplar denim colourways that are made with 100% ringspun Cotton for a soft and breathable workwear solution. Fabric: 60% Cotton 40% Polyester. Weight: 230gsm. Size: XS 33" S 37" M 40" L 42" XL 46" 2XL 49" 3XL 52"
Women's shirt in organic cotton denim. Woven denim. 100% Organic combed compact ring-spun cotton. Indigo Garment Wash. Weight: 170 g/m². 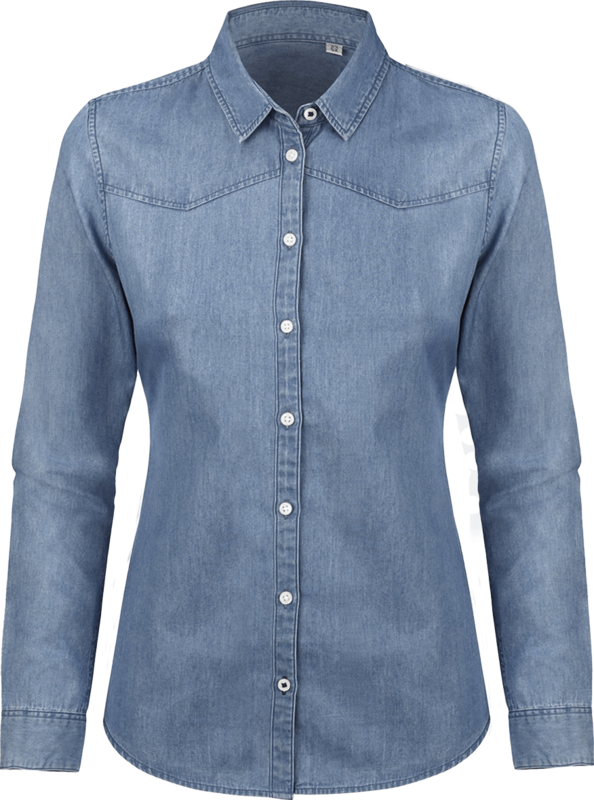 Long sleeve denim shirt with contrast stitch detail with two chest pockets. 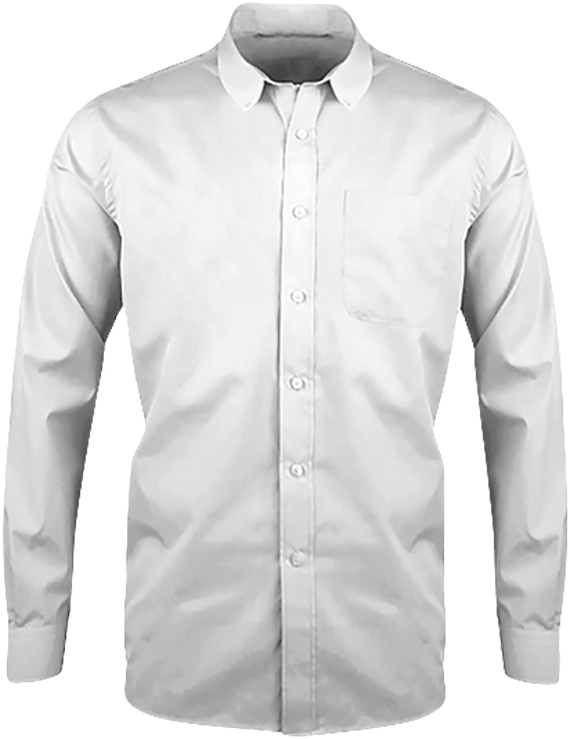 Buttoned cuff and sleeve guard. Curved hem. Back yoke. Washing Instructions : Domestic wash 40°c. Contrast stitching : 2 chest pockets, Curved hem. 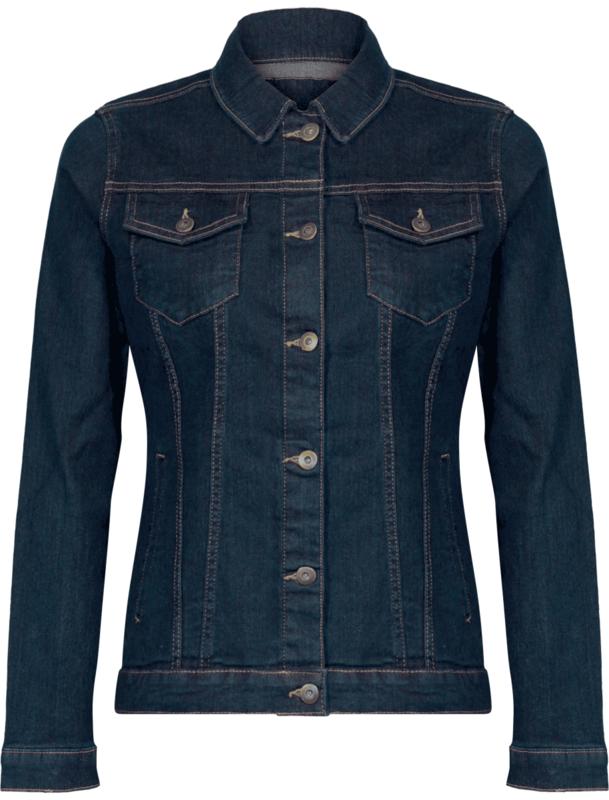 Fabric : 100% Cotton, ringspun denim. Weight: 127gsm. Size: XS 8, S 10, M 12, L 14, XL 16, 2XL 18, 3XL 20. 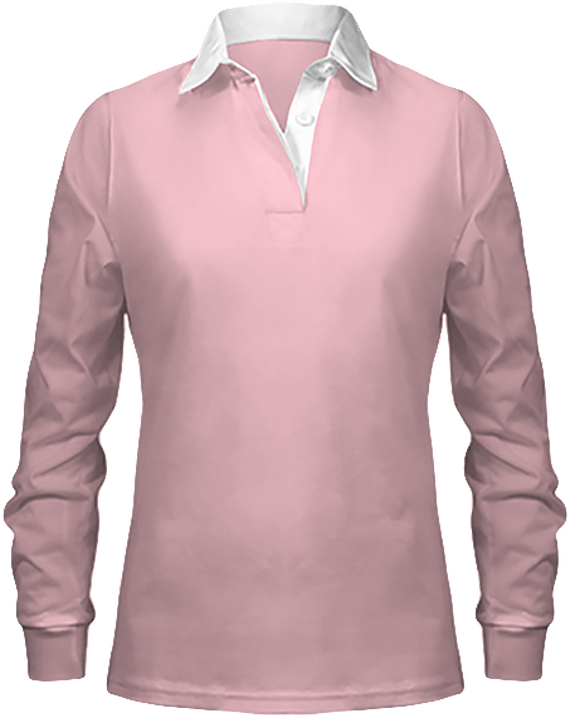 Long sleeve shirt with soft collar styling with roll sleeve option. 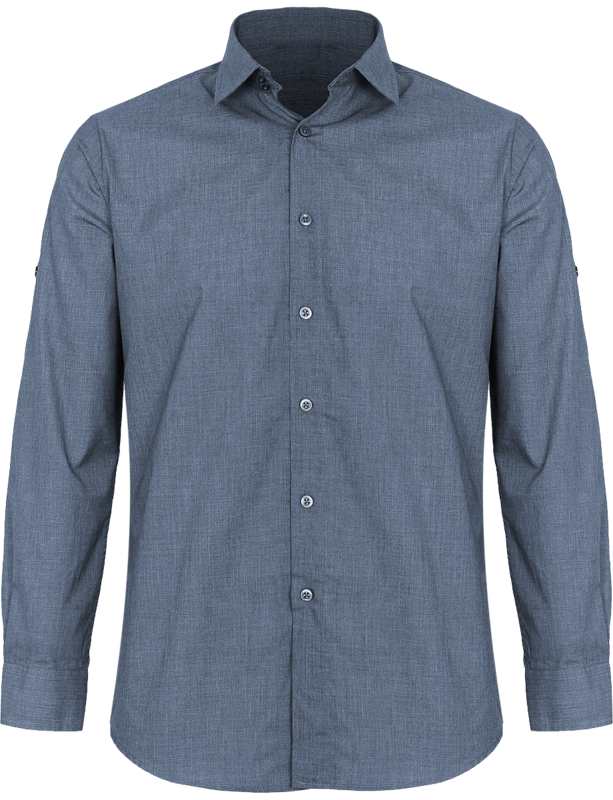 Buttoned cuff and button on the upper arm for fastening the cuff. Bust and back darts. Back yoke . Washing Instructions: Domestic wash 40°c.Bust and back darts. Soft collar styling. 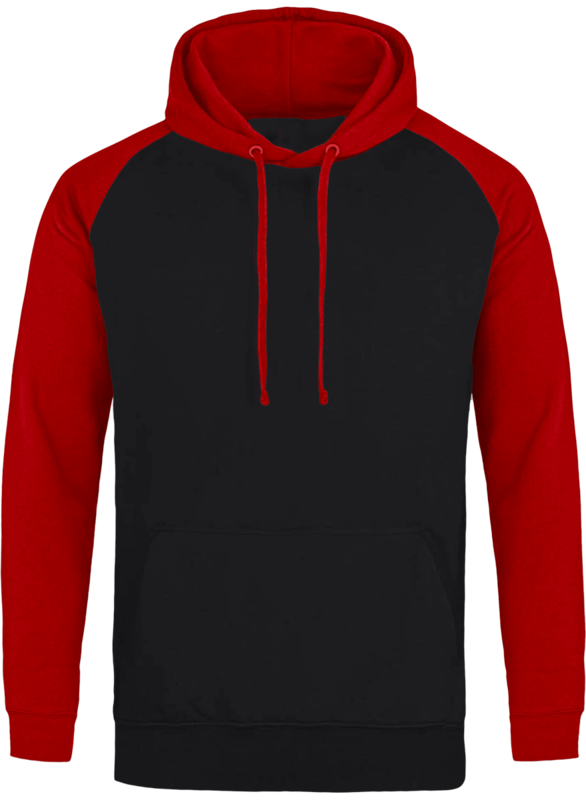 Roll sleeve option. Fabric: 65% Polyester, 35% Cotton, cross-dye poplin. Weight: 105gsm. Size: XS 8, S 10, M 12, L 14, XL 16, 2XL 18, 3XL 20. 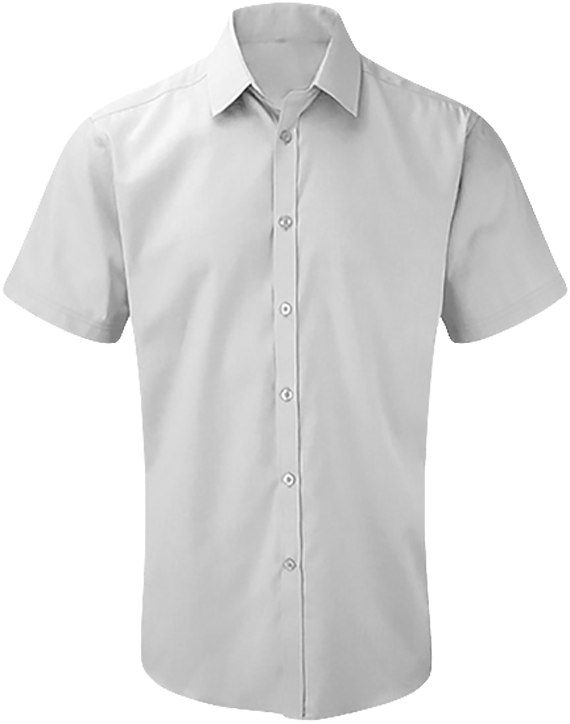 65% polyester / 35% cotton poplin. Easy maintenance. Whale tip. Tone-on-tone buttons. 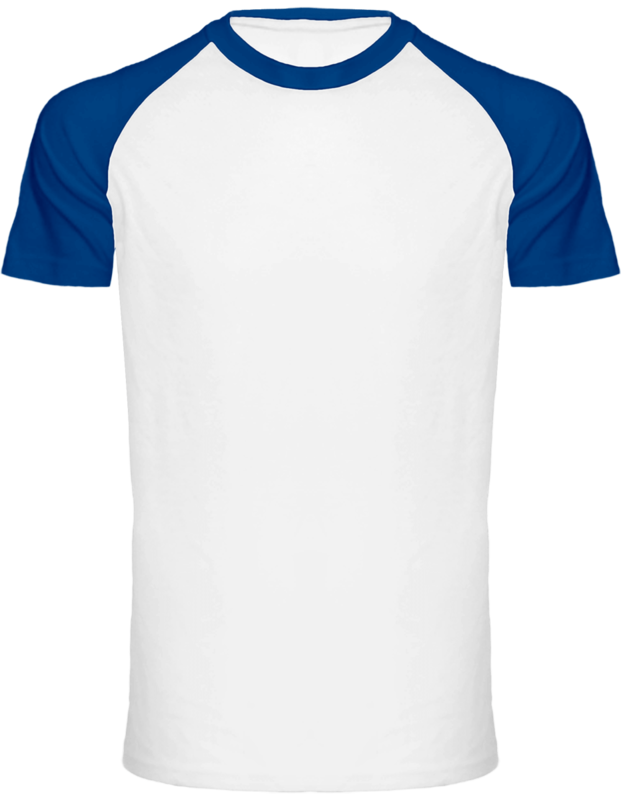 Left chest pocket with rounded corners. Double back yoke. Stitched seams finishing touches. 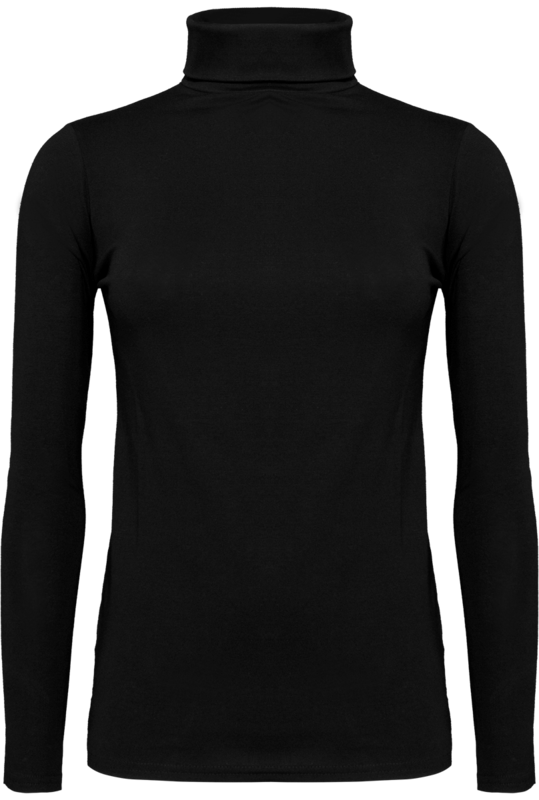 Adjustable cuff with rounded corners with buttoned capuchin sleeve. 2 recall buttons. 100% micro twill cotton. New technology fabric without ironing. 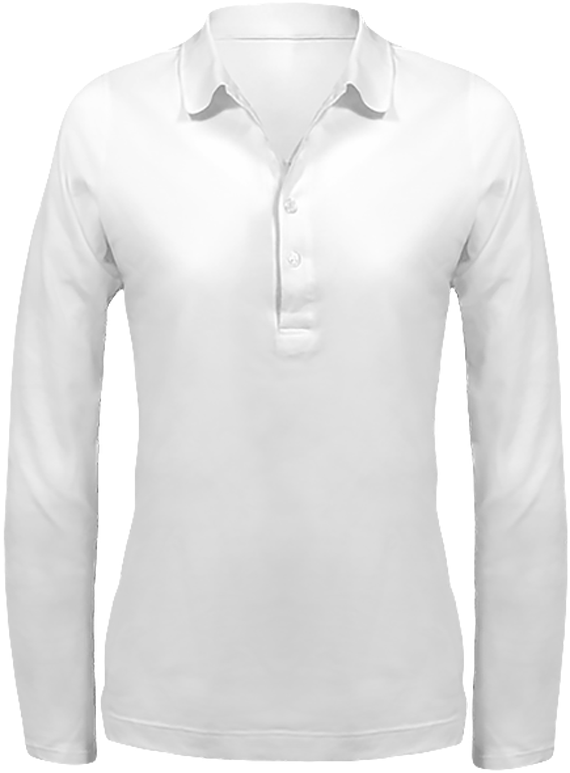 Soft collar shirt with roll sleeve option. 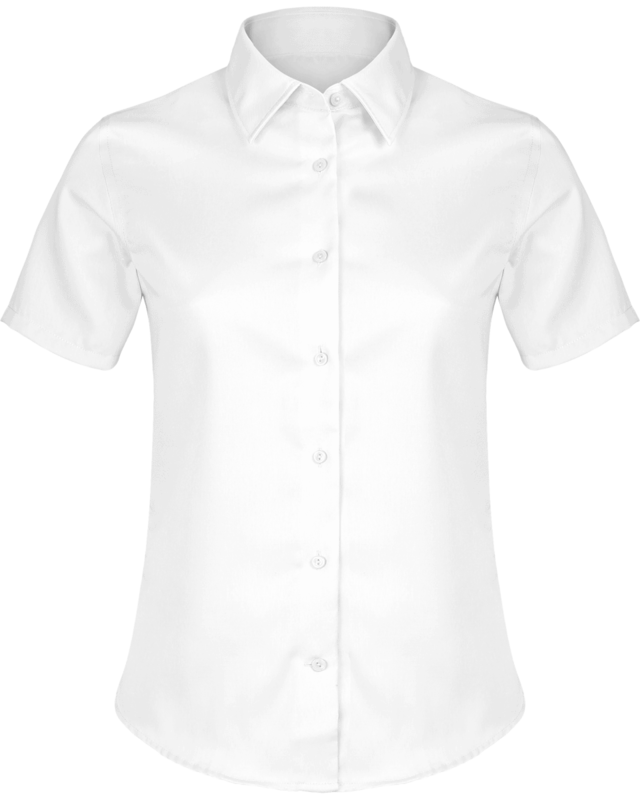 Buttoned cuff and button on the upper arm for fastening the cuff. Back yoke. Washing Instructions: Domestic wash 60°c. Industrial laundry 85°c.Cross-dye poplin shirt. Soft collar styling. 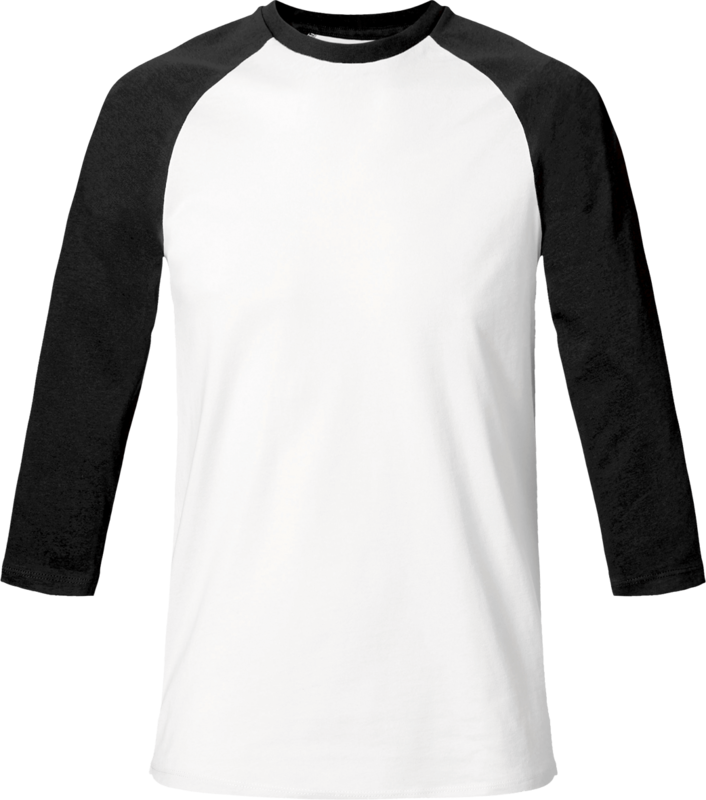 Roll sleeve option. 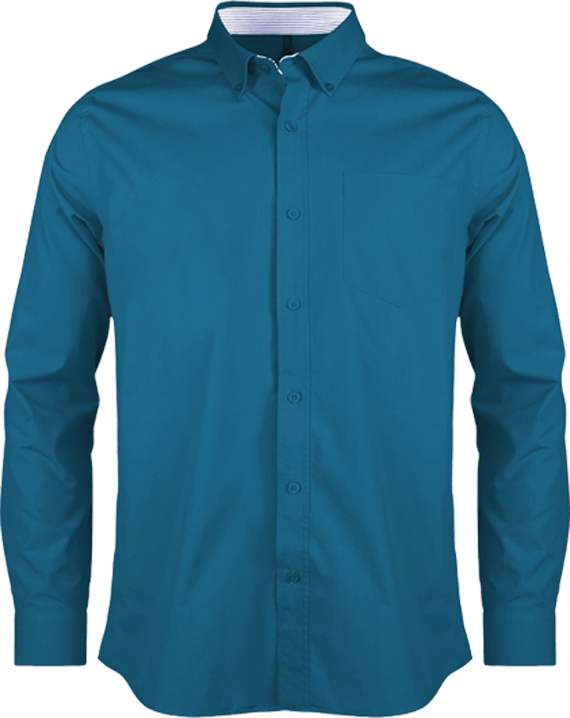 Fabric: 65% Polyester, 35% Cotton, cross-dye poplin. Weight: 105gsm. Size: XS 36, S 39, M 40, L 42, XL 44, 2XL 46, 3XL 48. 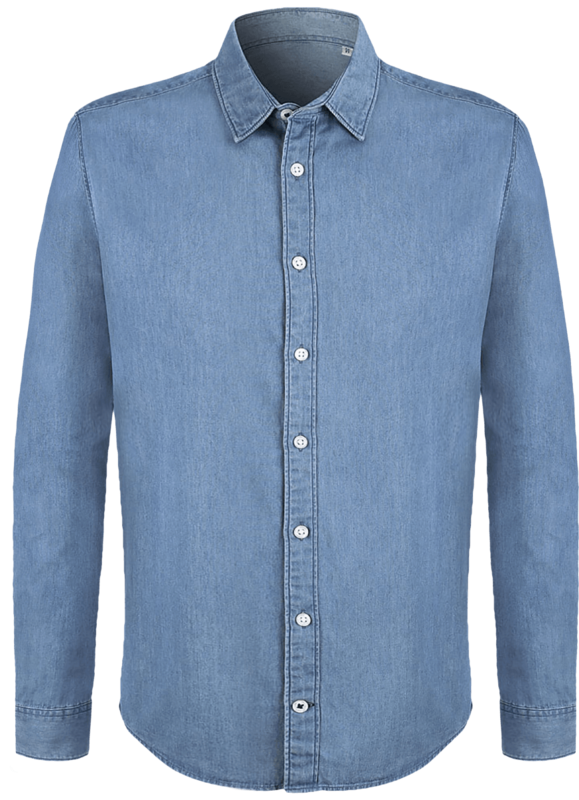 Long sleeve denim shirt with contrast stitch detail with left breast pocket. 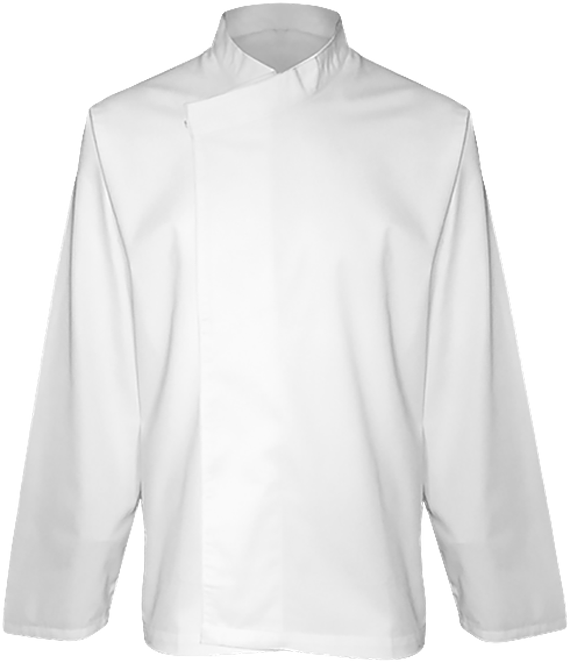 Buttoned cuff and sleeve guard. Curved hem. Back yoke. Washing Instructions: Domestic wash 40°c.Contrast stitching. Left breast pocket. Curved hem. 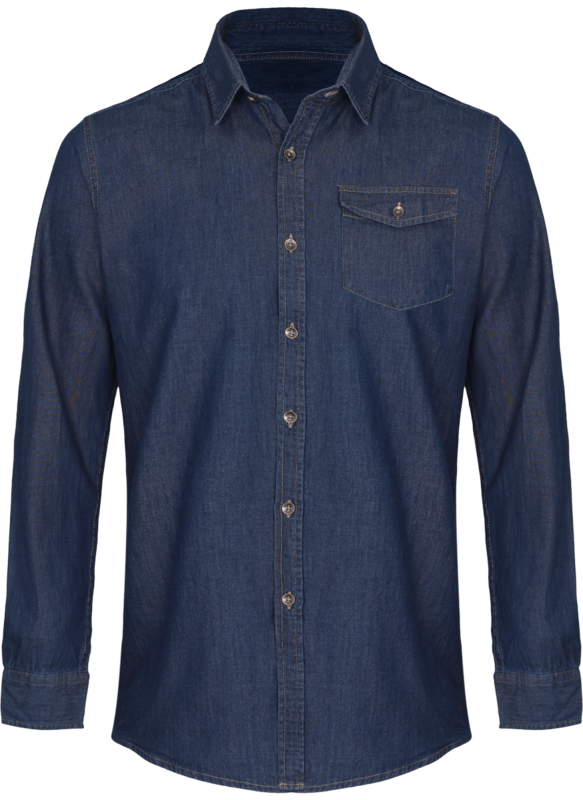 Fabric: 100% Cotton, ringspun denim. Weight: 127gsm. Size: XS 36, S 39, M 40, L 42, XL 44, 2XL 46, 3XL 48. 80% combed cotton / 20% polyester. 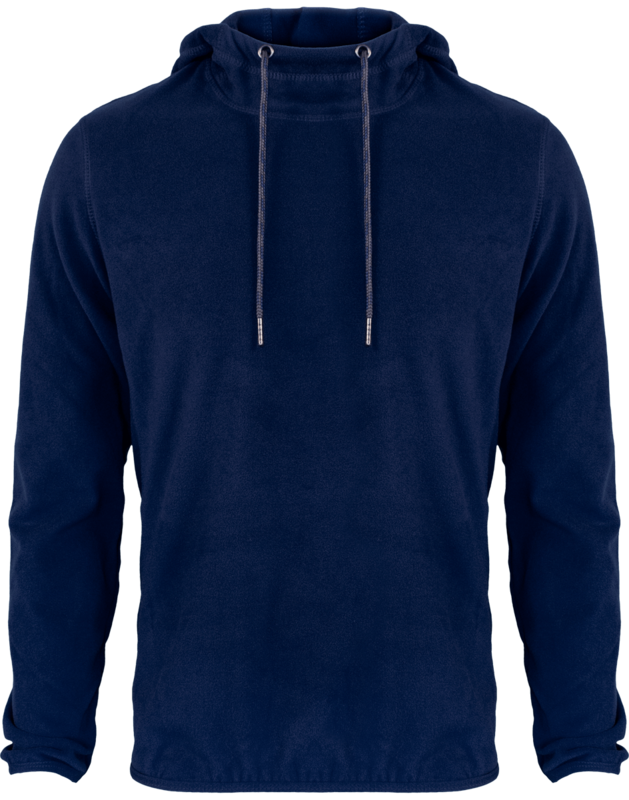 scratched fleece. 2 side pockets and 1 patch back pocket. Wide ribbing and tie at waist. Ribbed 1x1 finish on bottom edge of the leg. 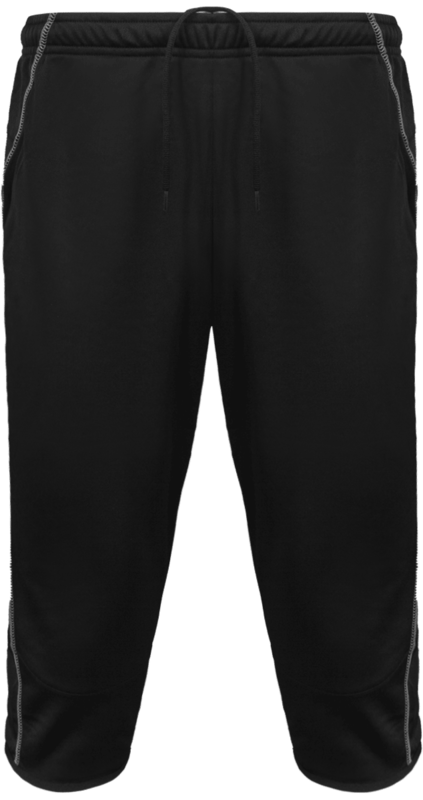 Very soft and comfortable trousers of 300gr/m2: 80% cotton / 20% polyester. 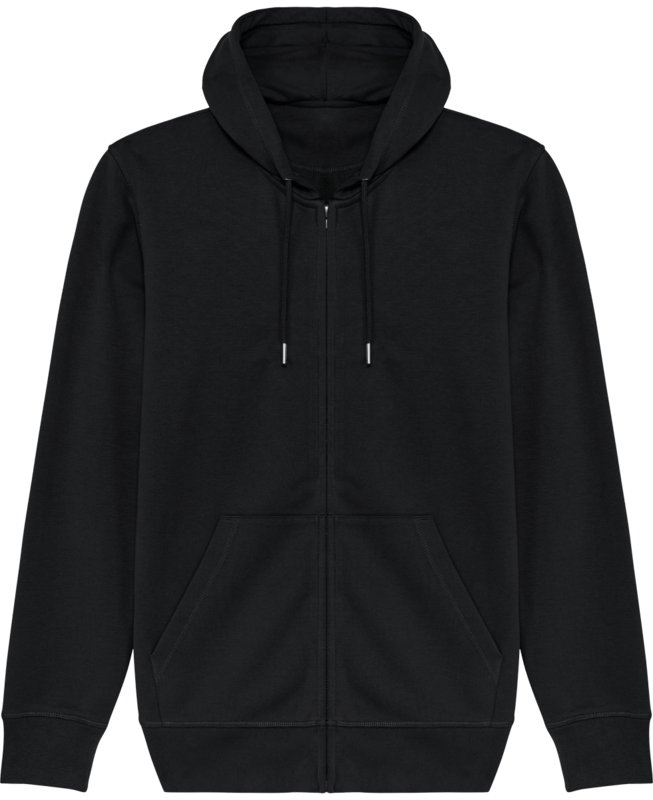 High quality scratched and pre-shrunk fleece. 2 side pockets and 1 back patch pocket. Wide ribbing and waistband at the waist. 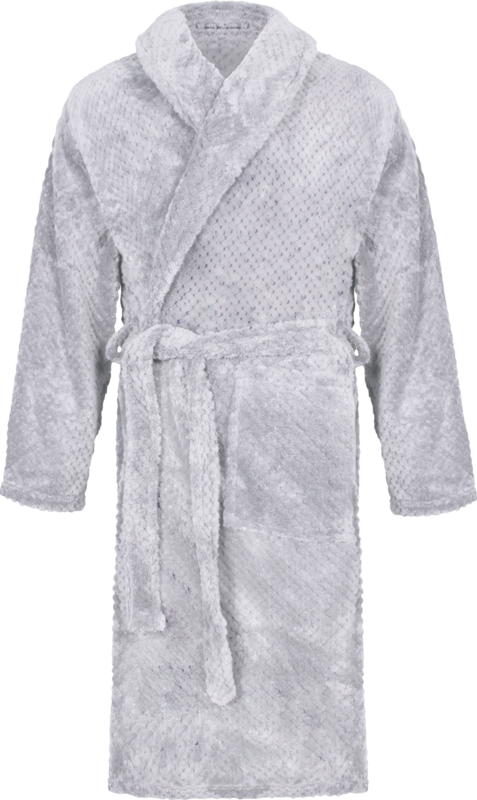 100% polyester diamond. Quick drying fabric and. Fully lined mesh. Elastic waistband with drawstring. 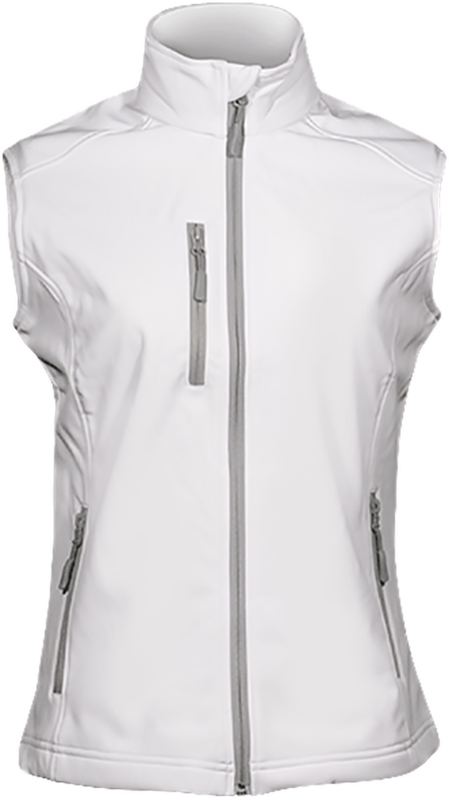 2 zipped side pockets. Zipped bottom of leg. 100% polyester diamond. Quick drying fabric. Fully lined mesh. 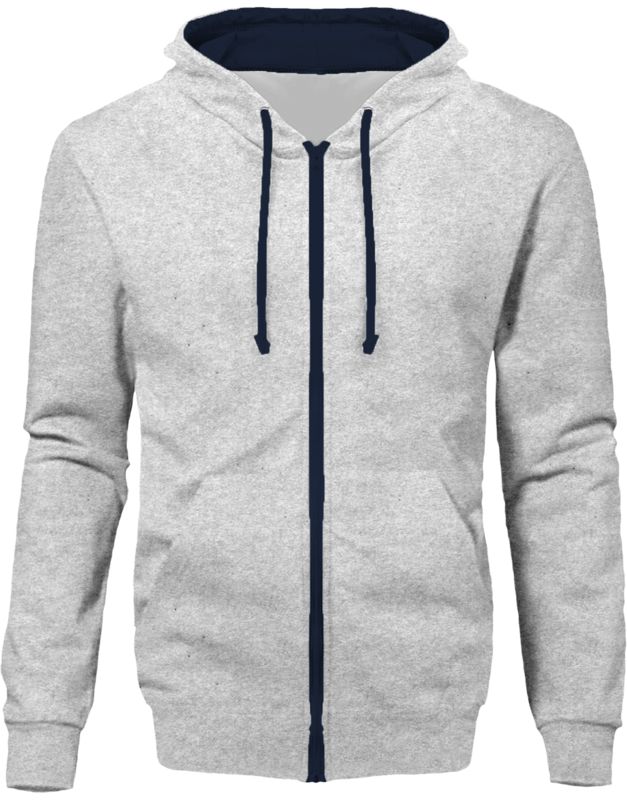 Elastic waistband with drawstring. 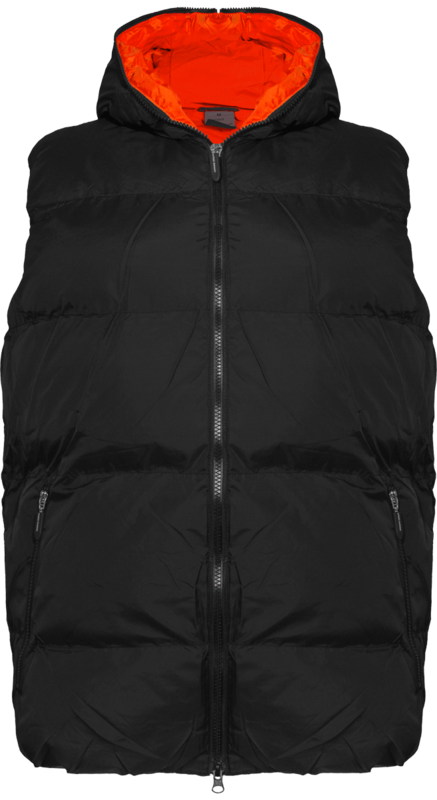 2 zipped side pockets. Zipped bottom of leg. Self fabric waistband. Matching body color round drawcords with metal end tipping and metal eyelets. 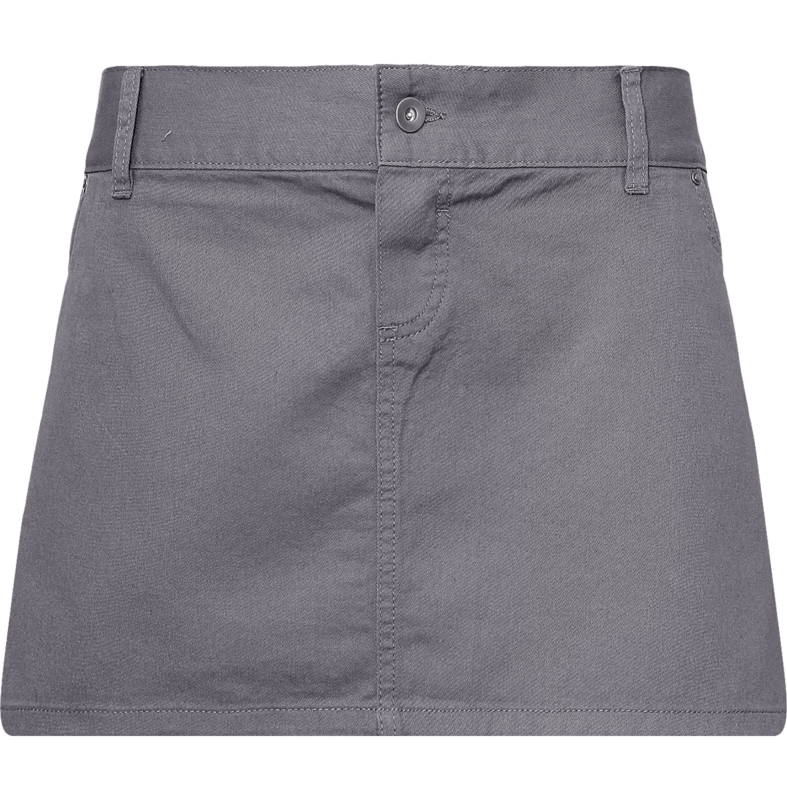 Contrast color single jersey on inside waistband and inside pockets. Bottom hem with narrow single jersey binding coming up till waistband at sidesnFlatlock topstitch on waistband and pocket openning. Terry Sweatshirt. 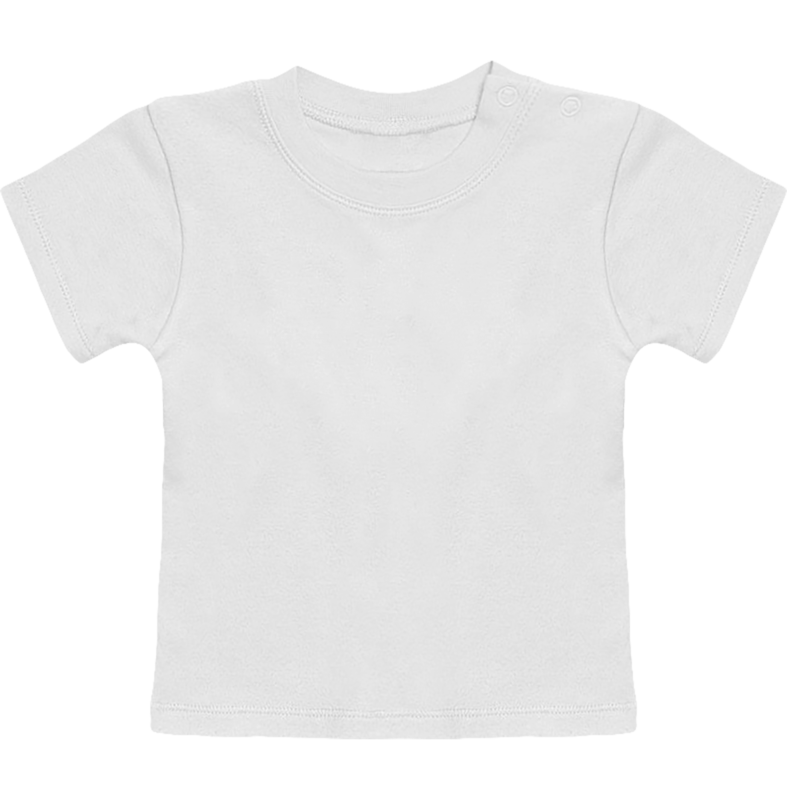 85% Organic Ring-Spun Combed Cotton, 15% Polyester. Fabric Washed, Light Sueded. 300 Gsm. 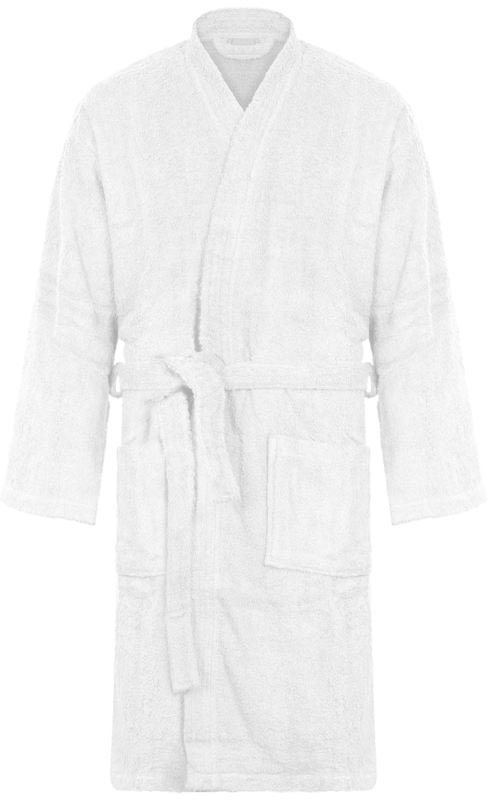 Thick bathrobe for women and men in 100% polyester. Ultra soft and warm bathrobe for cold winter evenings. Weight of 220 gr / m2. 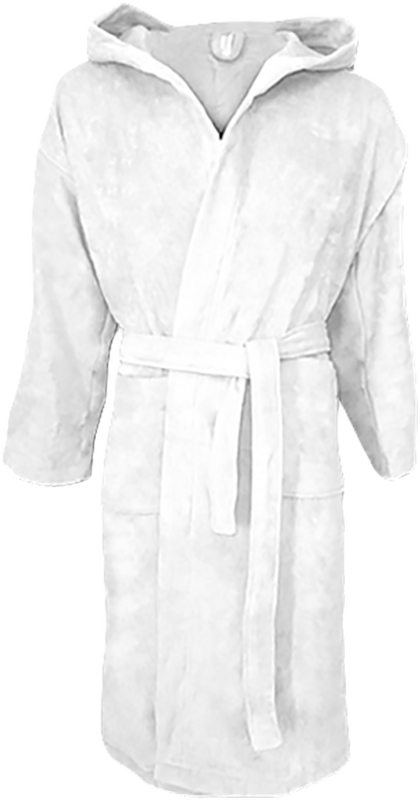 Plush bathrobe with its micro son.